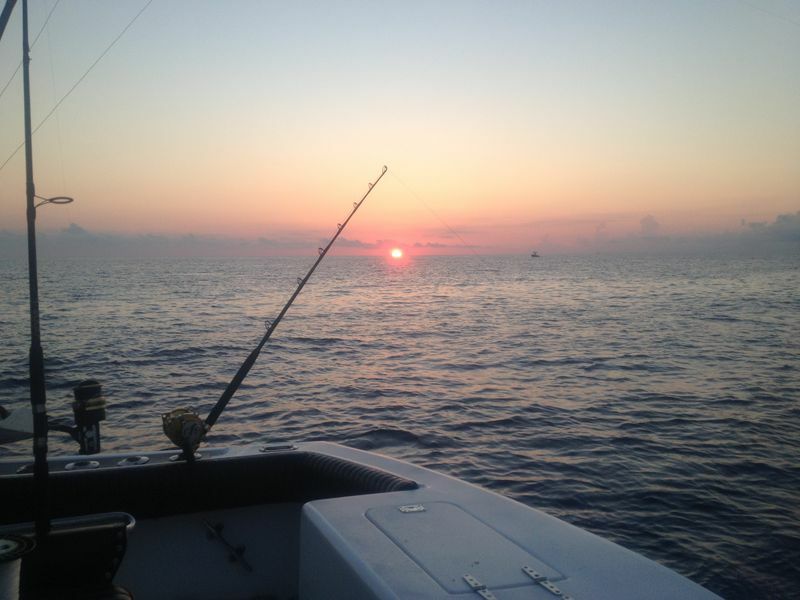 Half day, full day, ¾ day and summer evening trips. 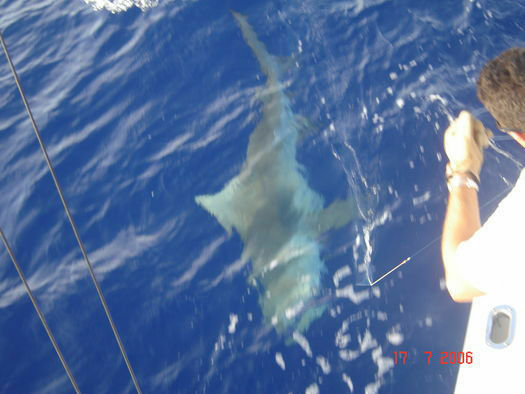 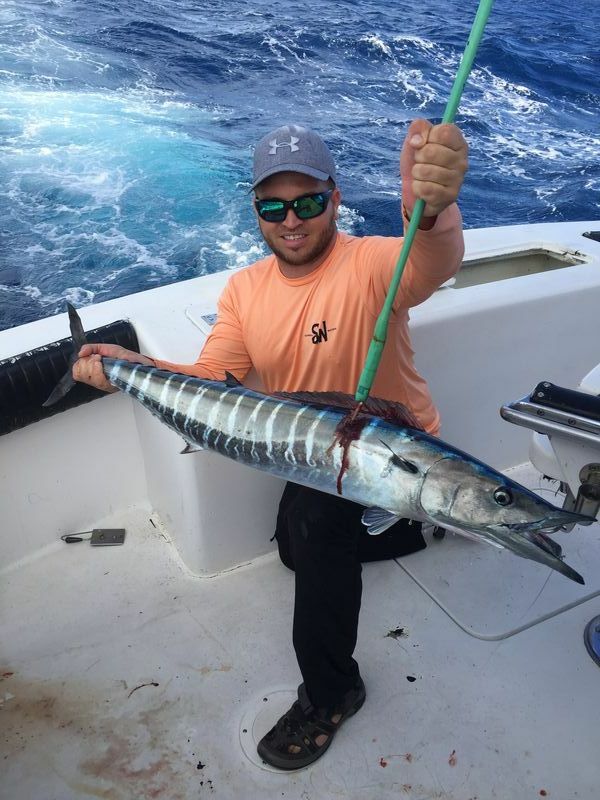 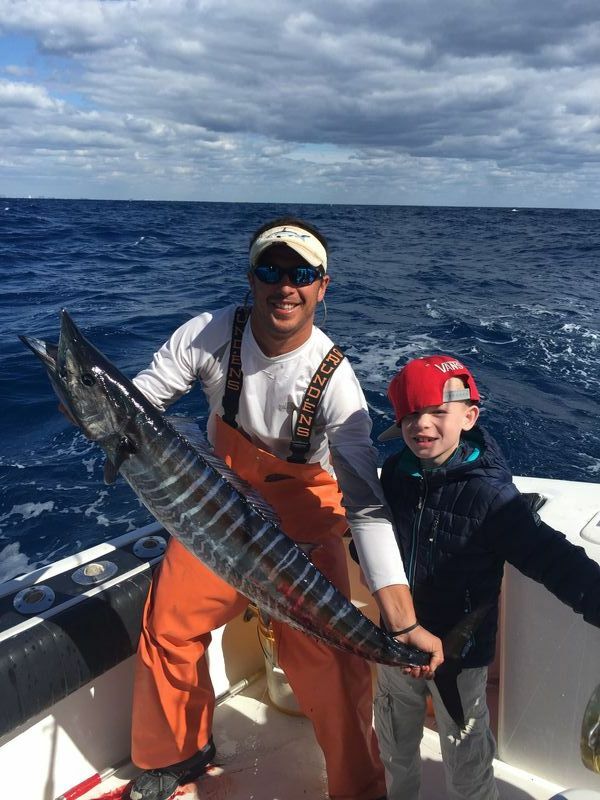 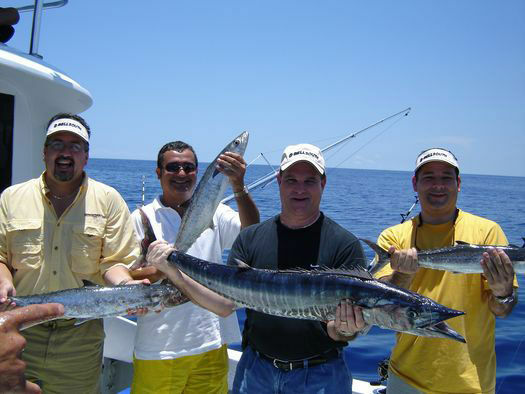 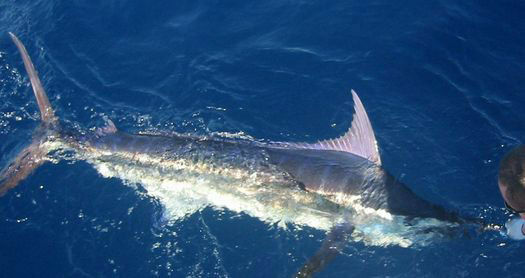 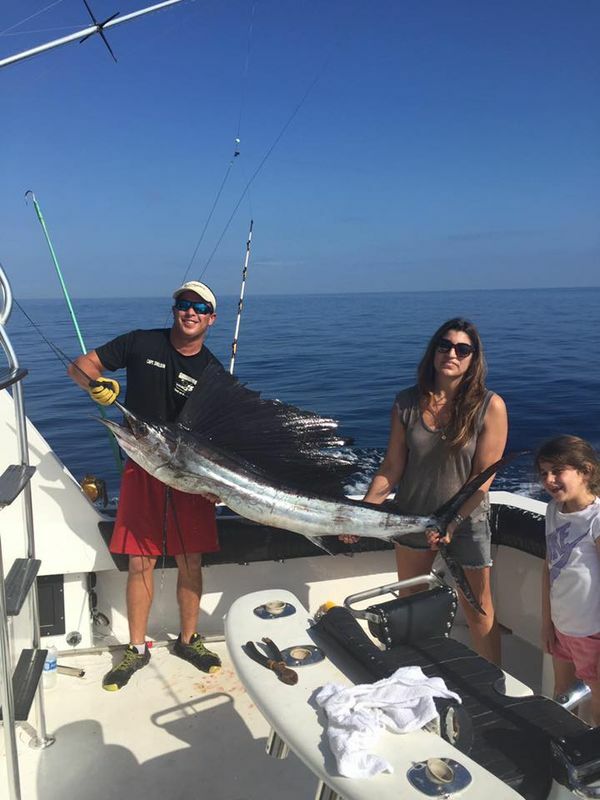 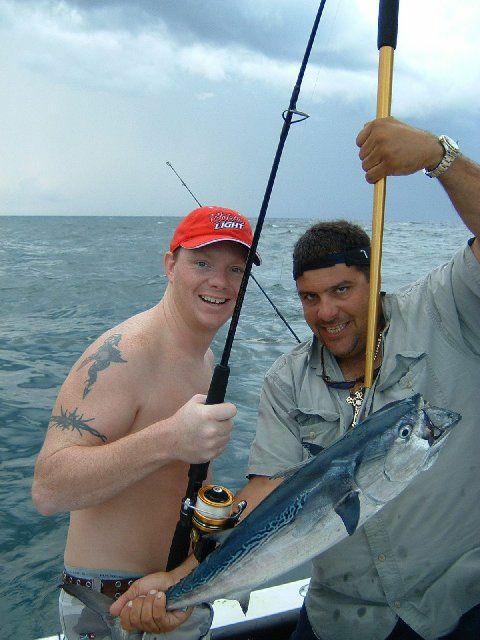 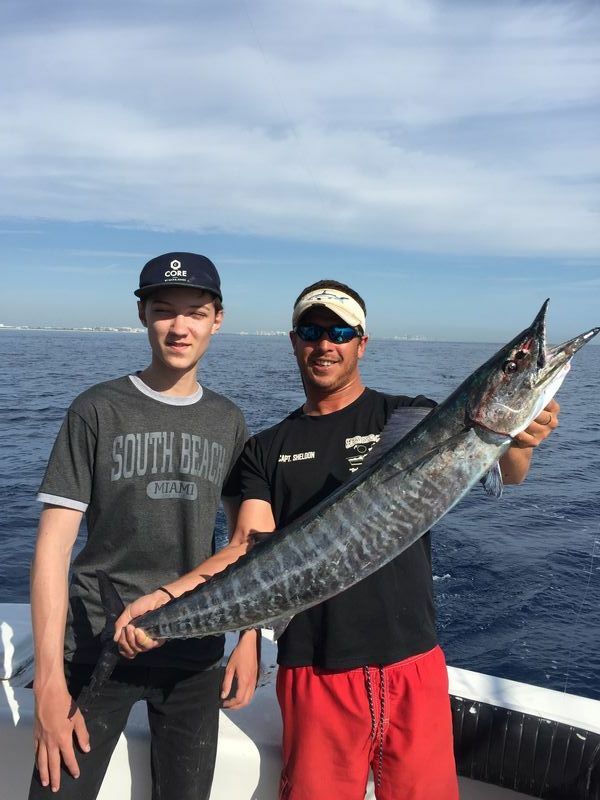 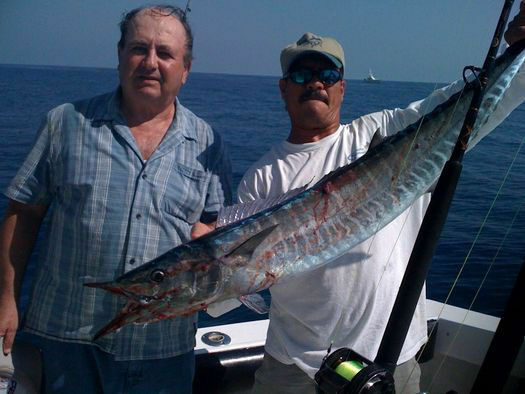 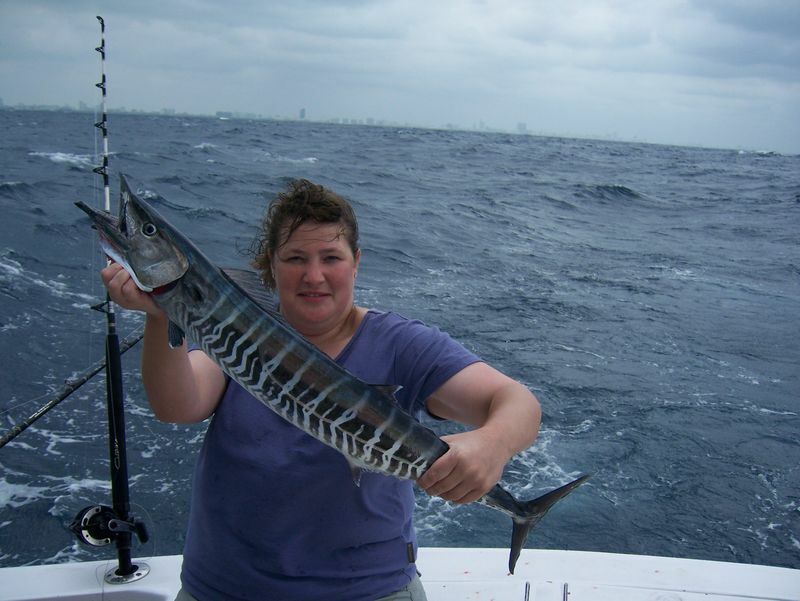 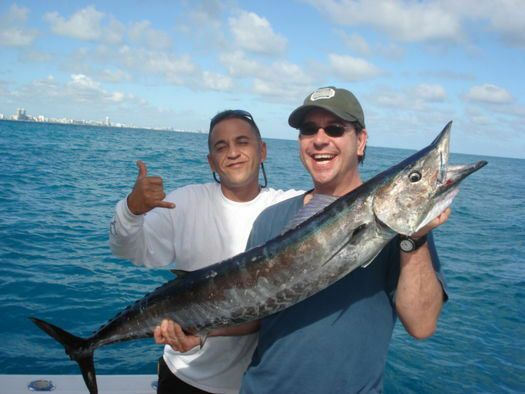 Deep sea fishing in the Gulf Stream for marlin, sailfish, tuna, dolphin (mahi-mahi) and wahoo. 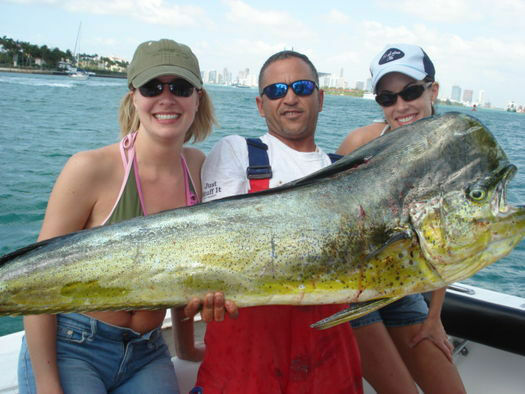 Trips depart from Haulover Marina in Miami Beach, near North Miami Beach and just 25 mins from Downtown Miami. 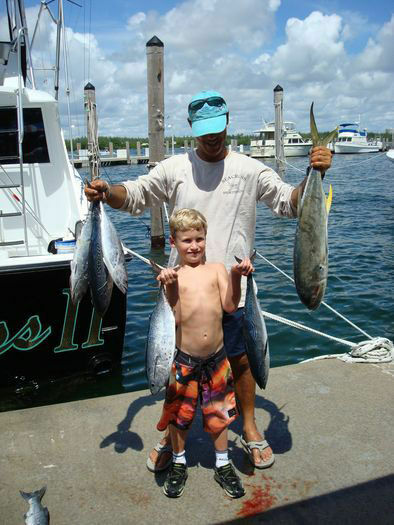 Two fully-loaded charter boats with top-of-the-line electronics, tackle and safety gear. 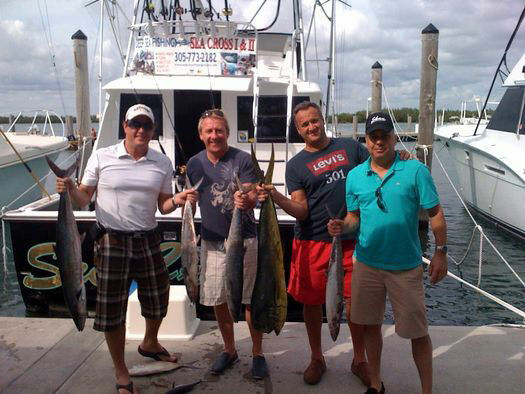 Our charter boats can accommodate groups of up to 6 passengers. 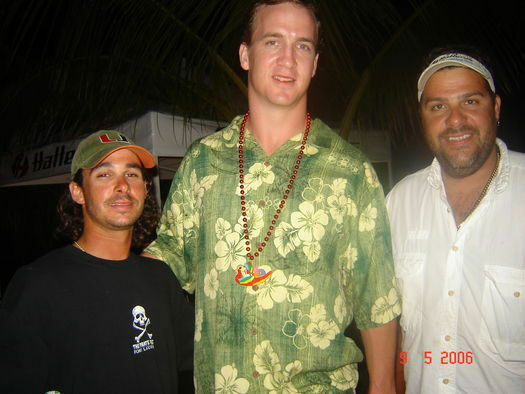 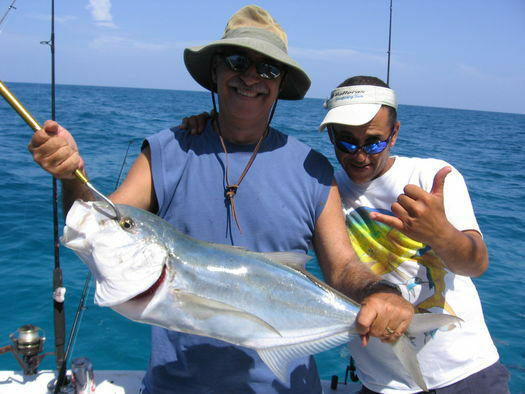 Your fishing guide, Capt. 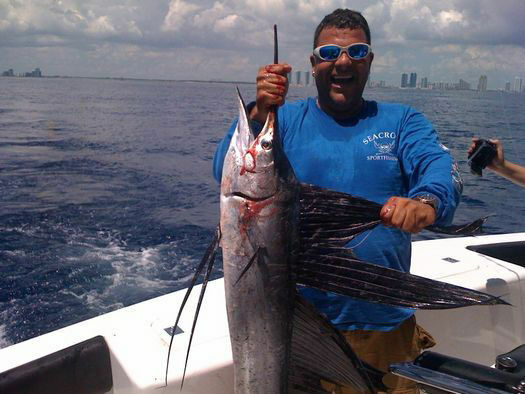 Rafael Mayans, is Miami-born with the skills and experience to lead successful excursions. 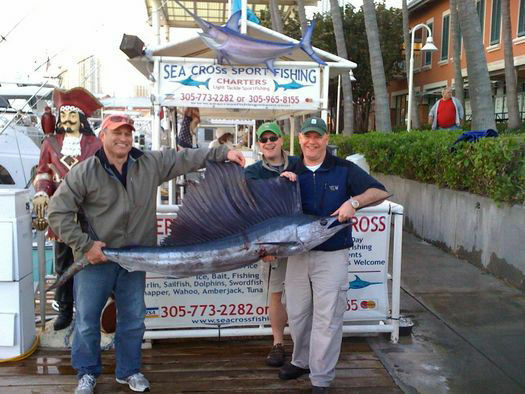 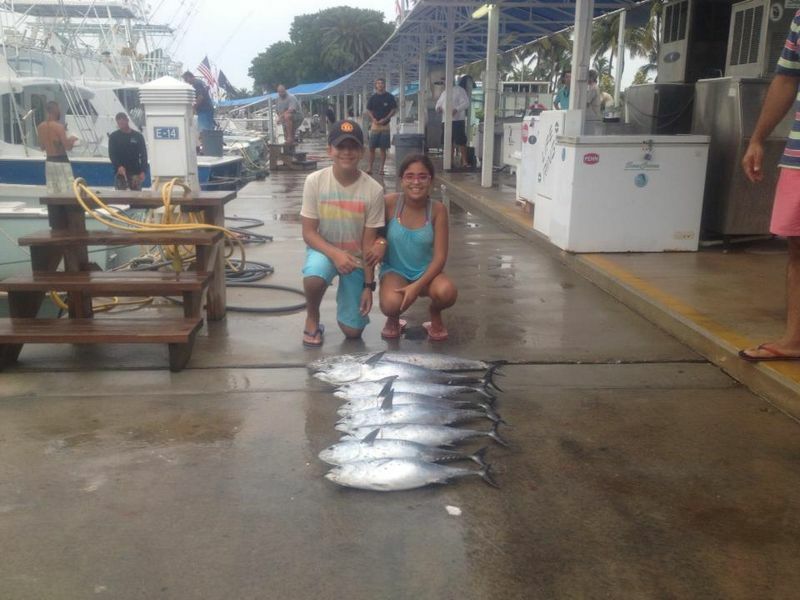 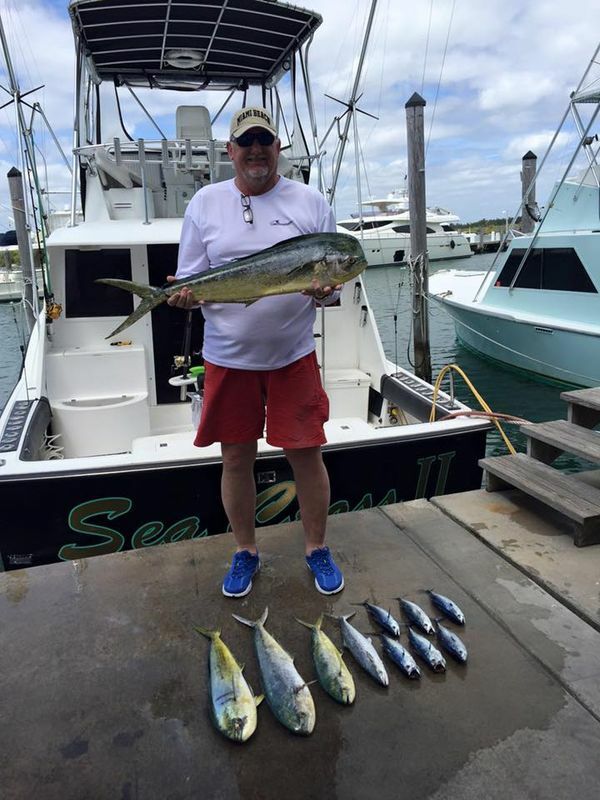 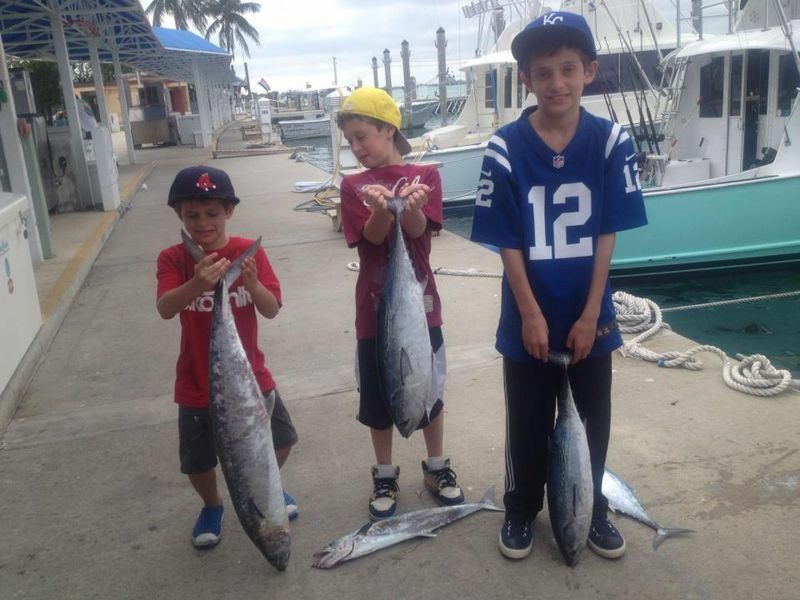 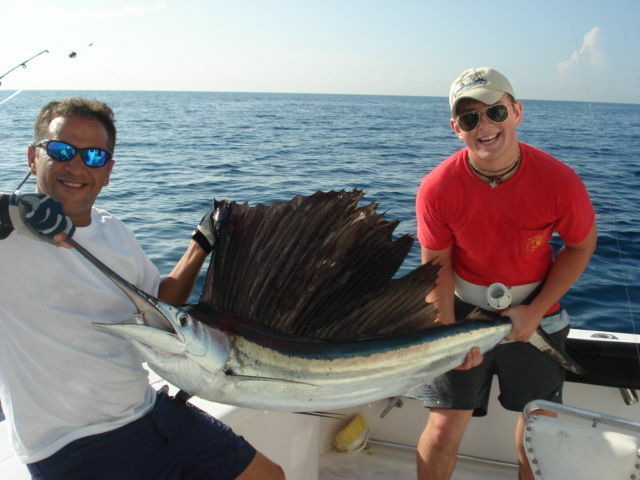 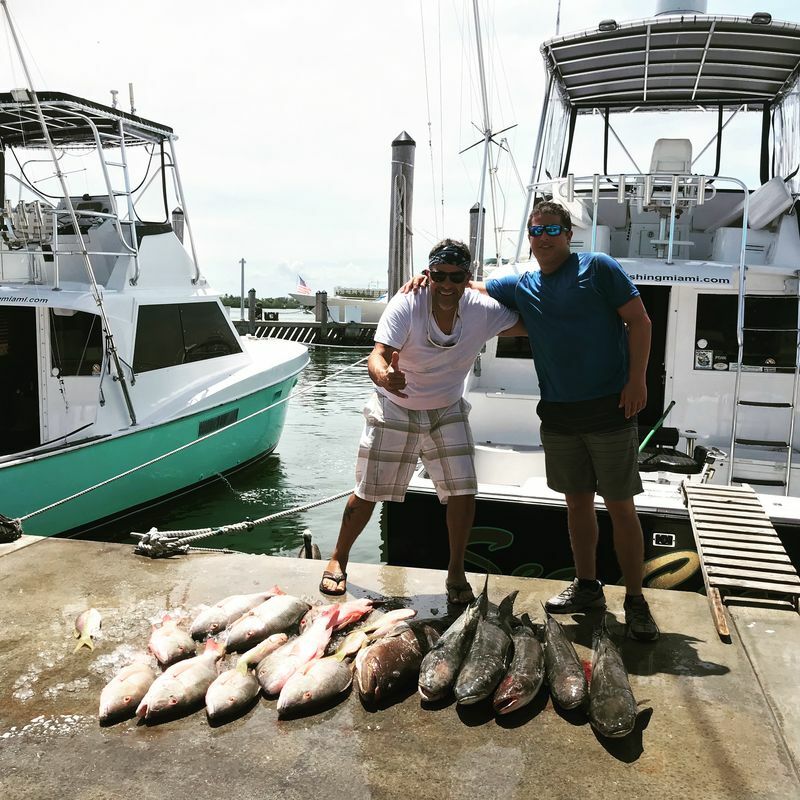 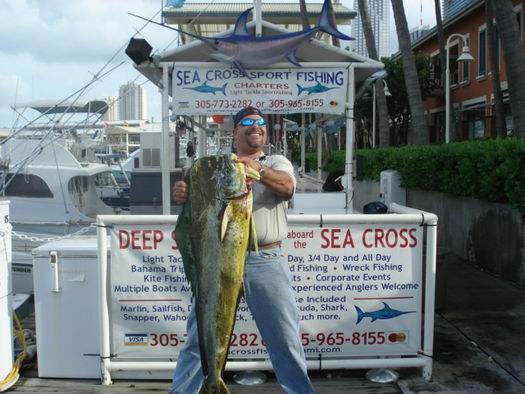 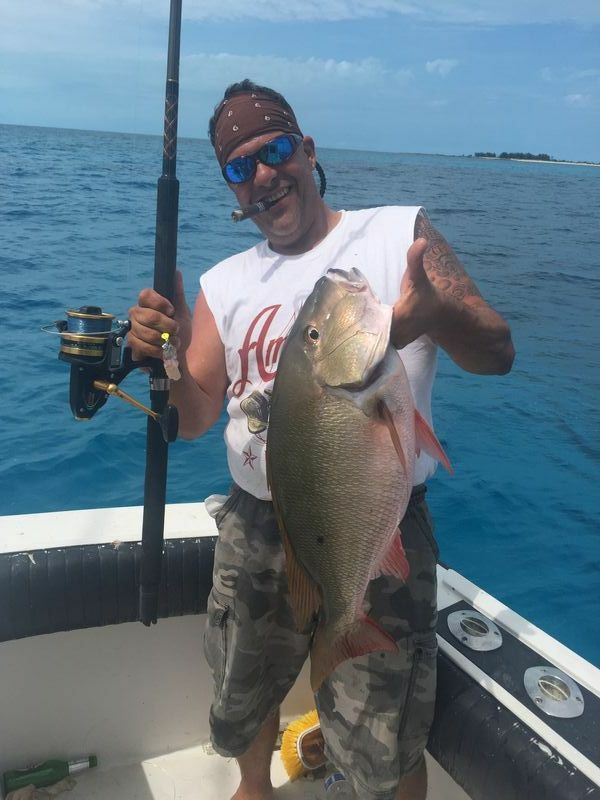 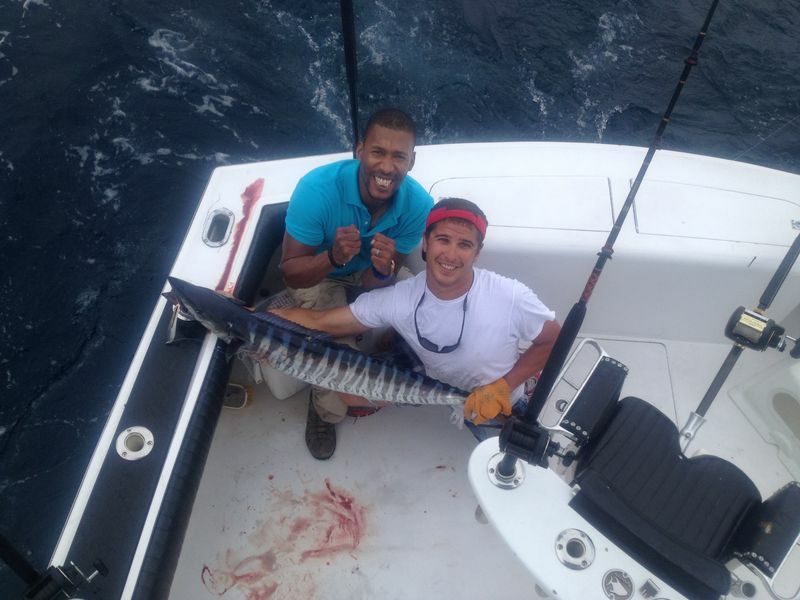 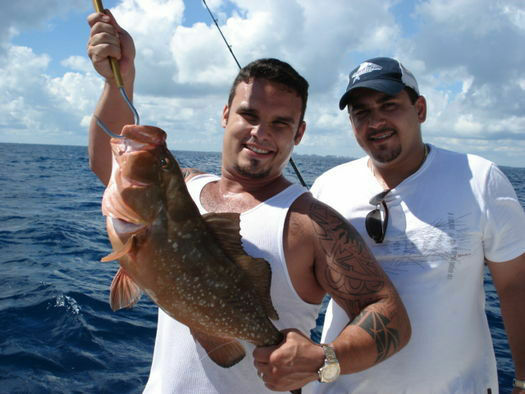 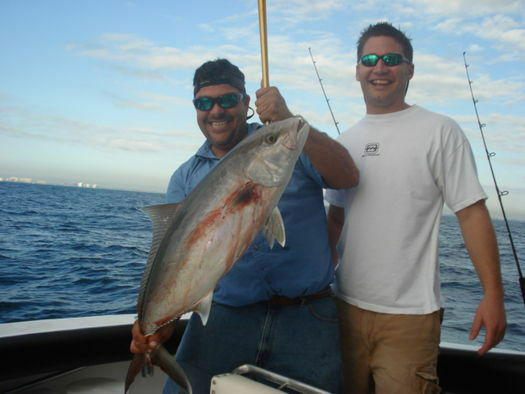 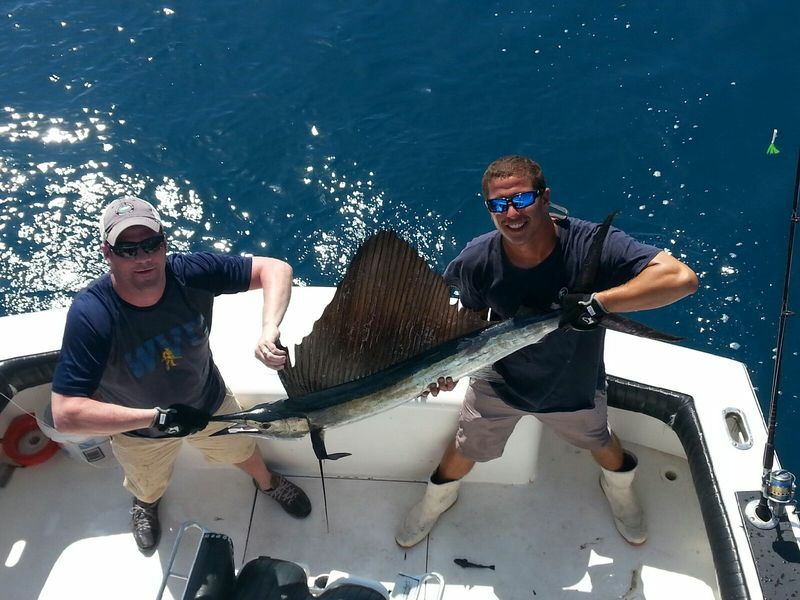 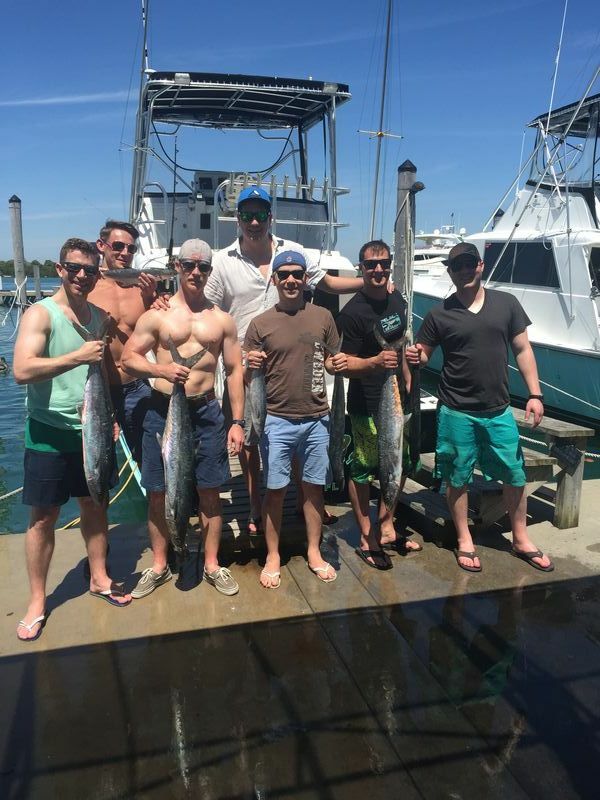 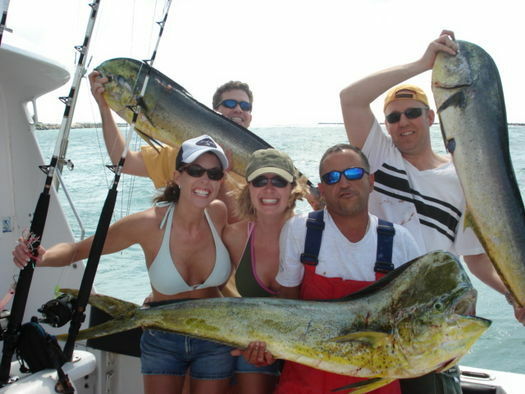 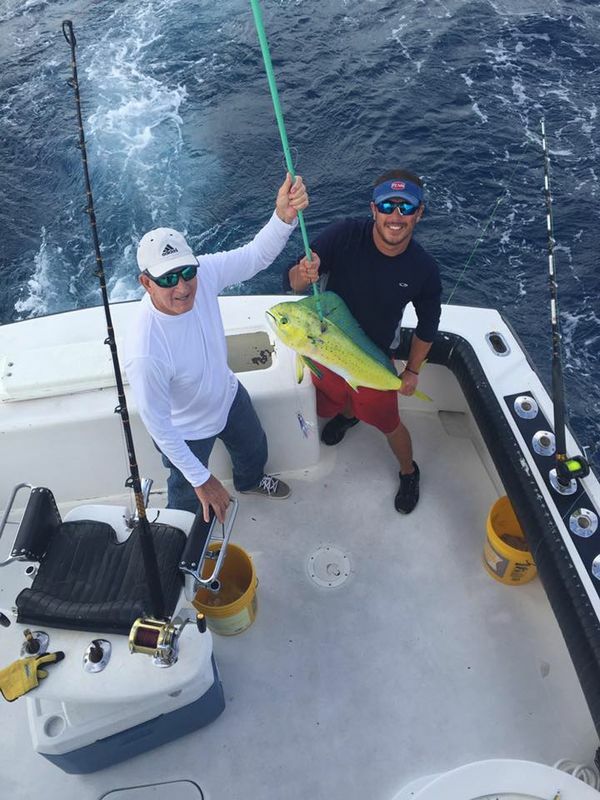 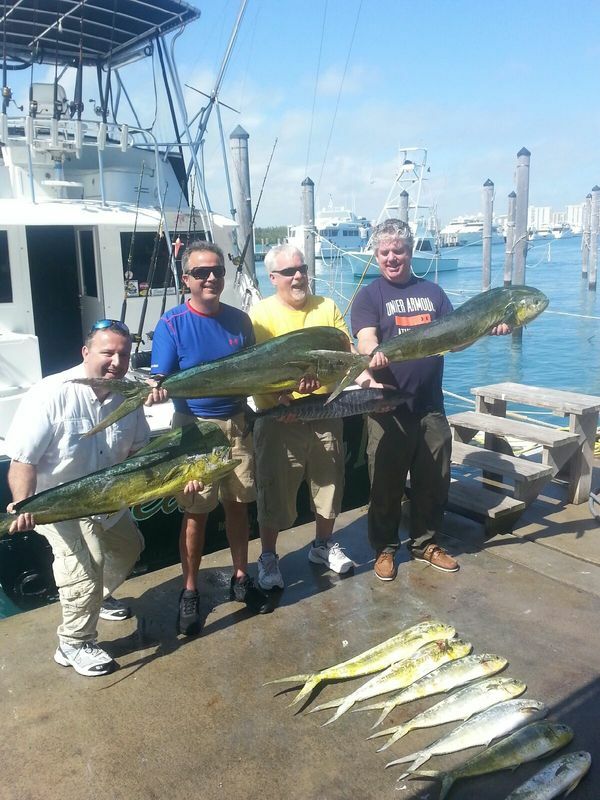 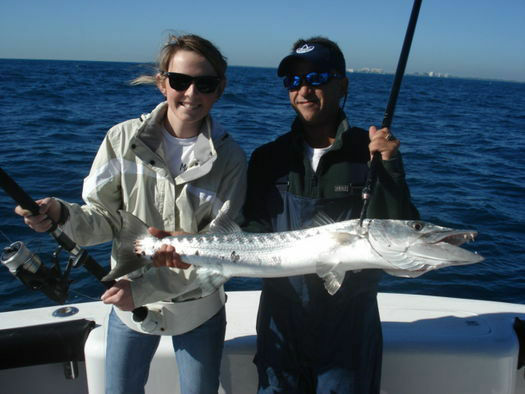 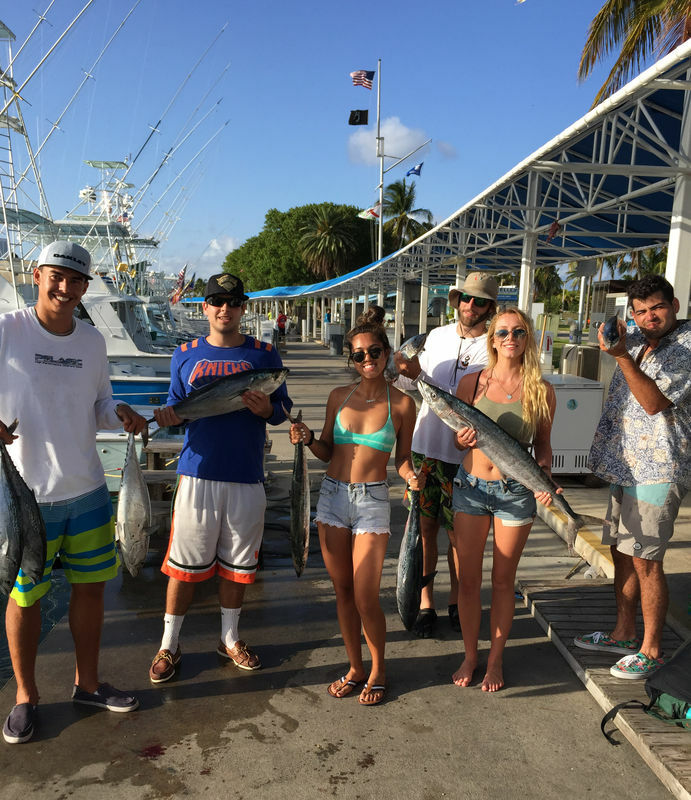 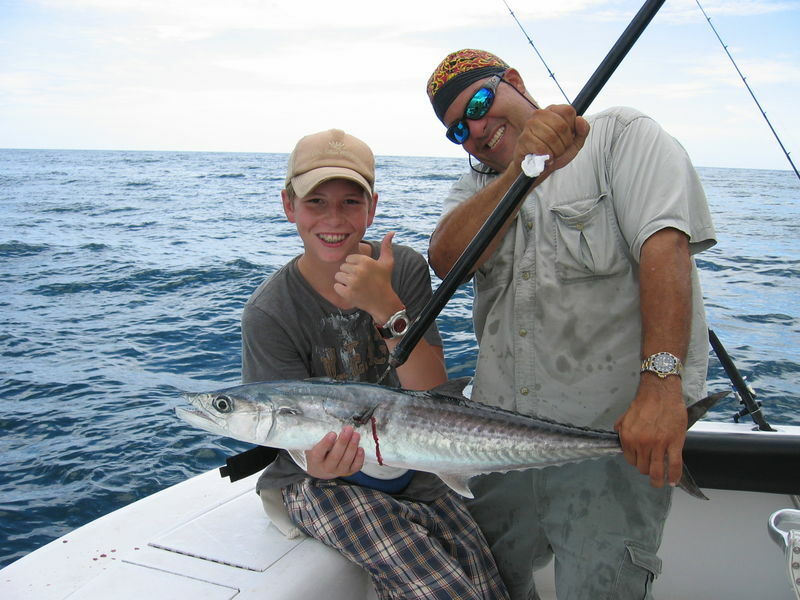 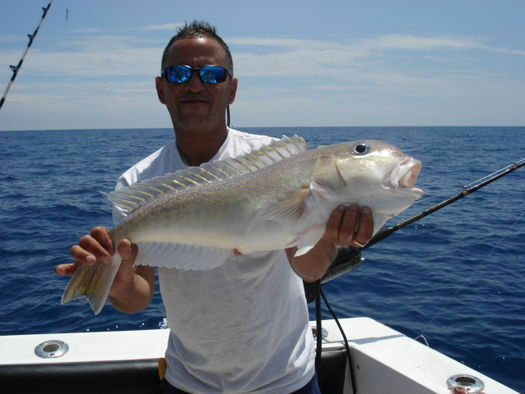 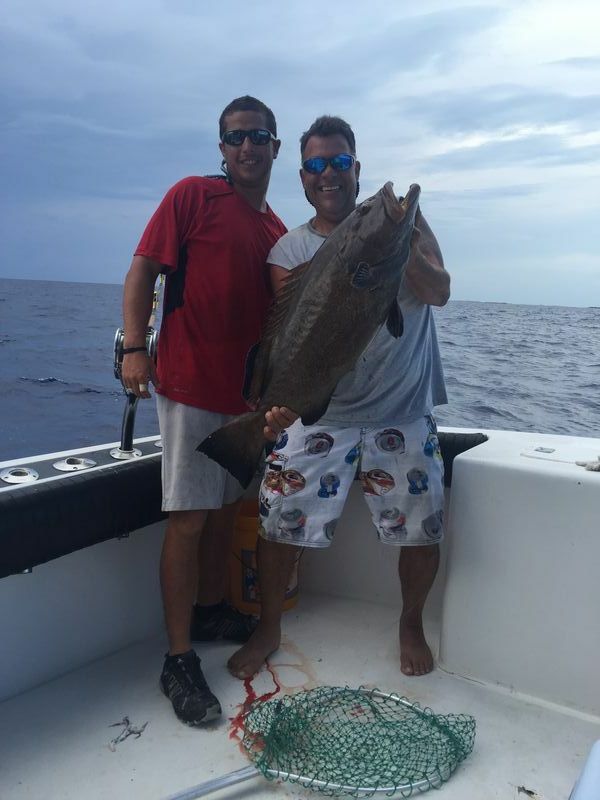 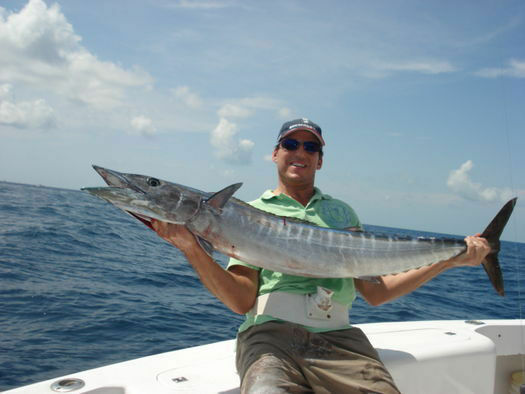 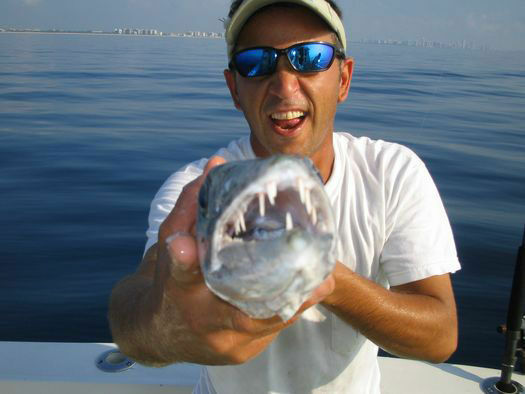 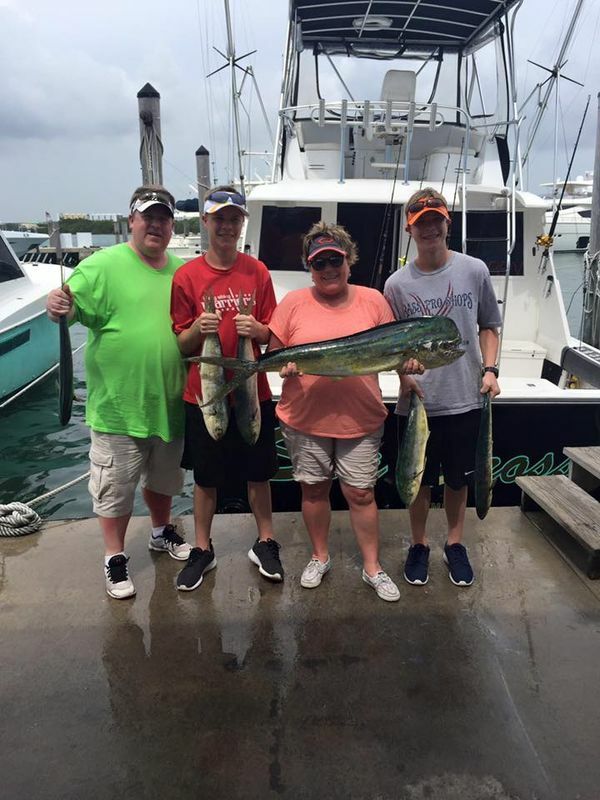 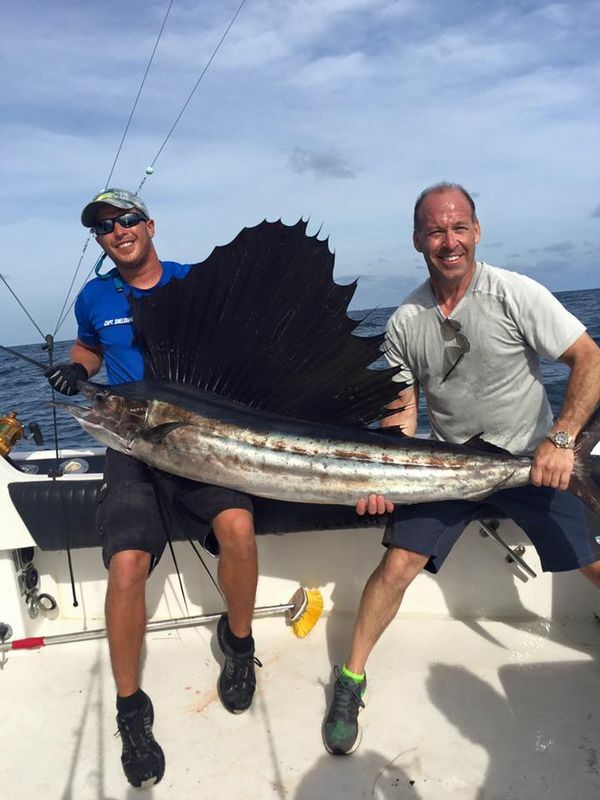 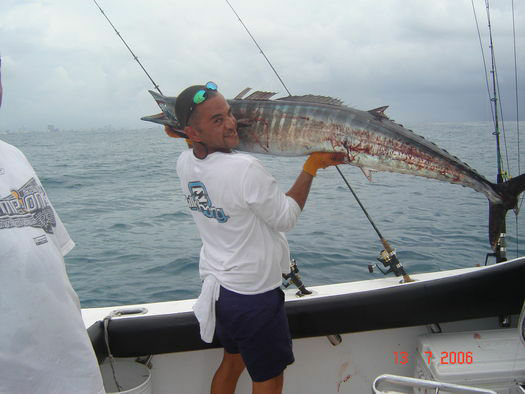 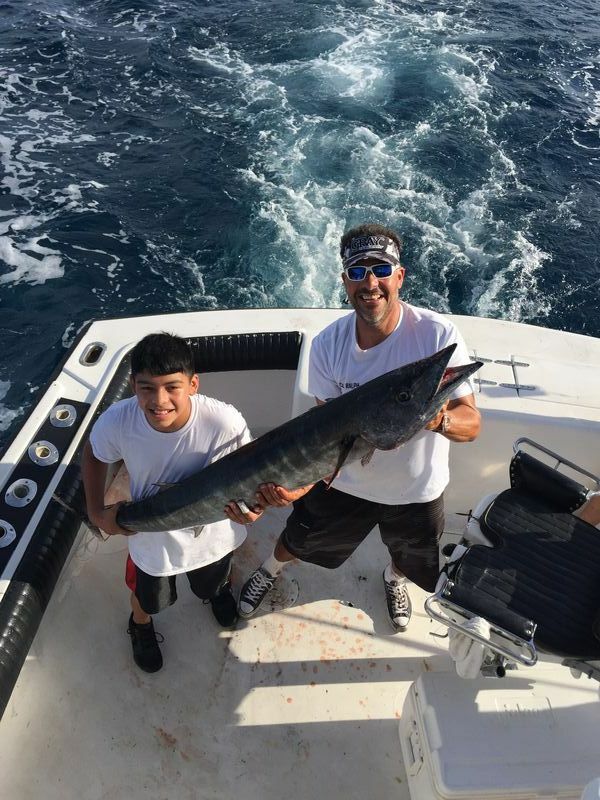 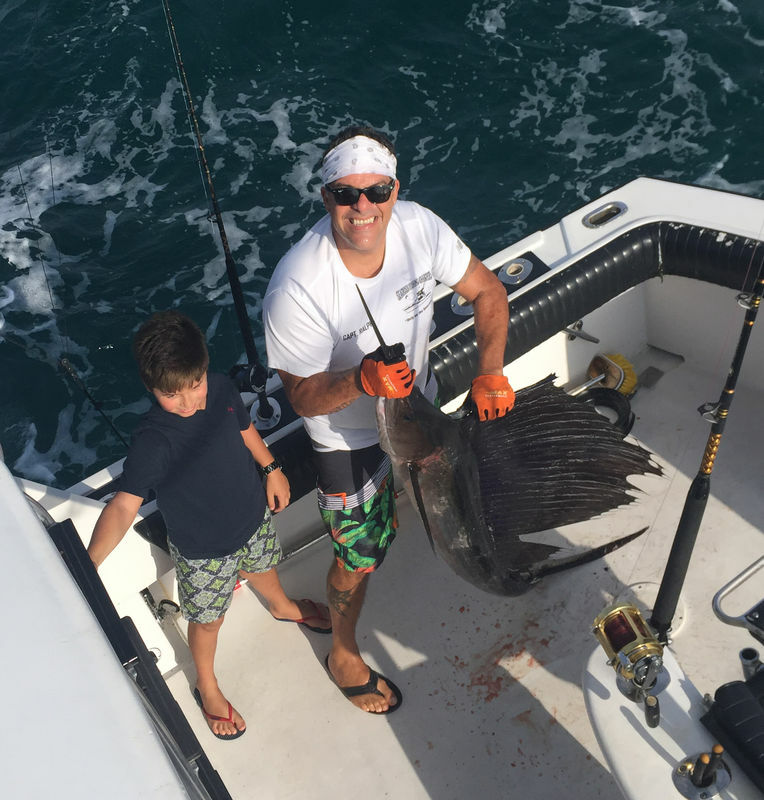 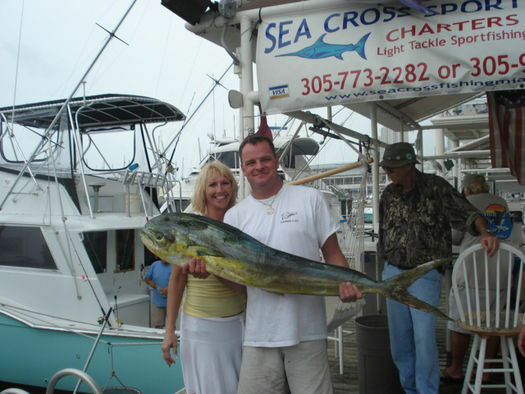 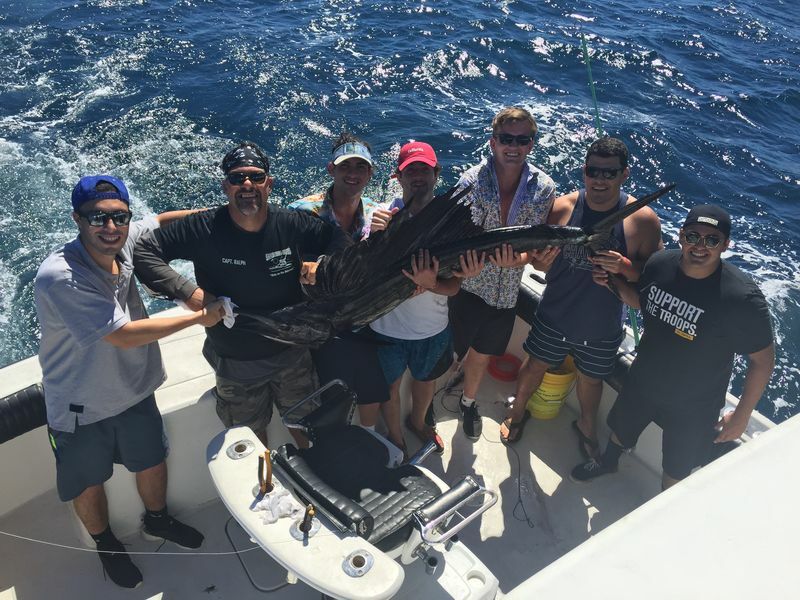 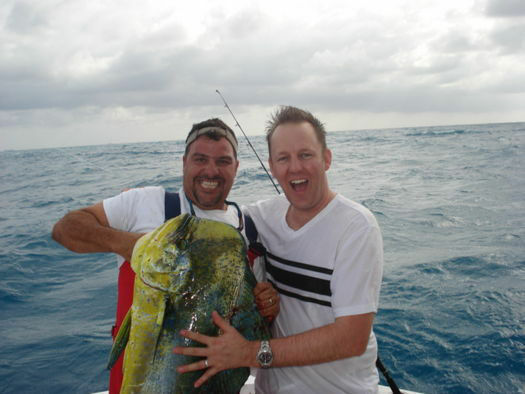 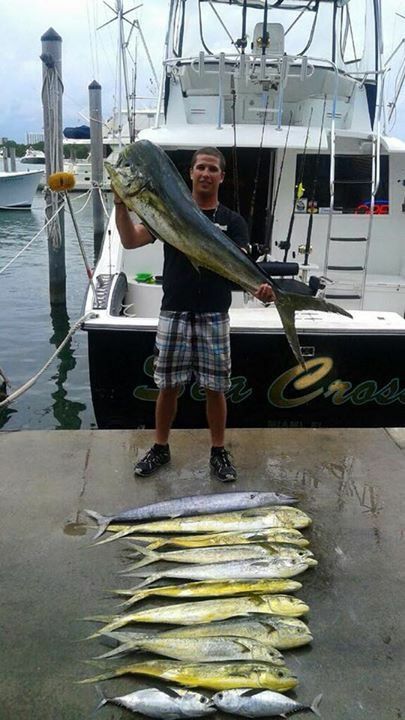 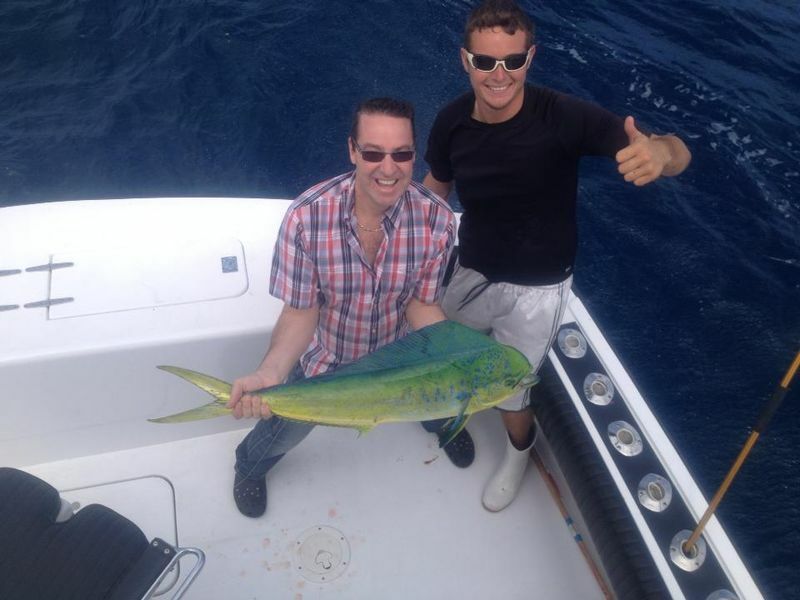 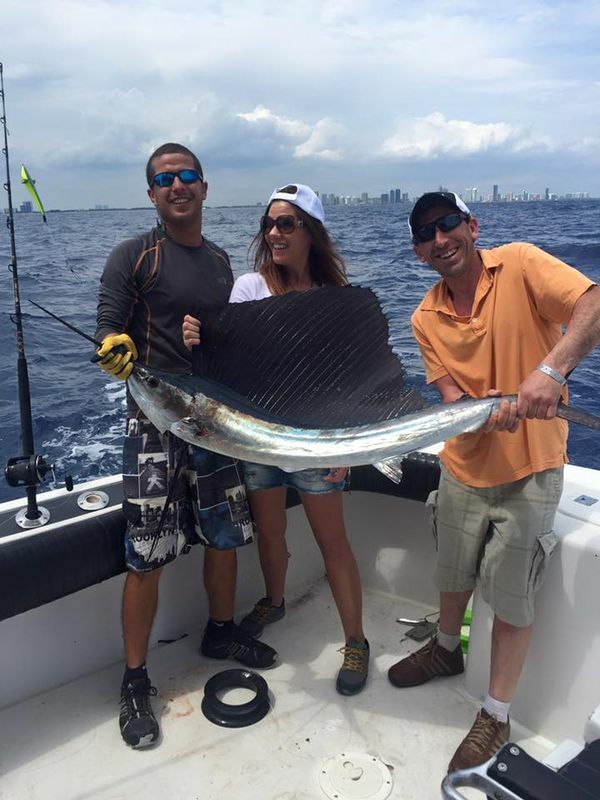 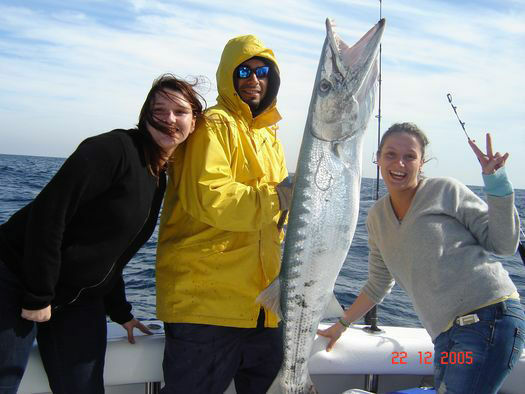 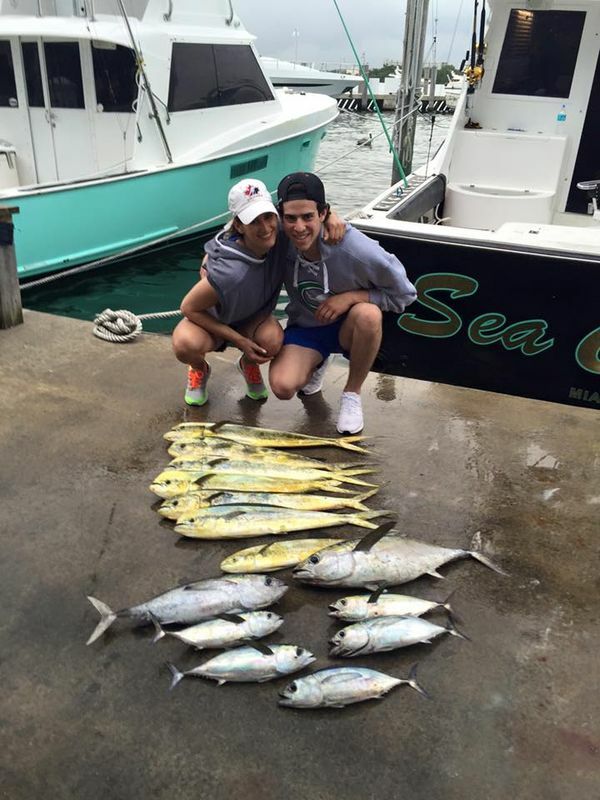 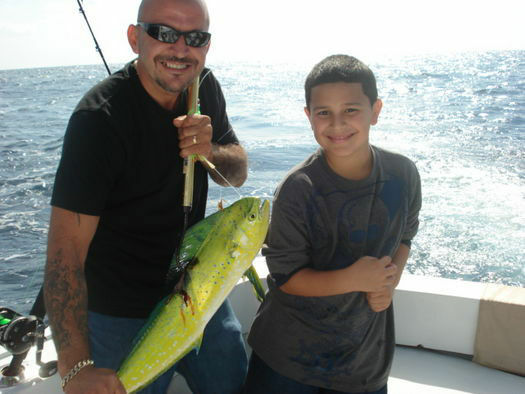 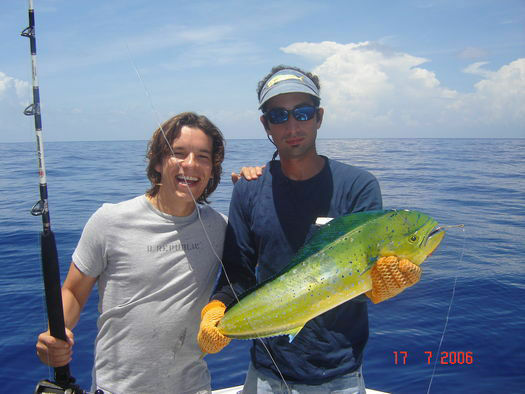 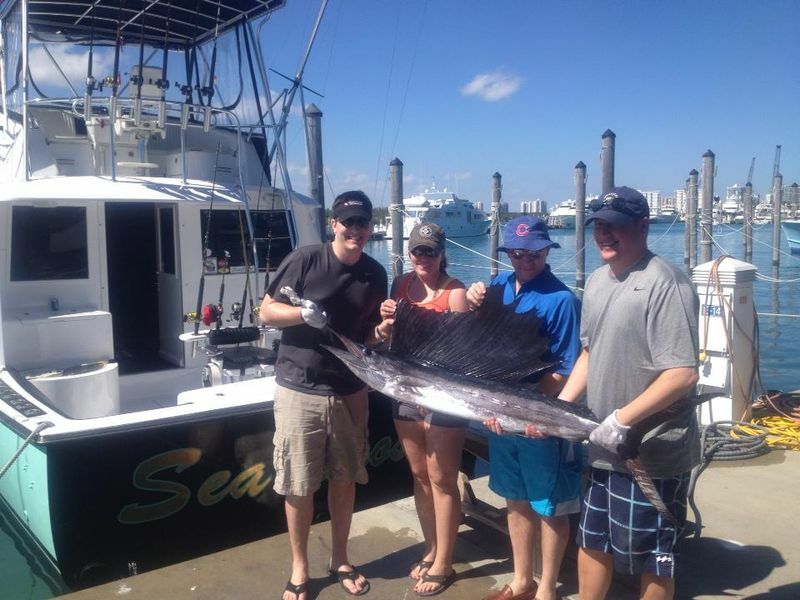 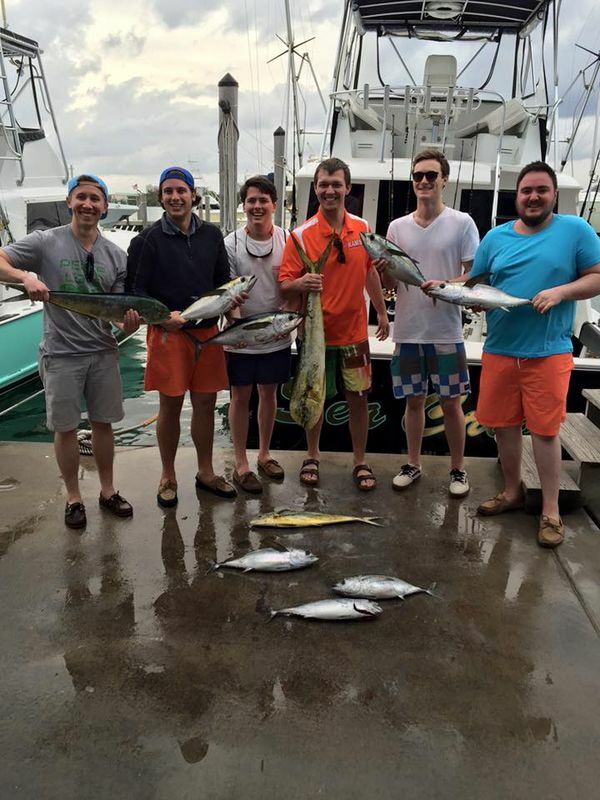 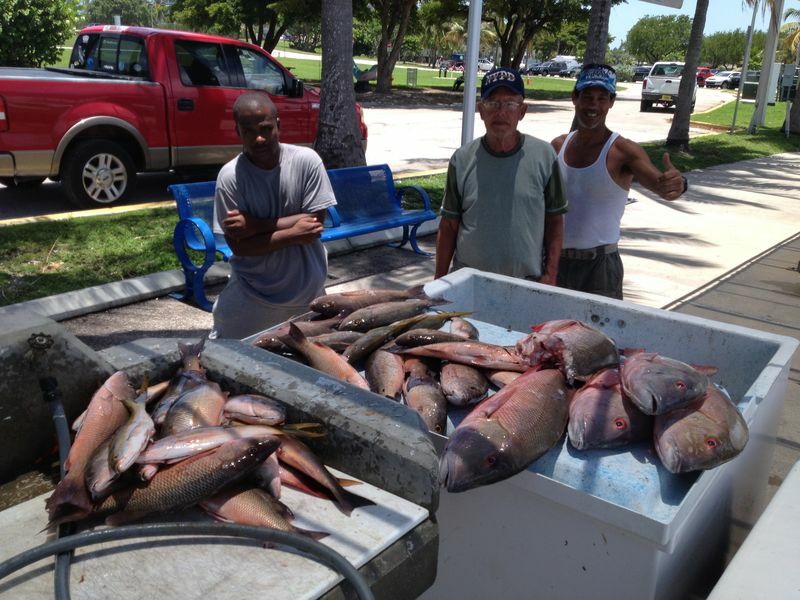 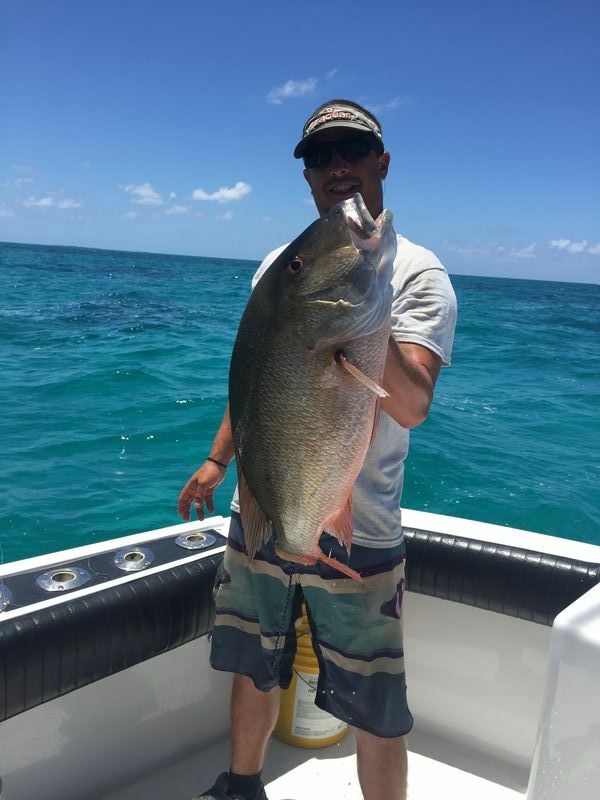 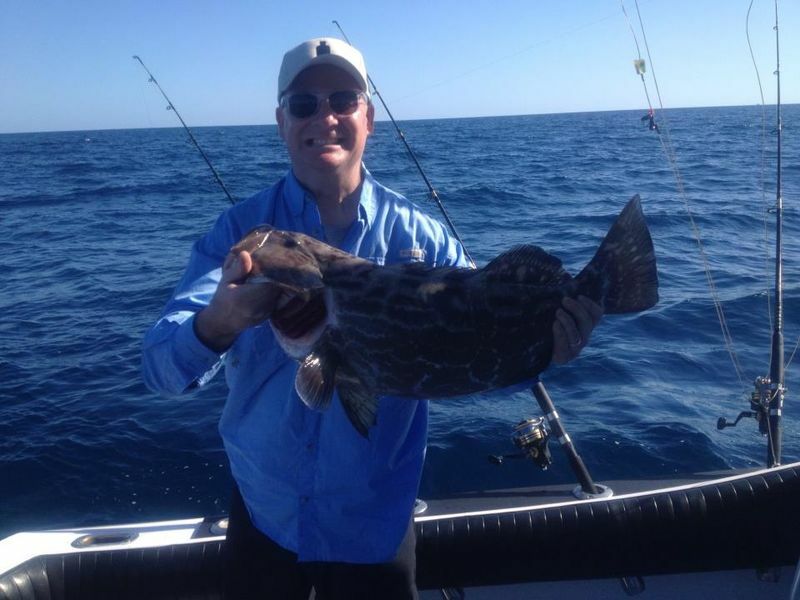 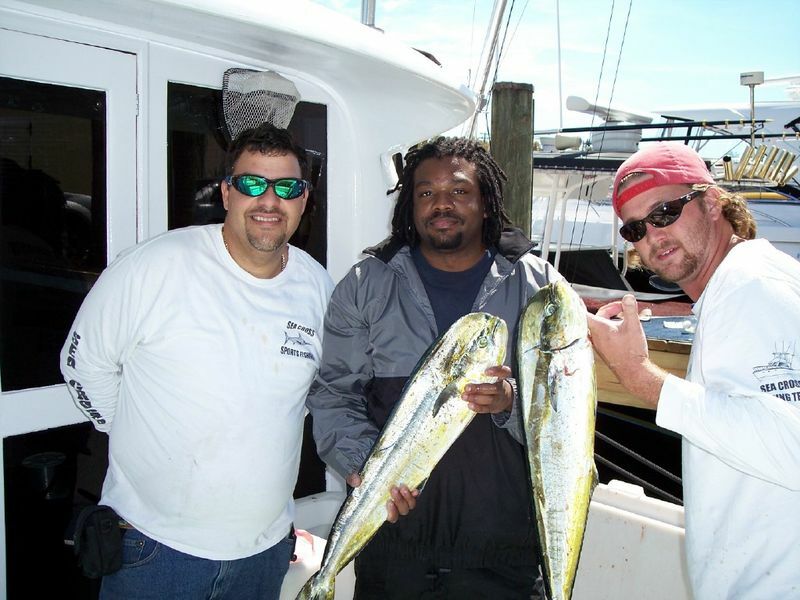 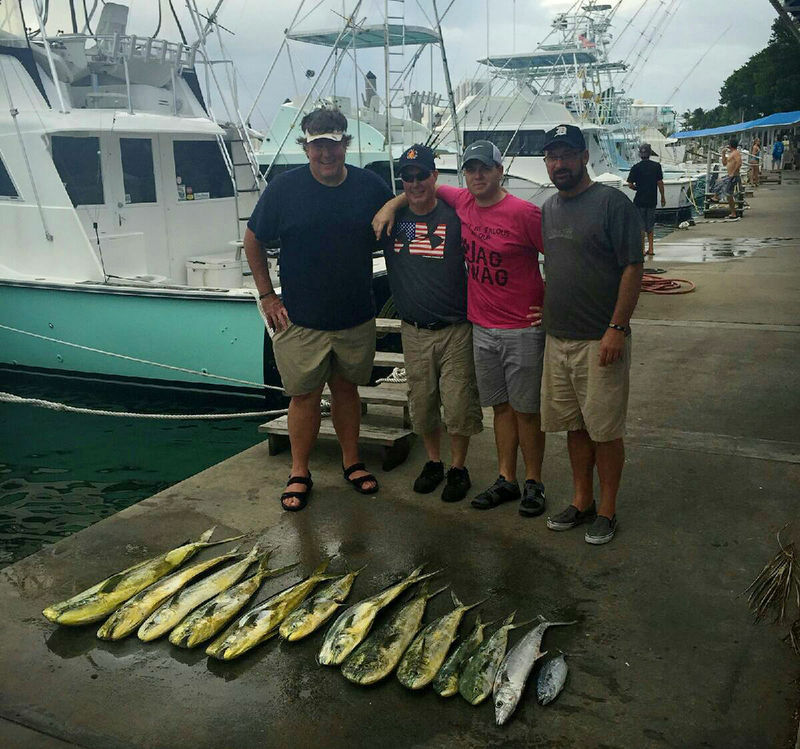 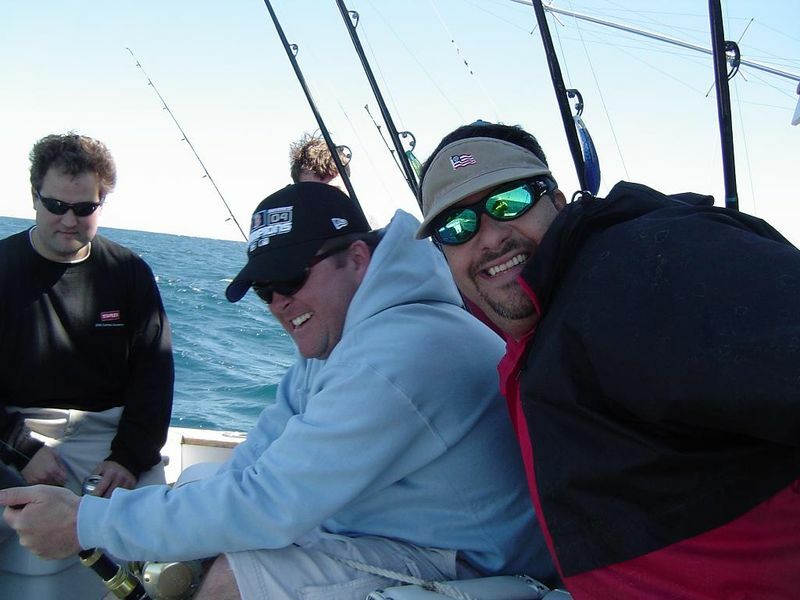 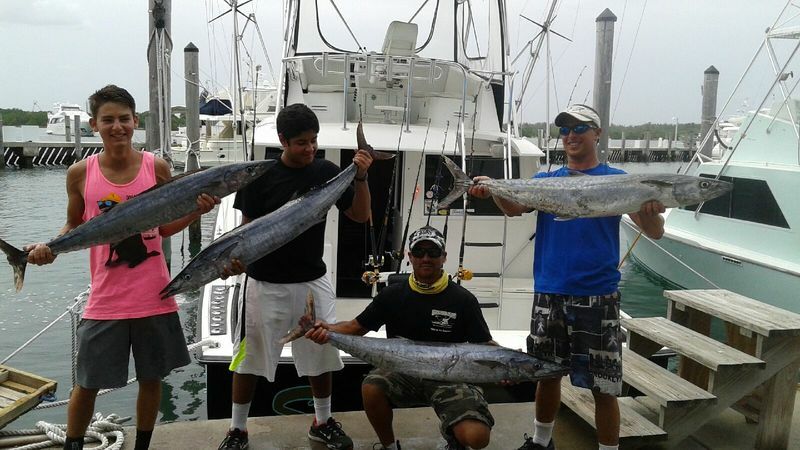 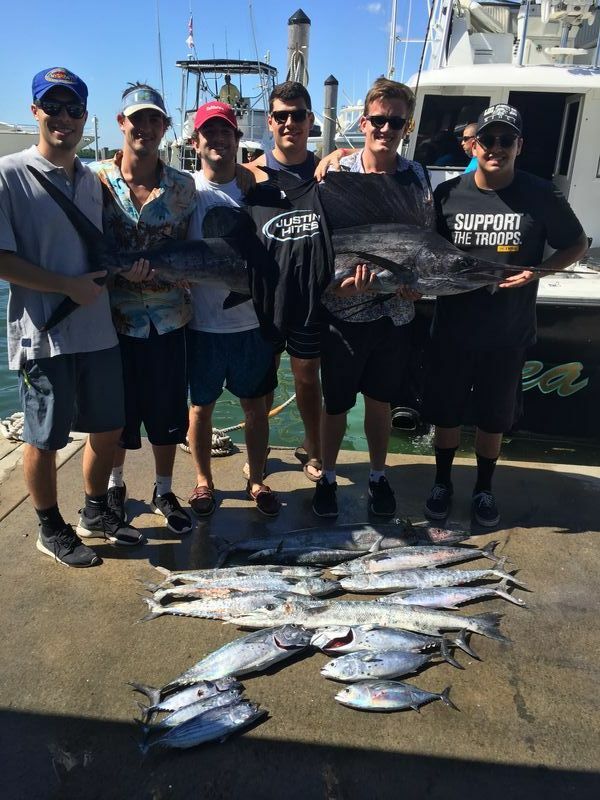 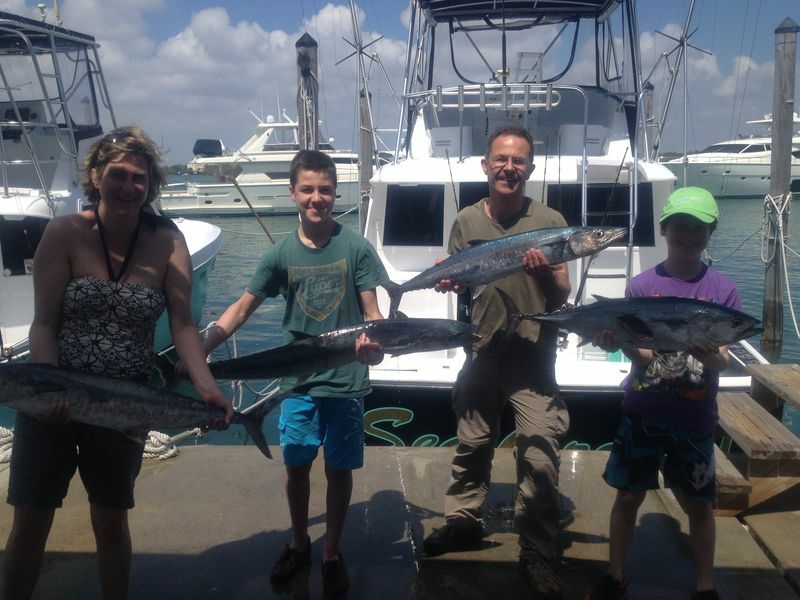 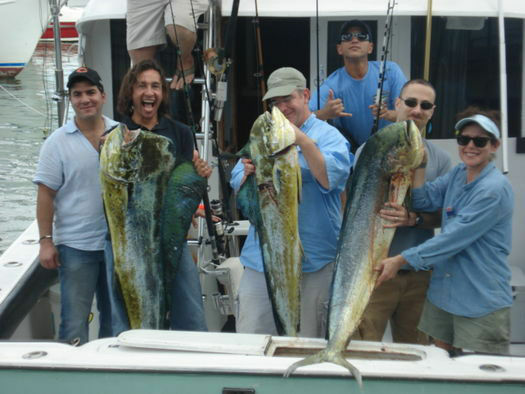 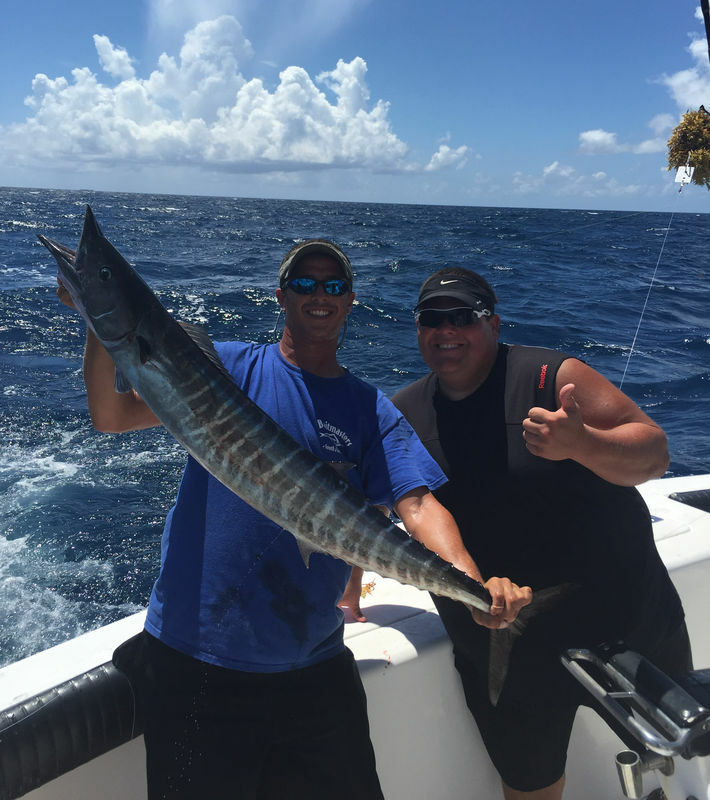 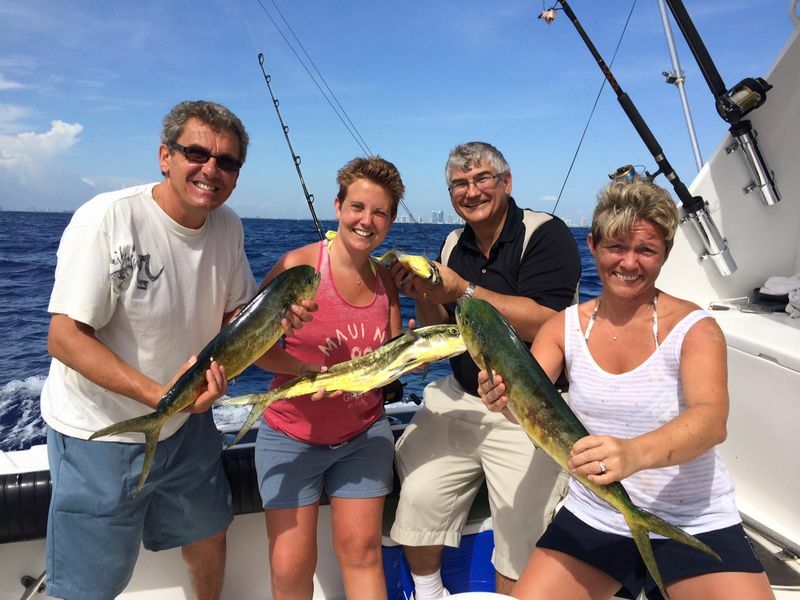 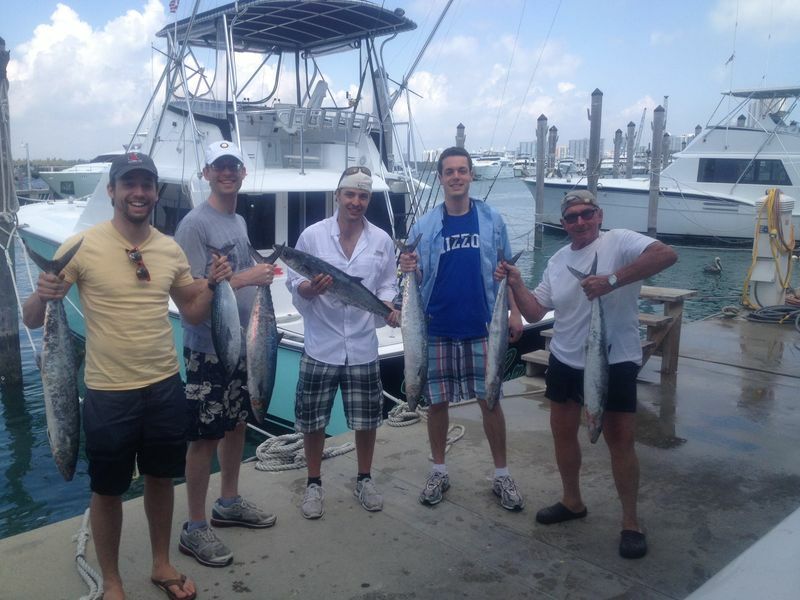 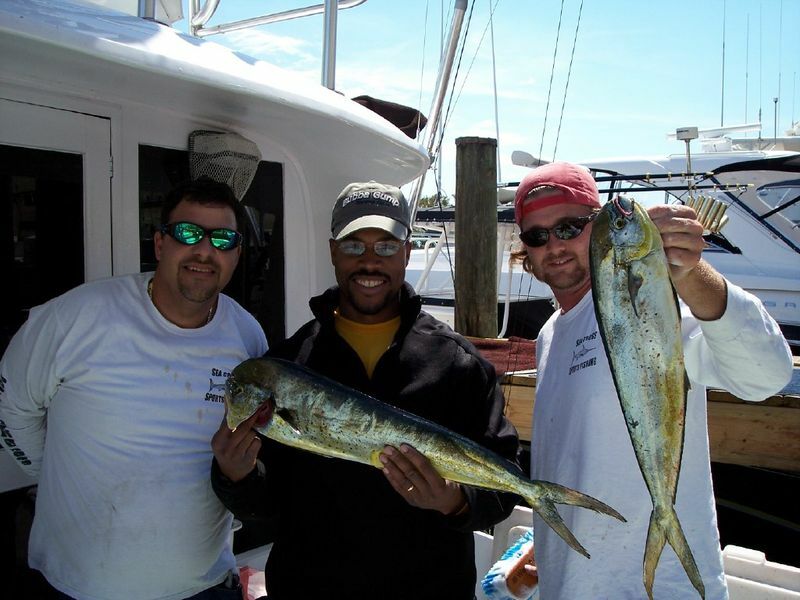 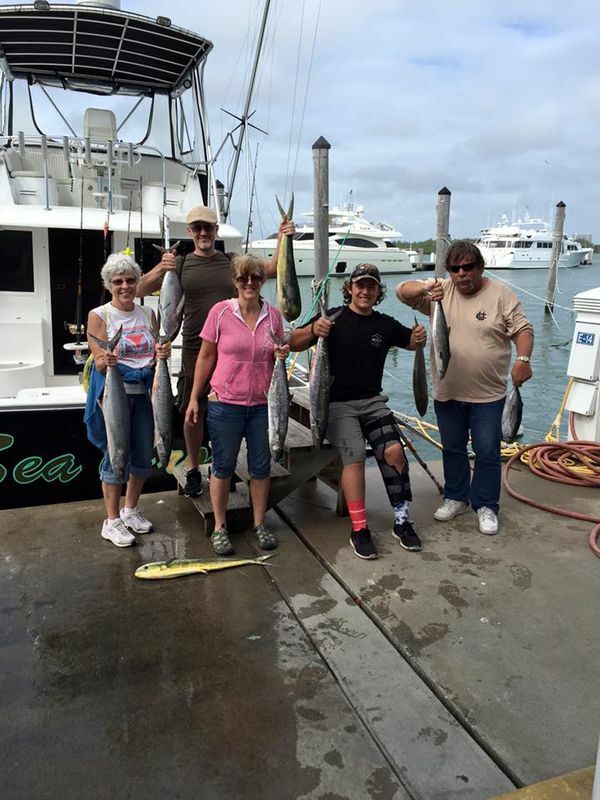 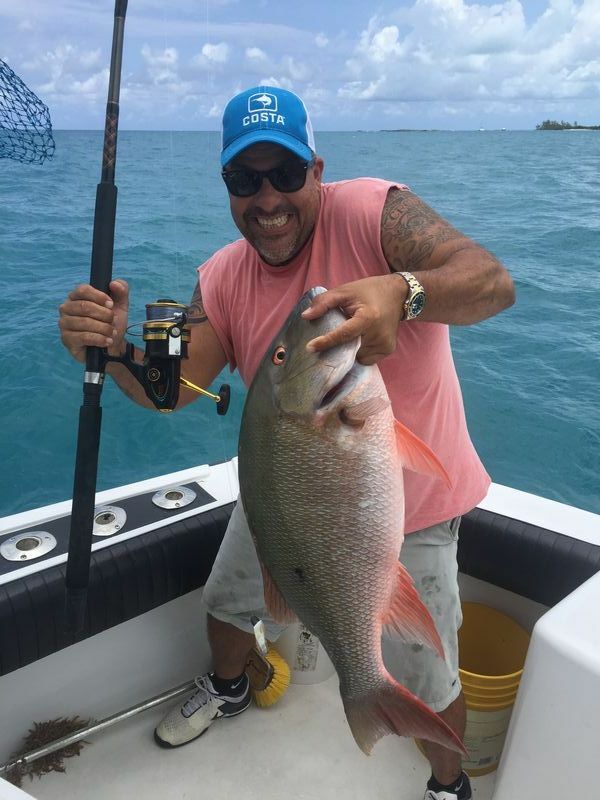 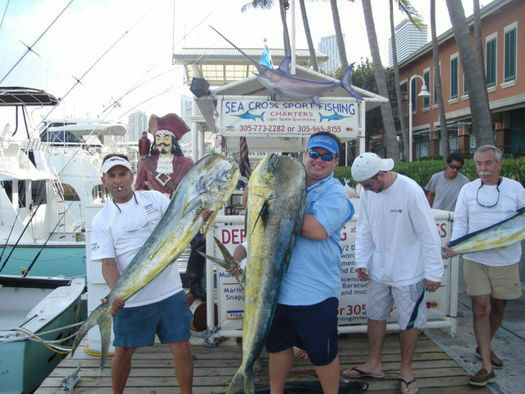 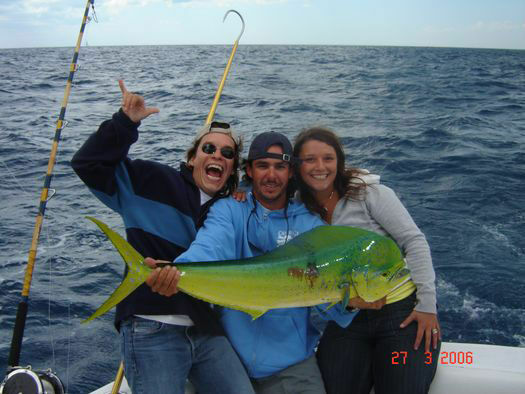 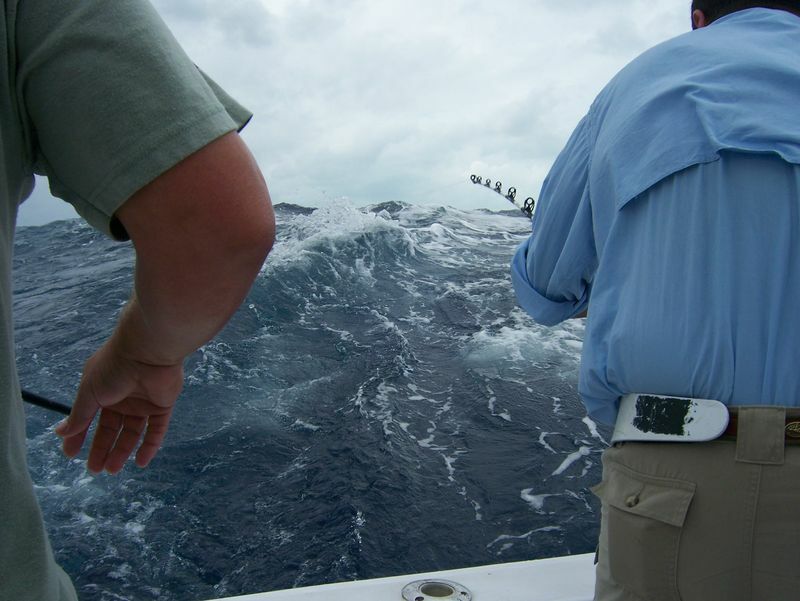 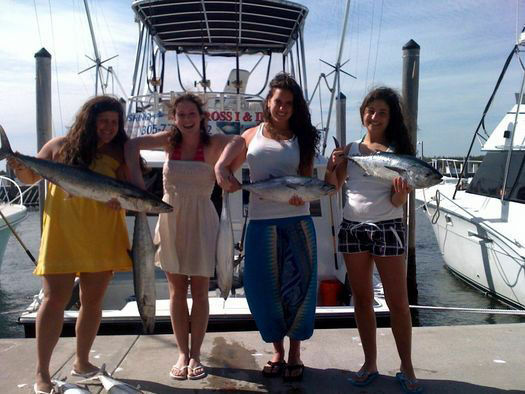 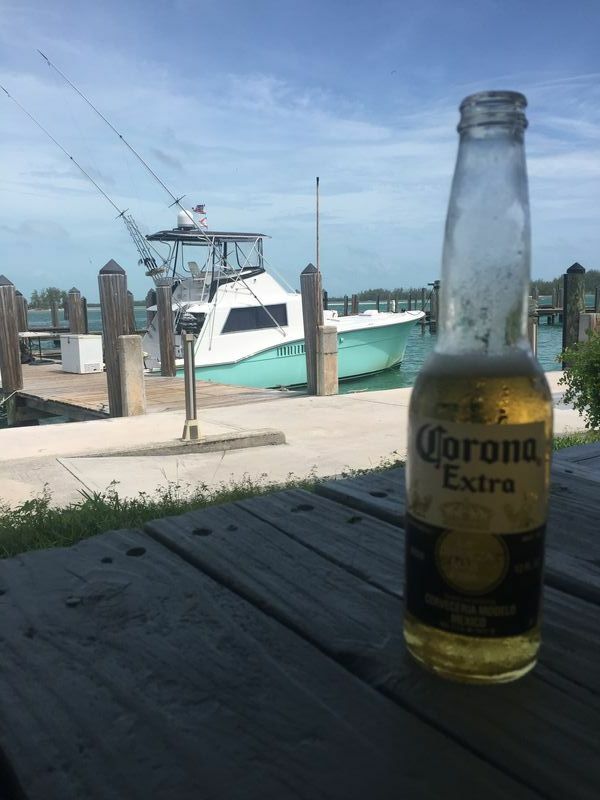 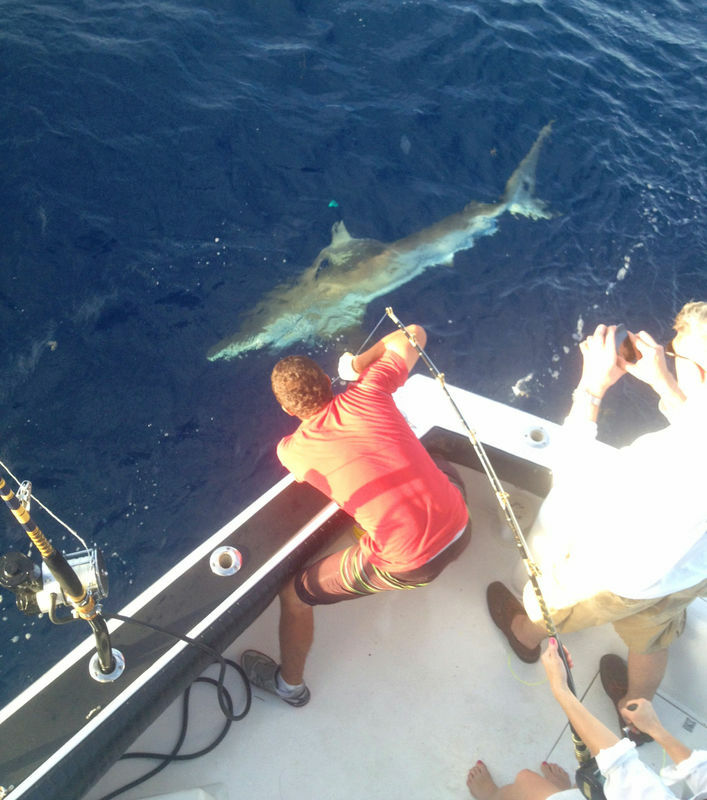 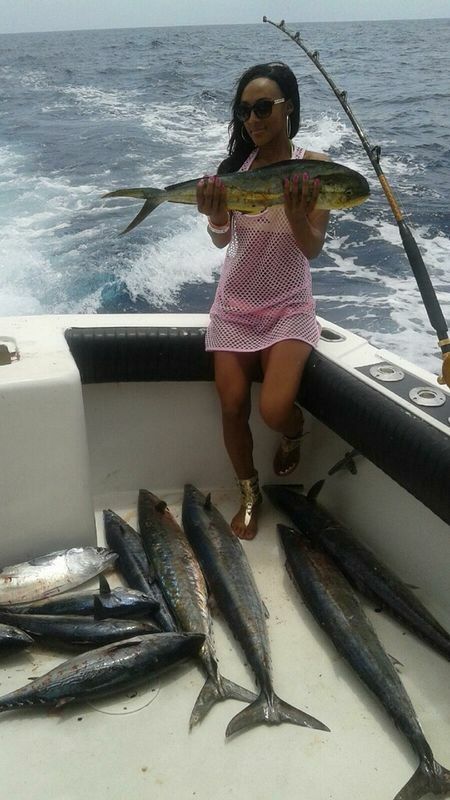 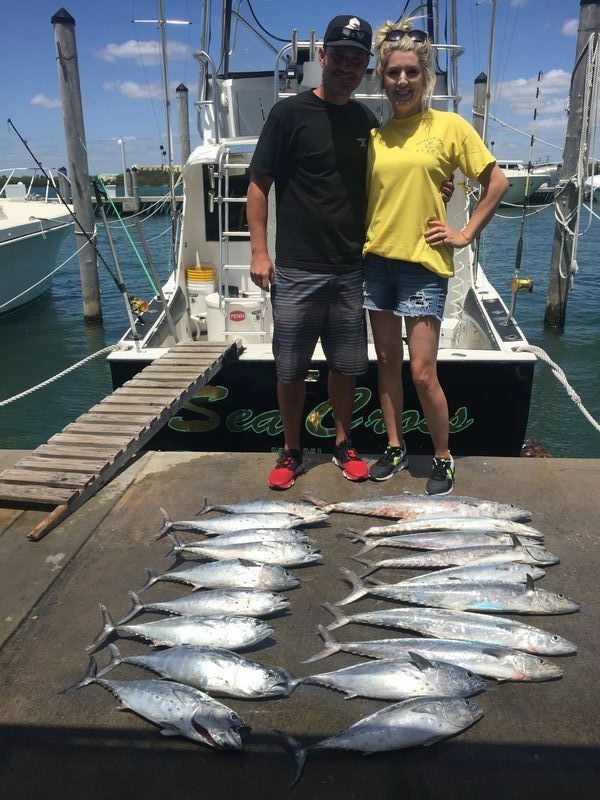 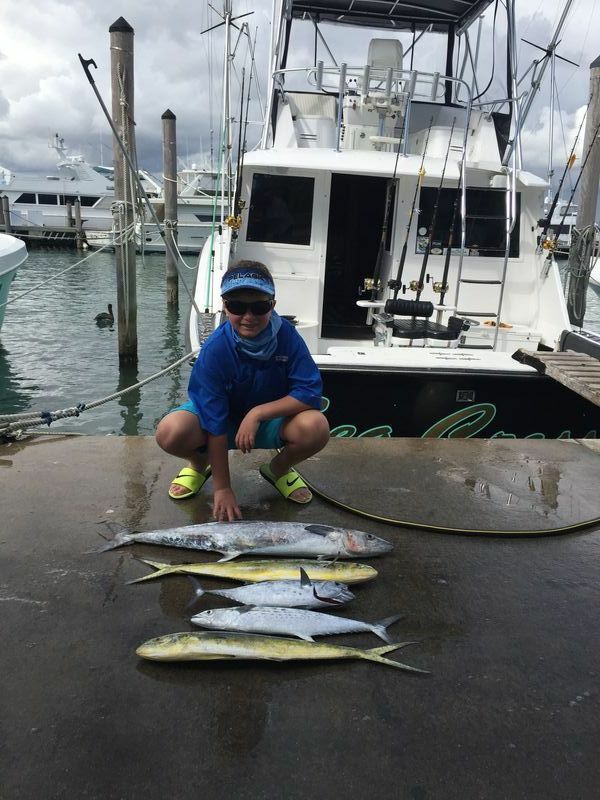 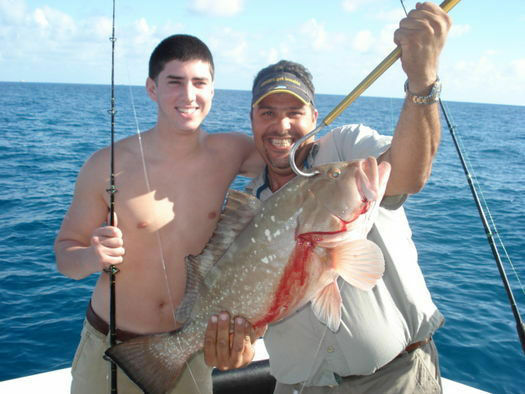 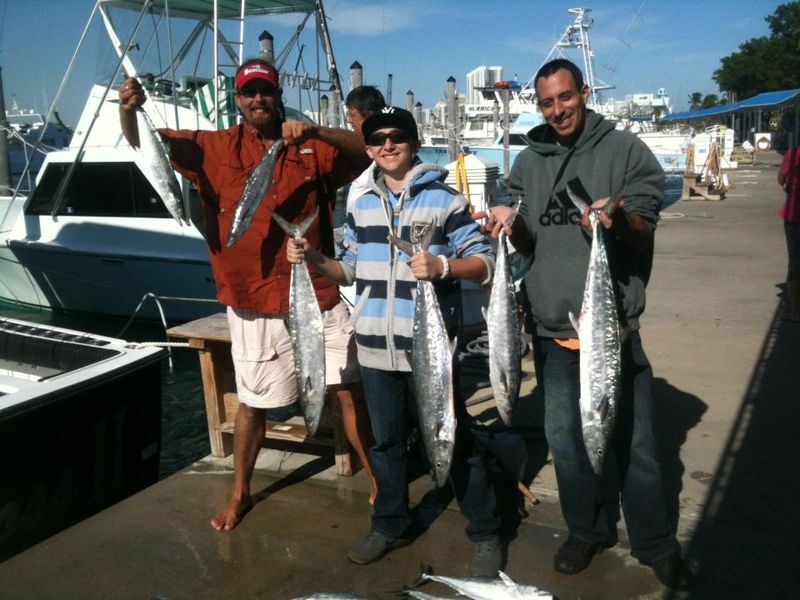 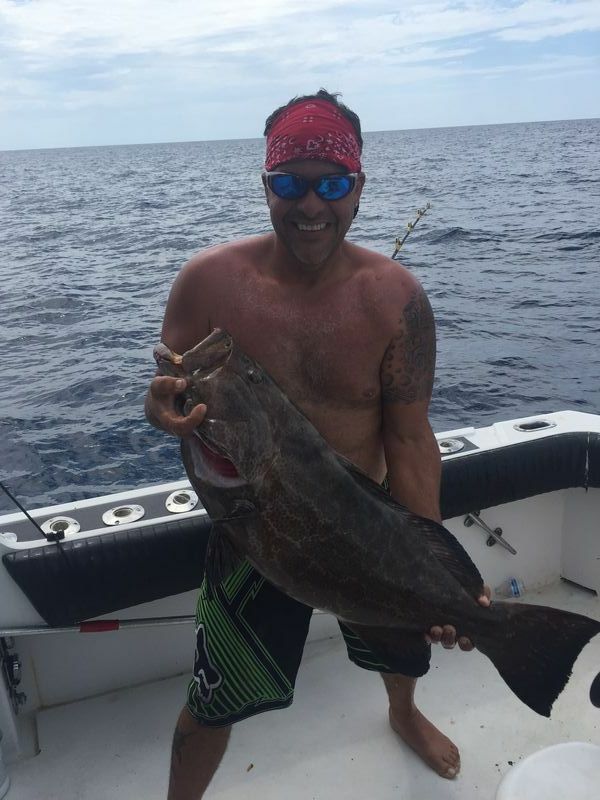 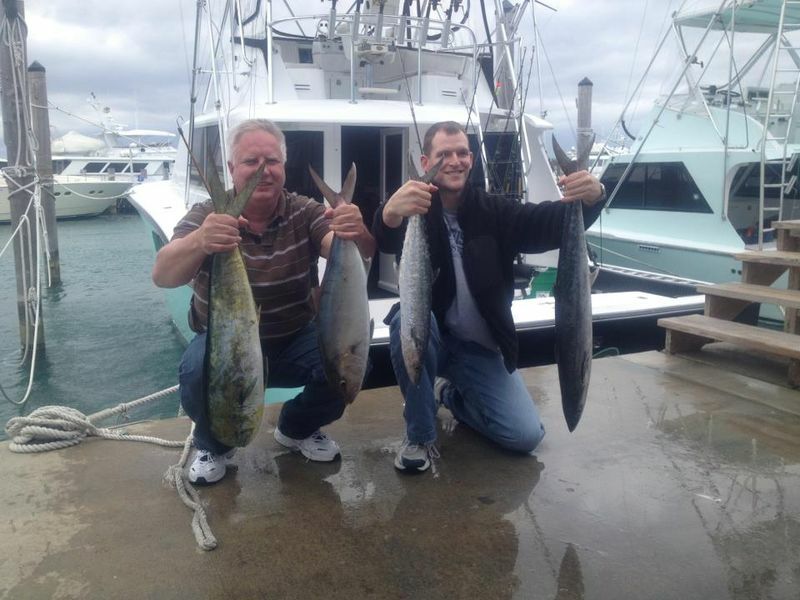 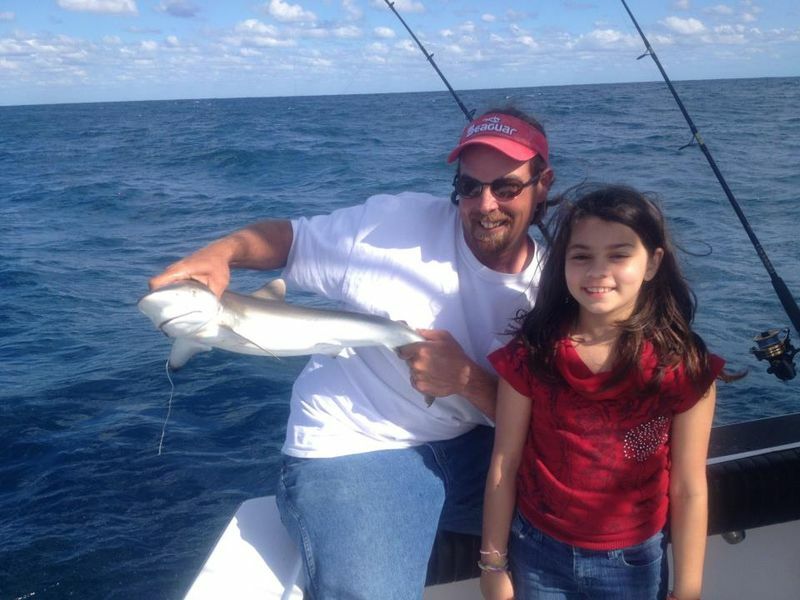 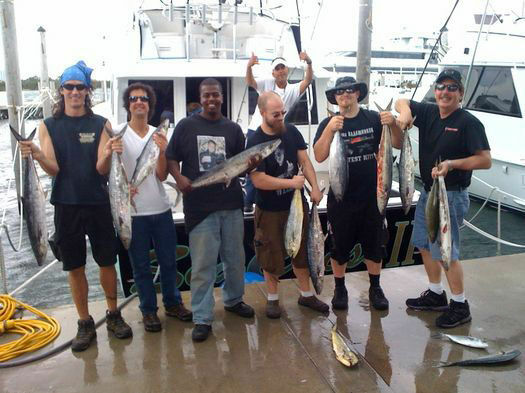 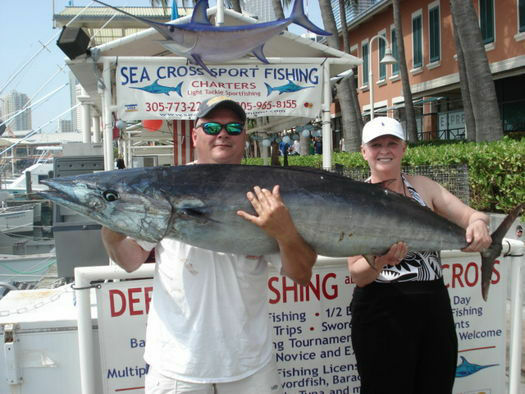 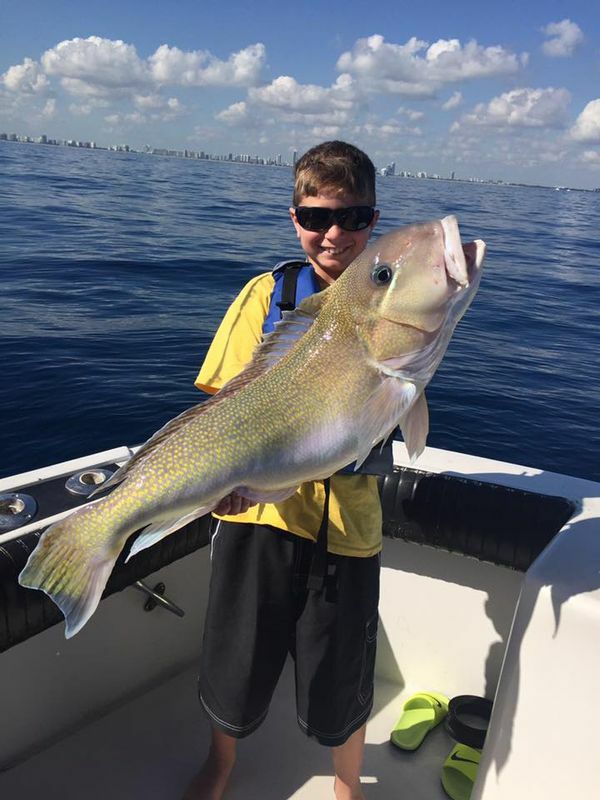 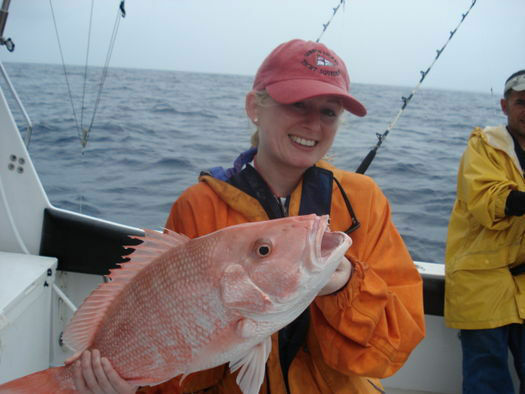 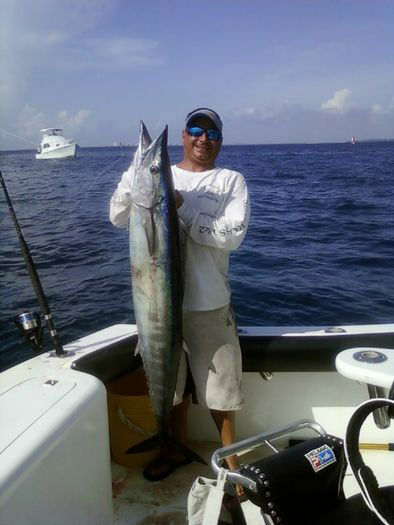 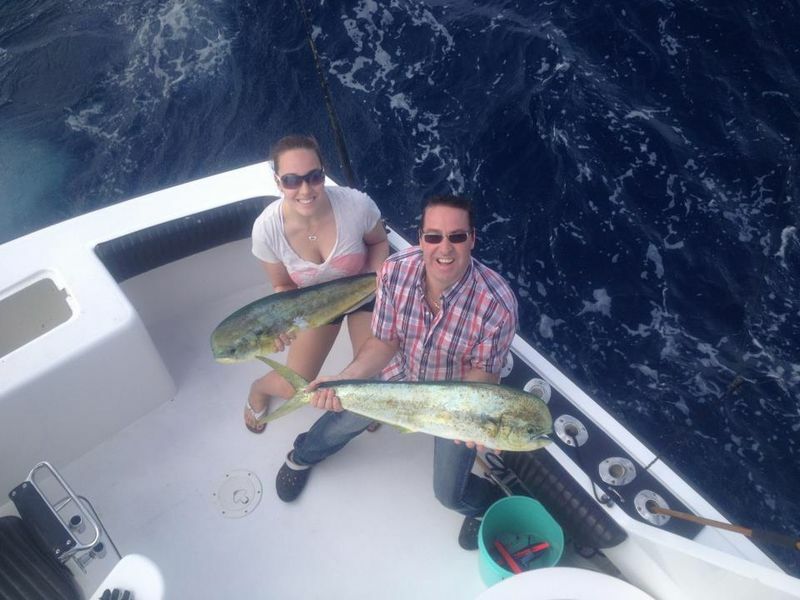 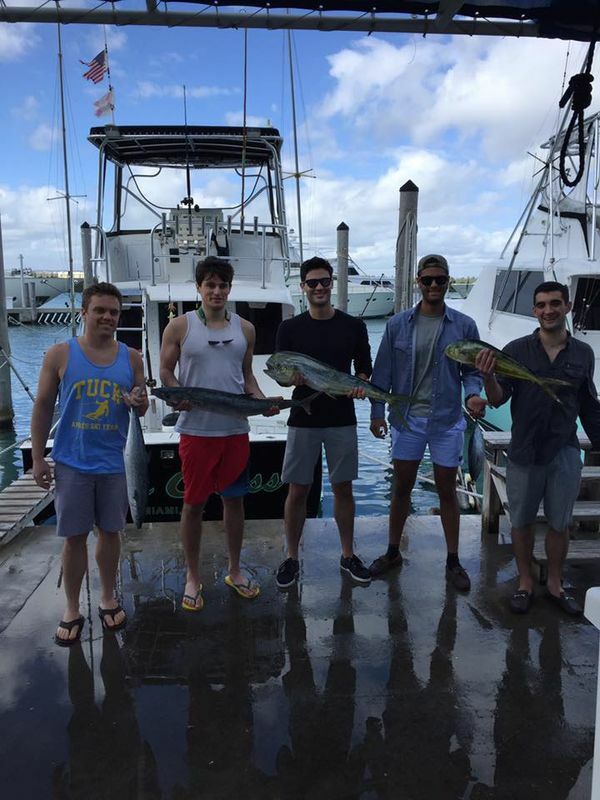 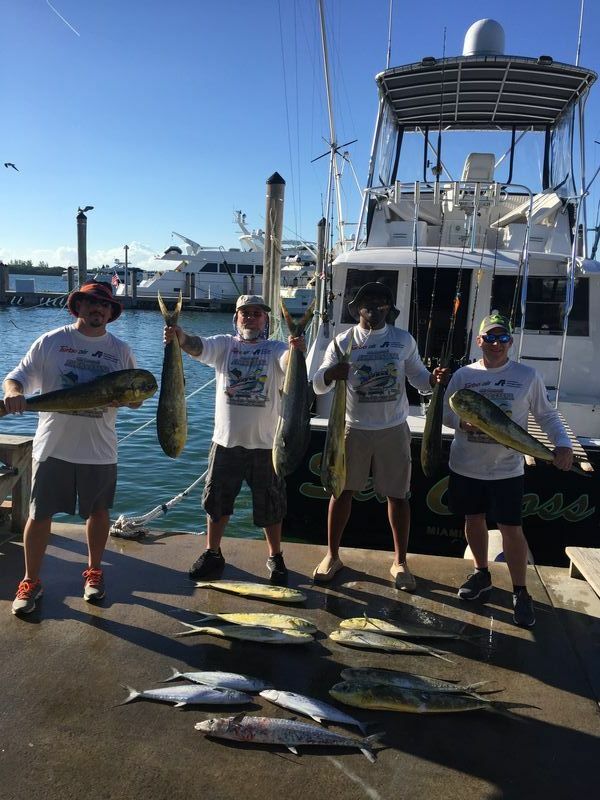 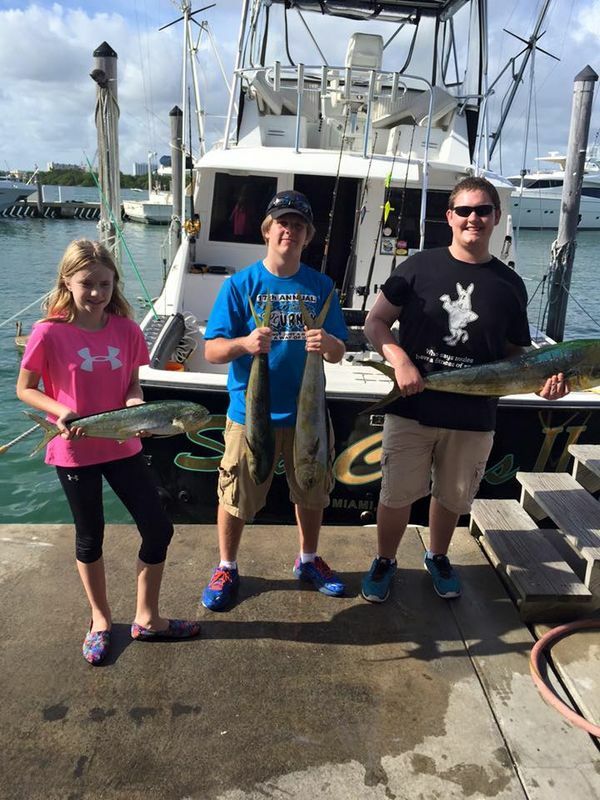 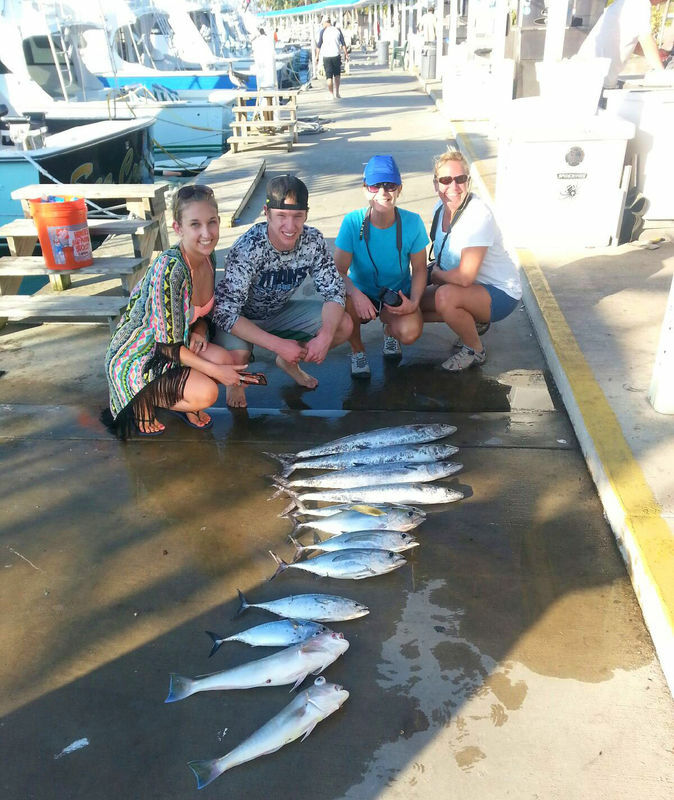 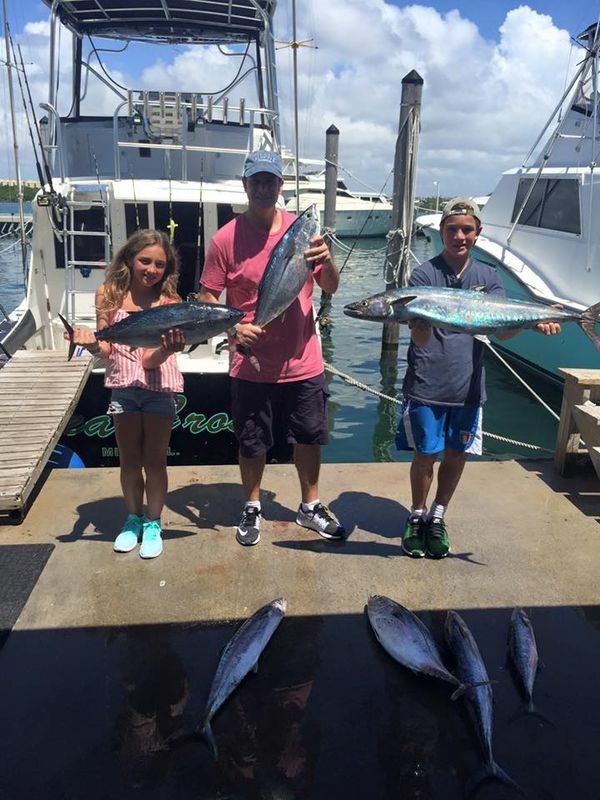 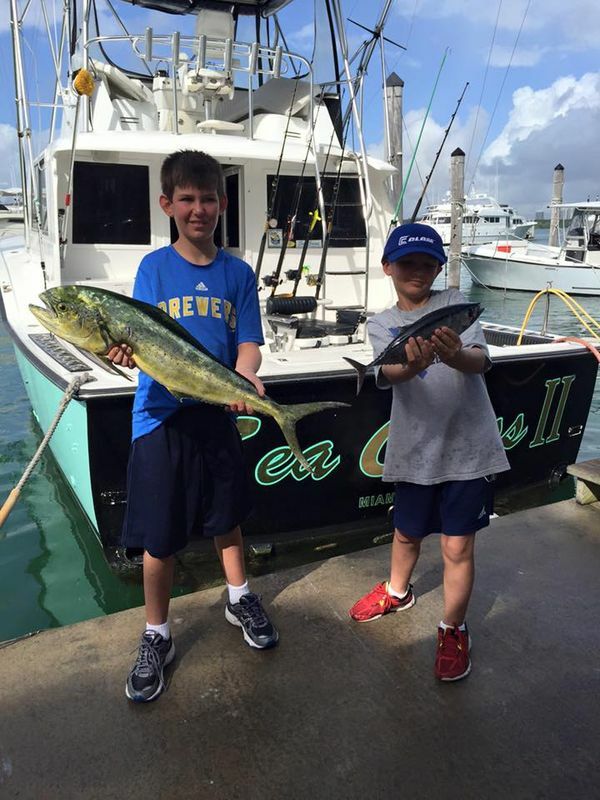 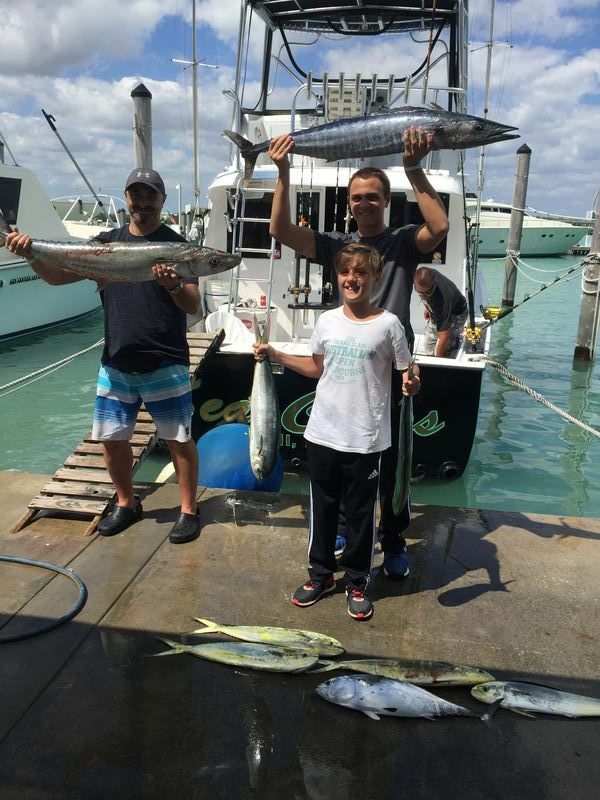 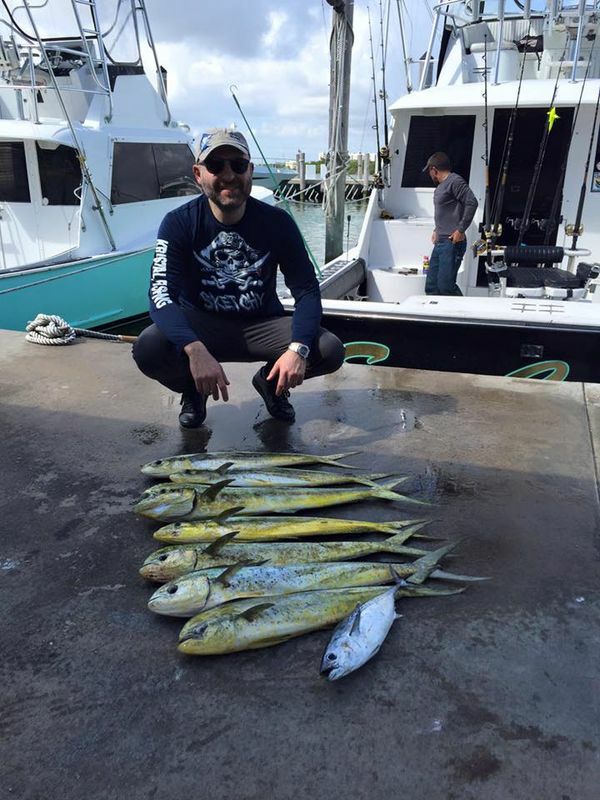 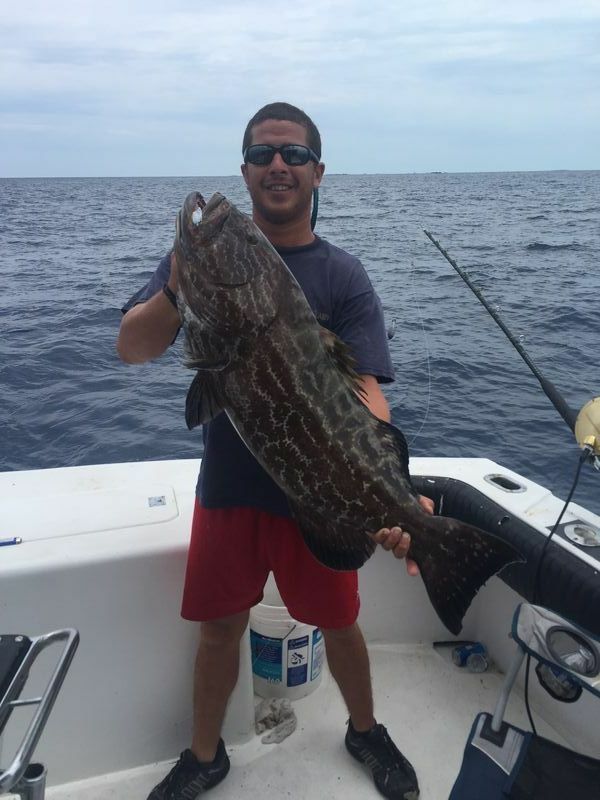 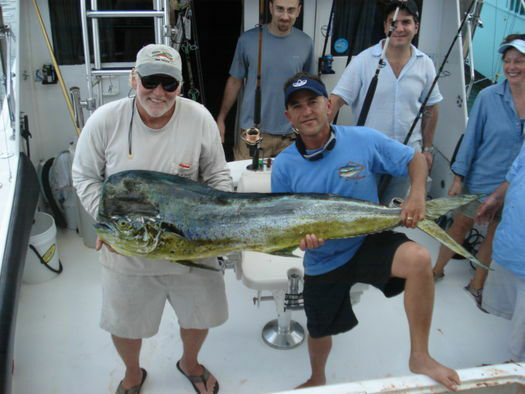 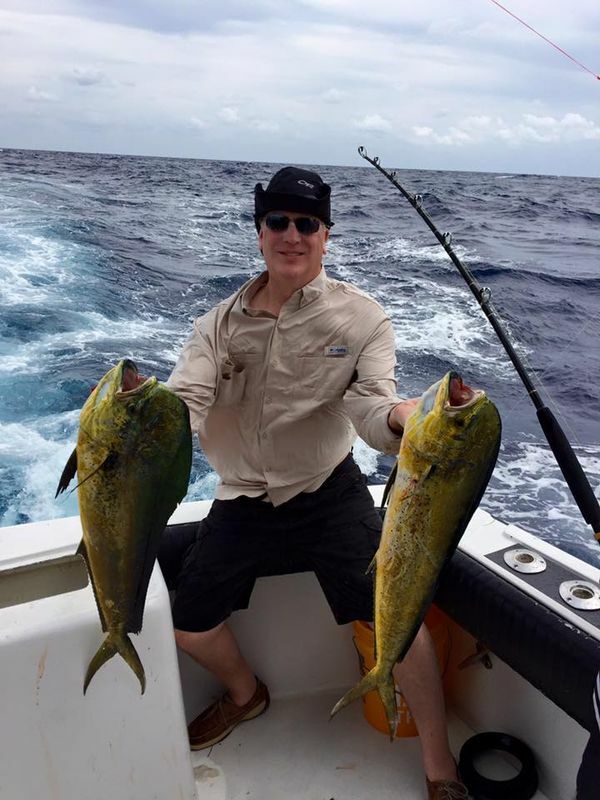 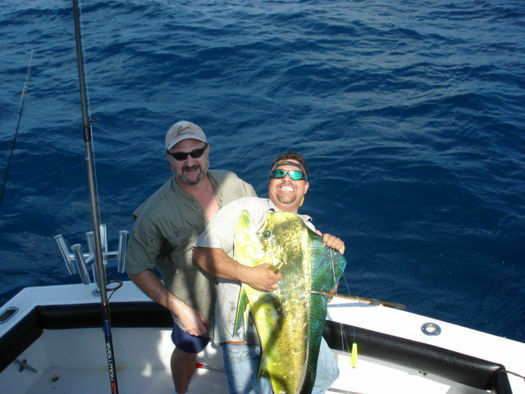 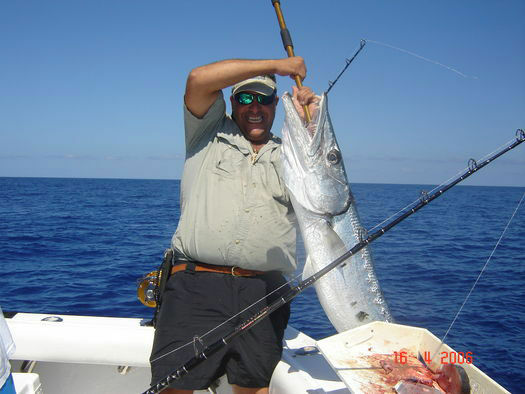 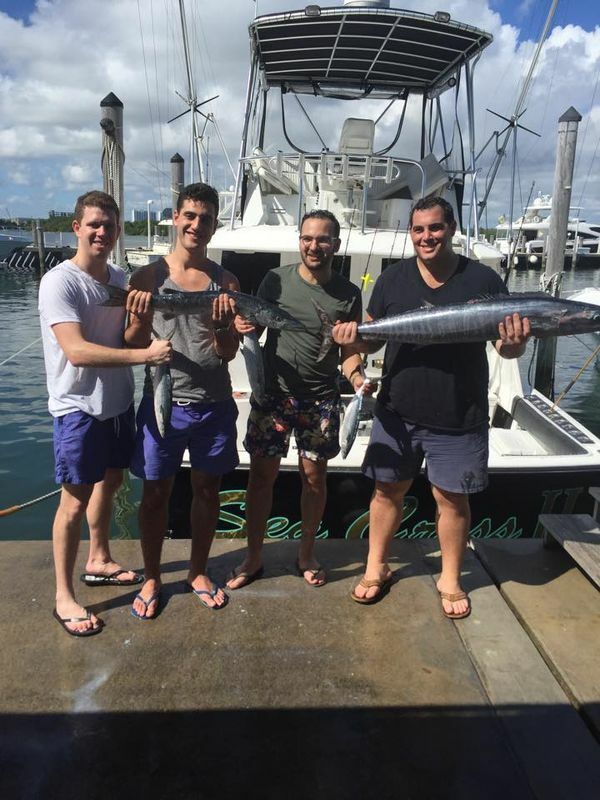 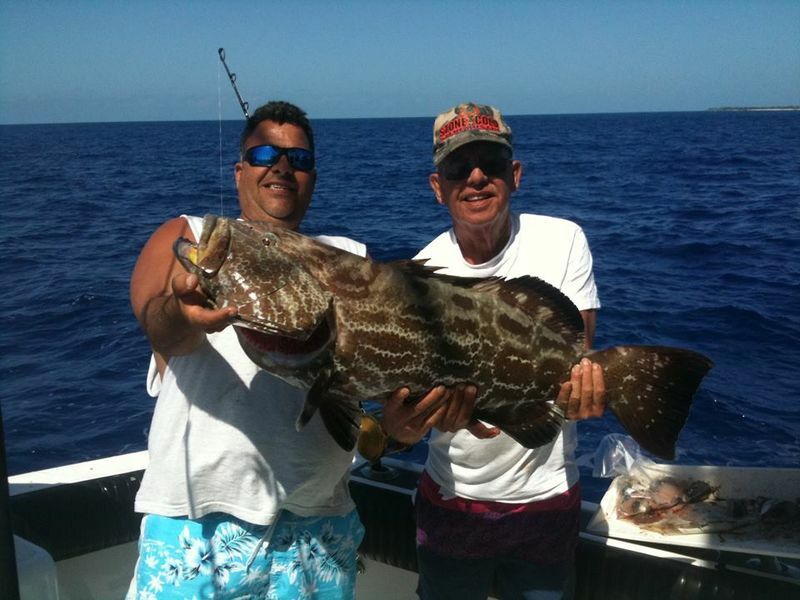 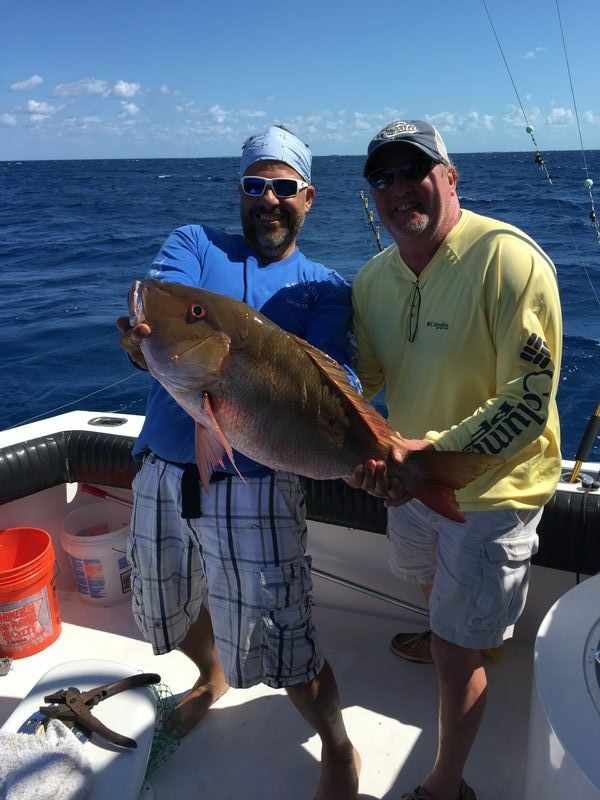 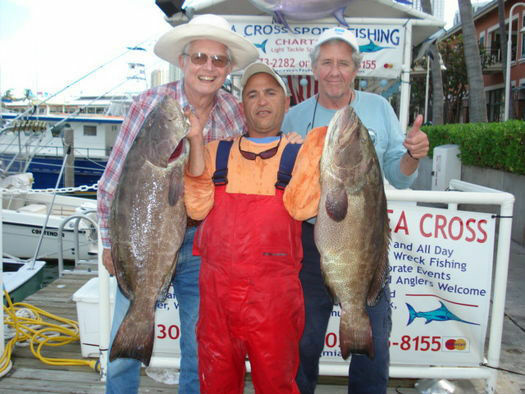 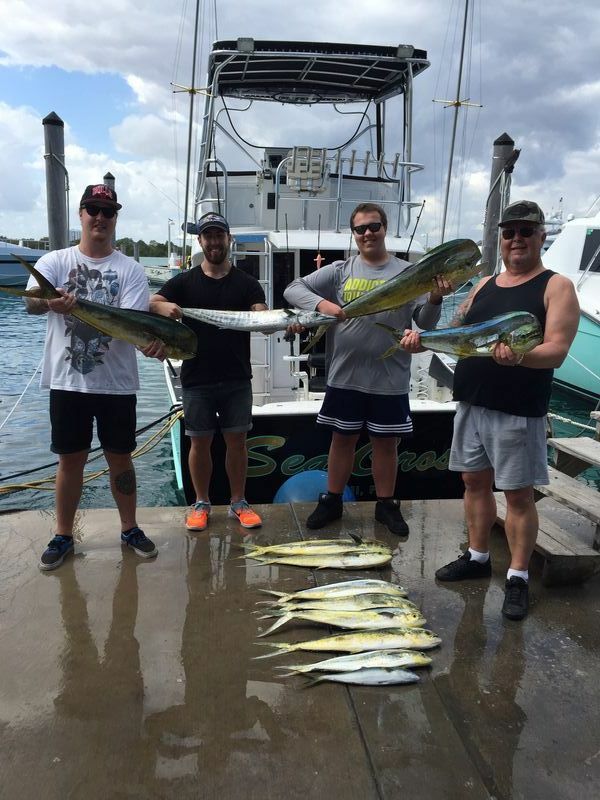 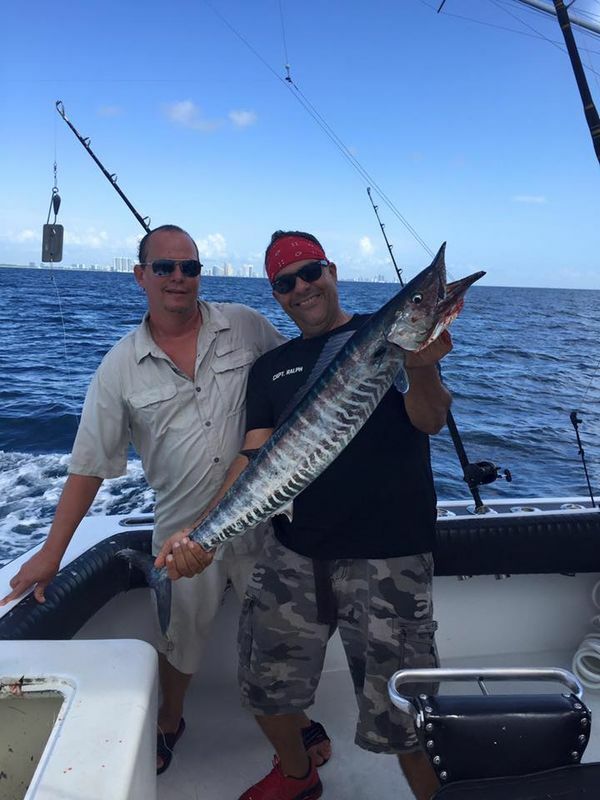 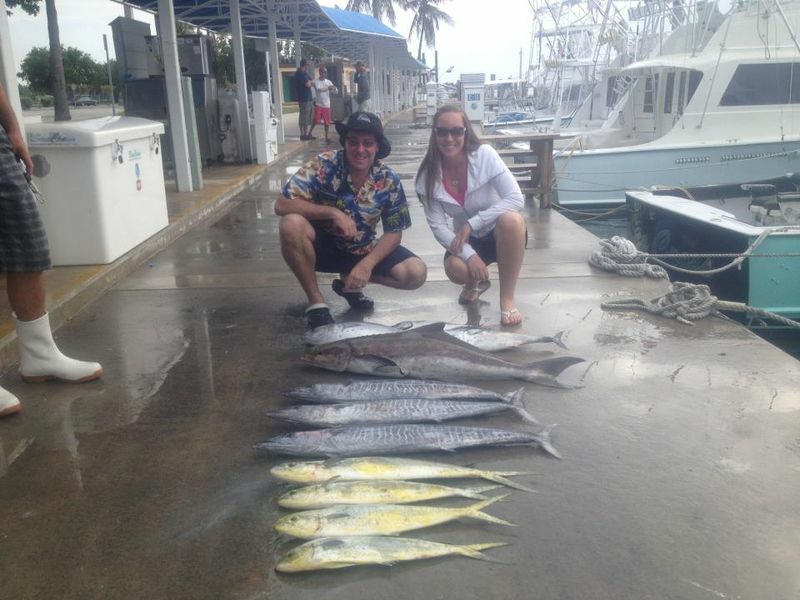 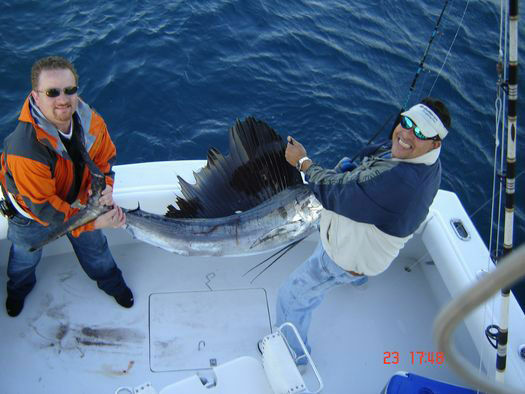 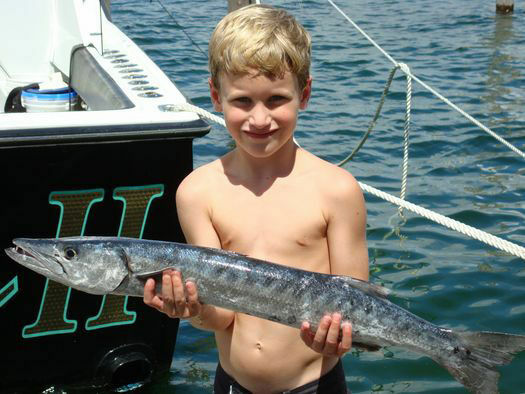 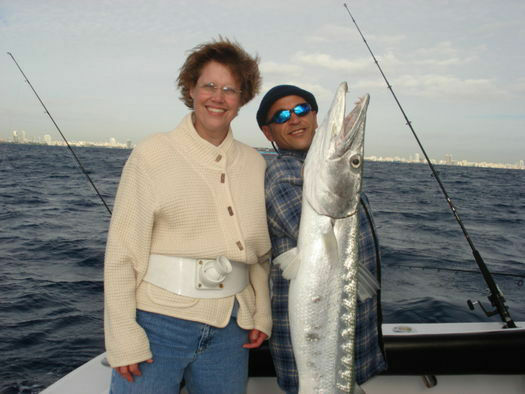 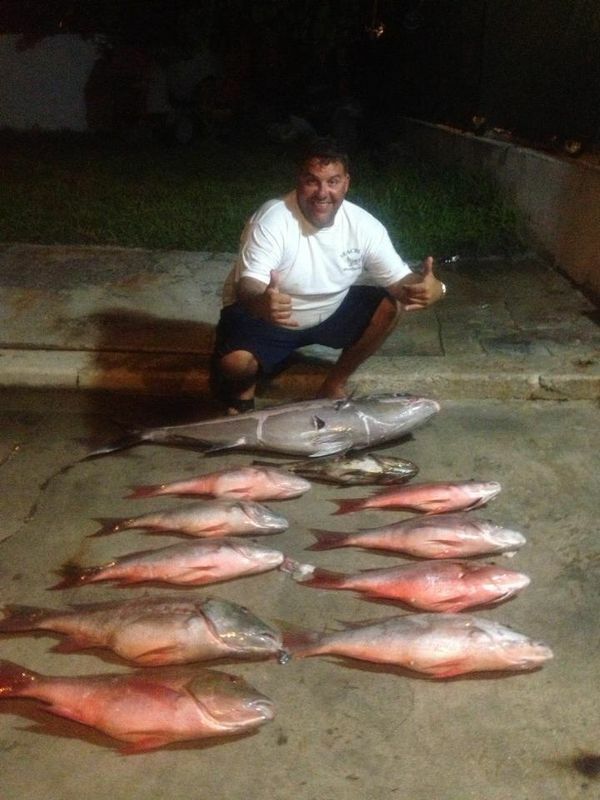 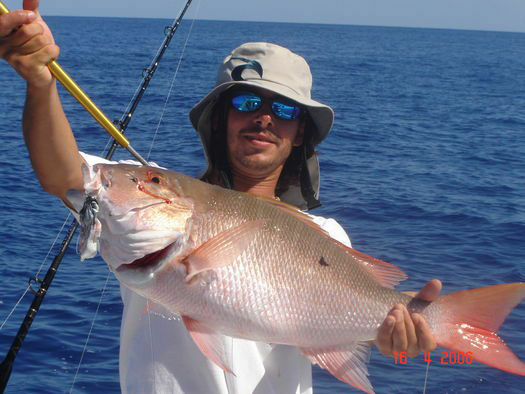 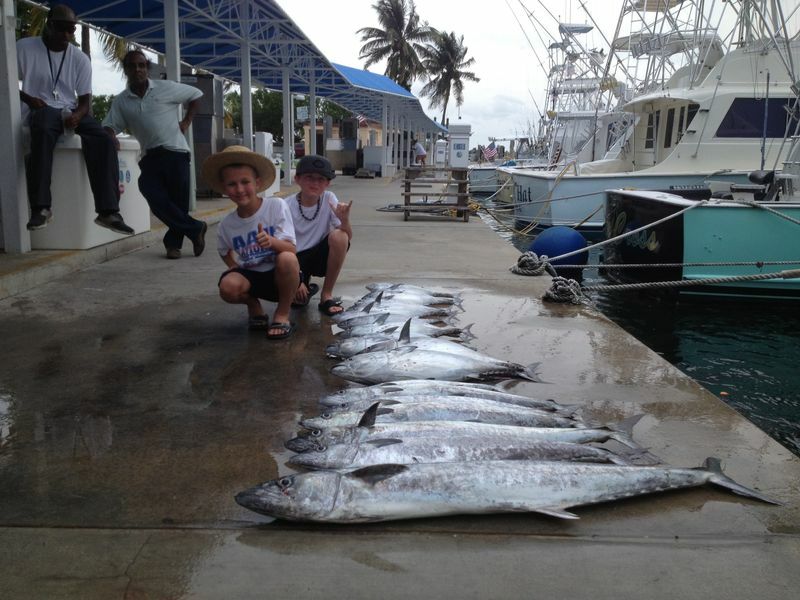 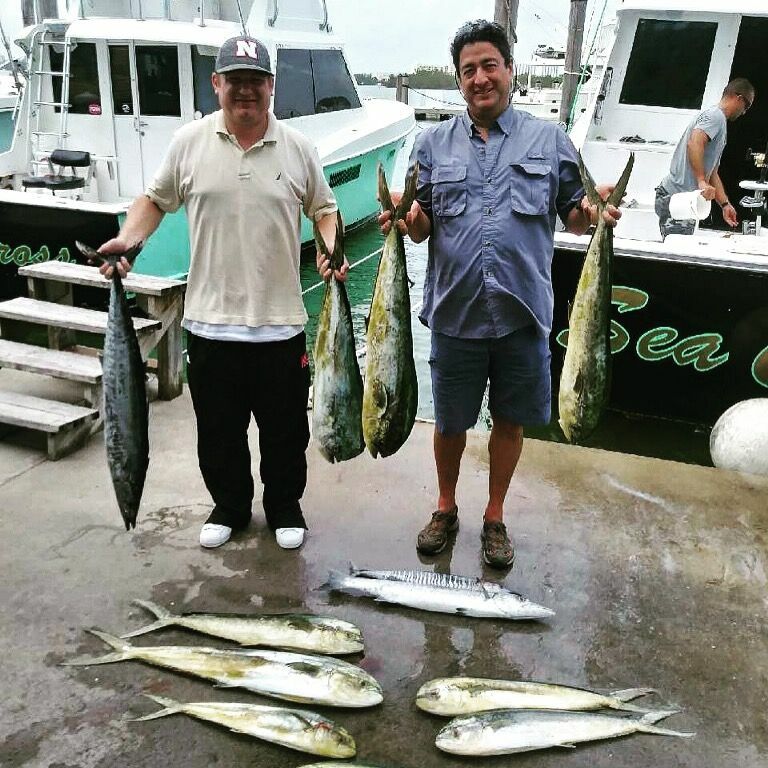 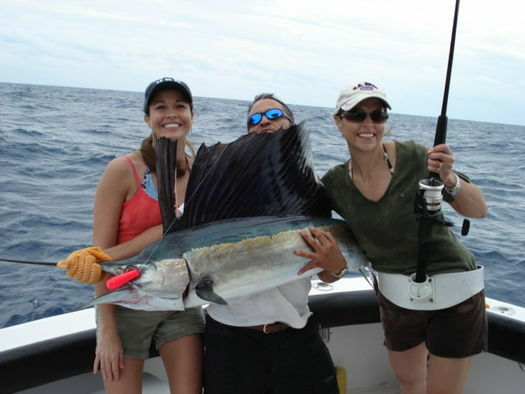 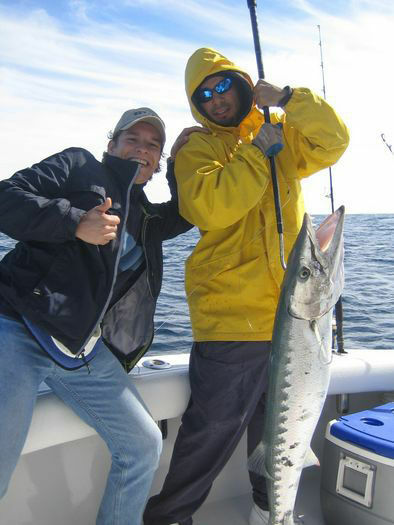 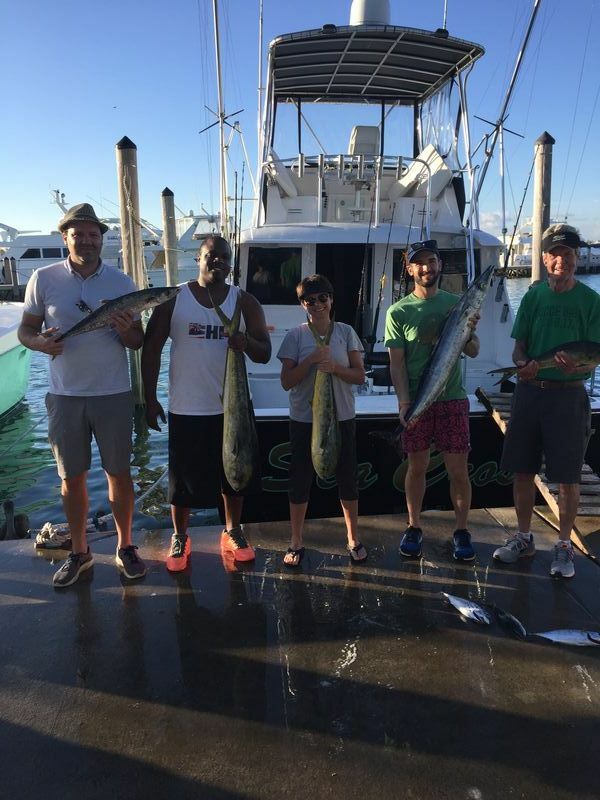 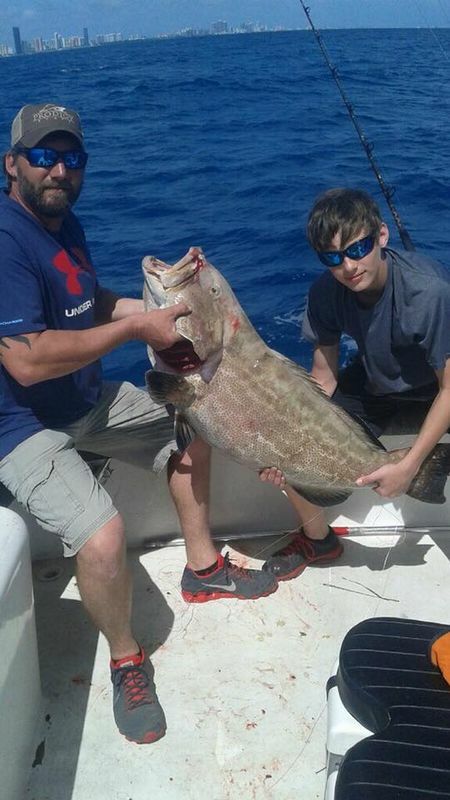 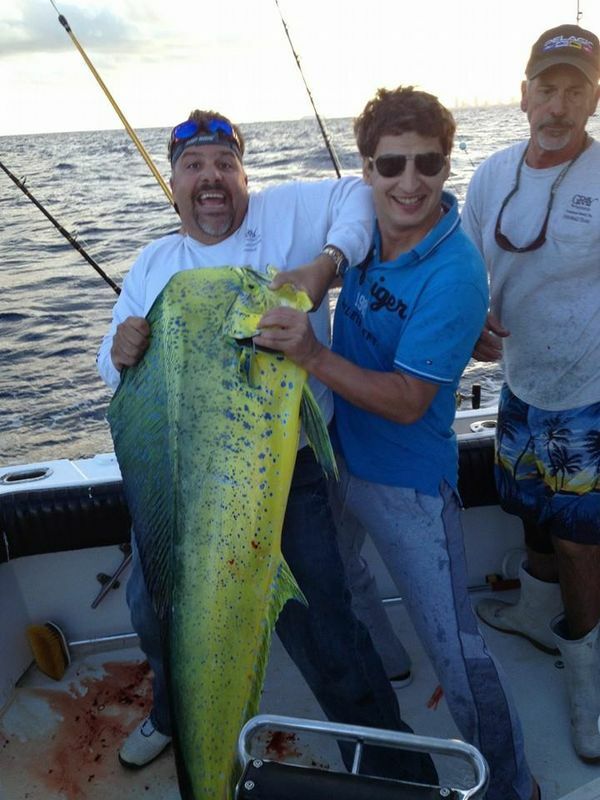 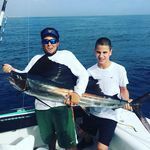 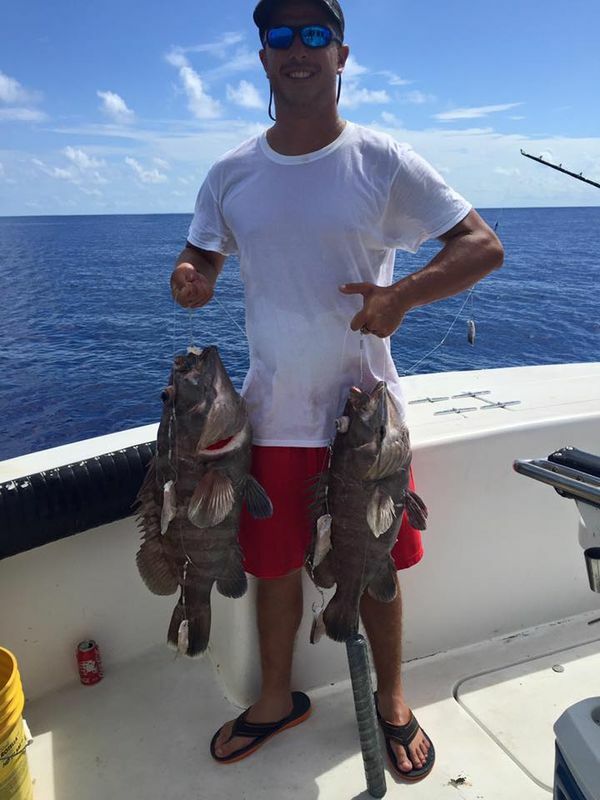 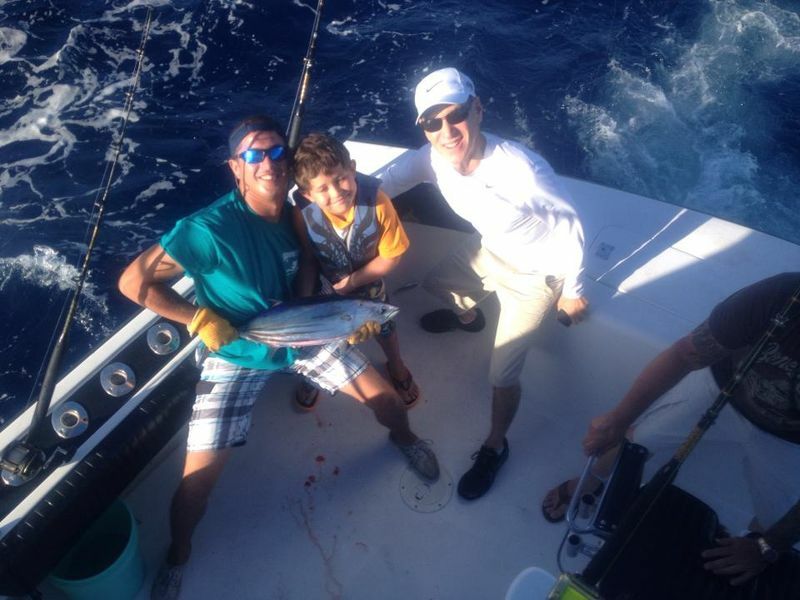 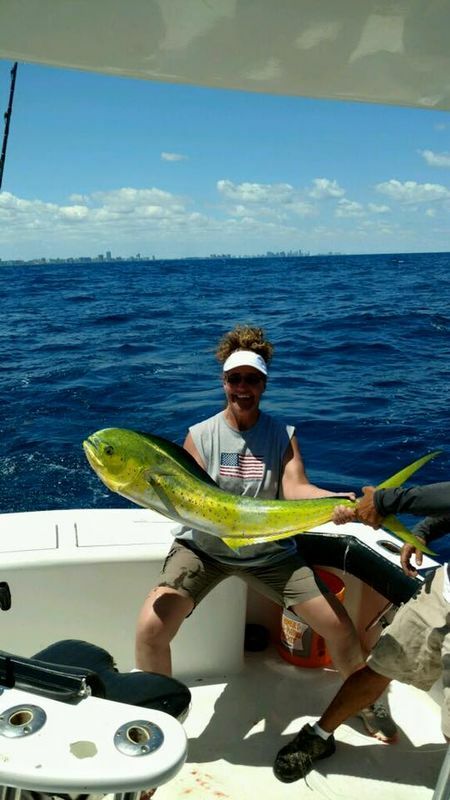 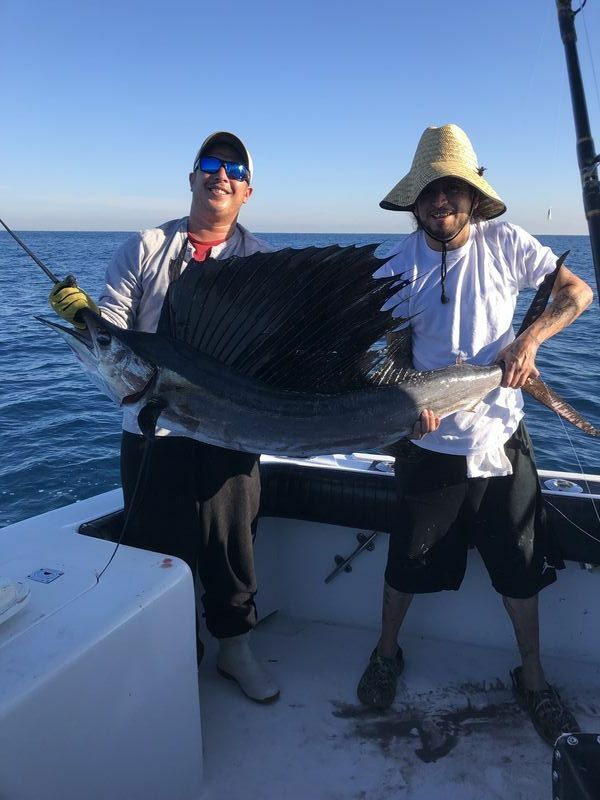 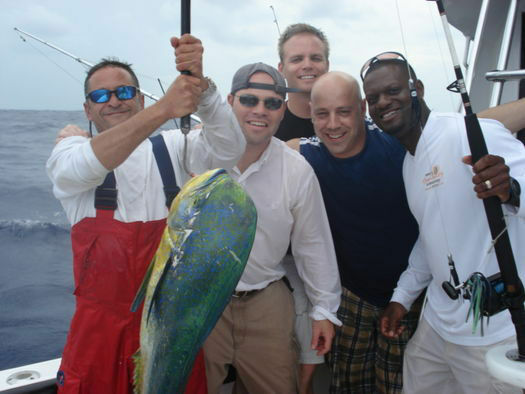 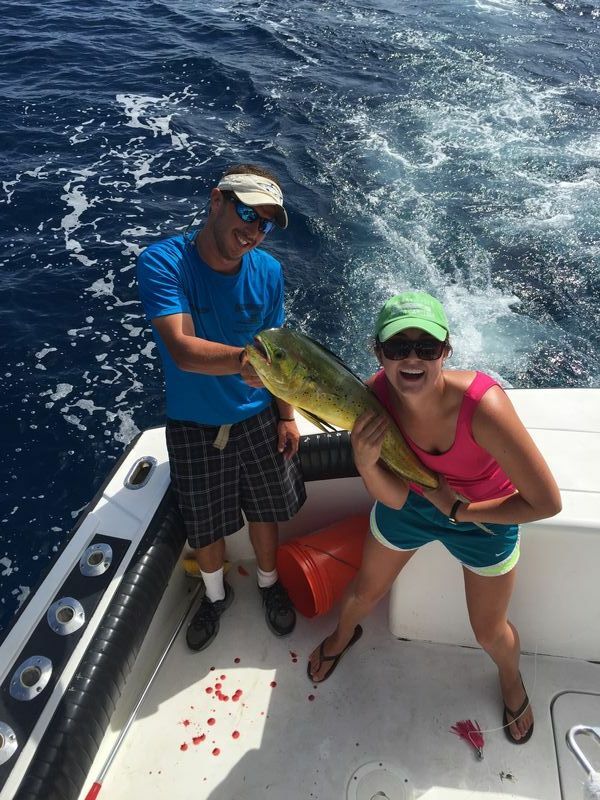 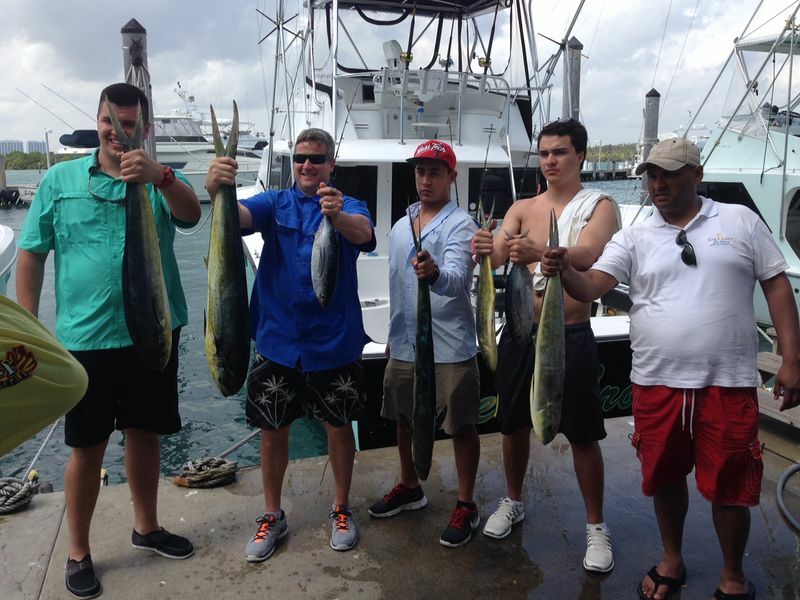 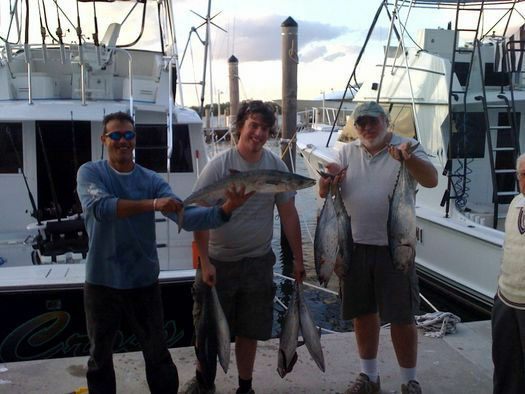 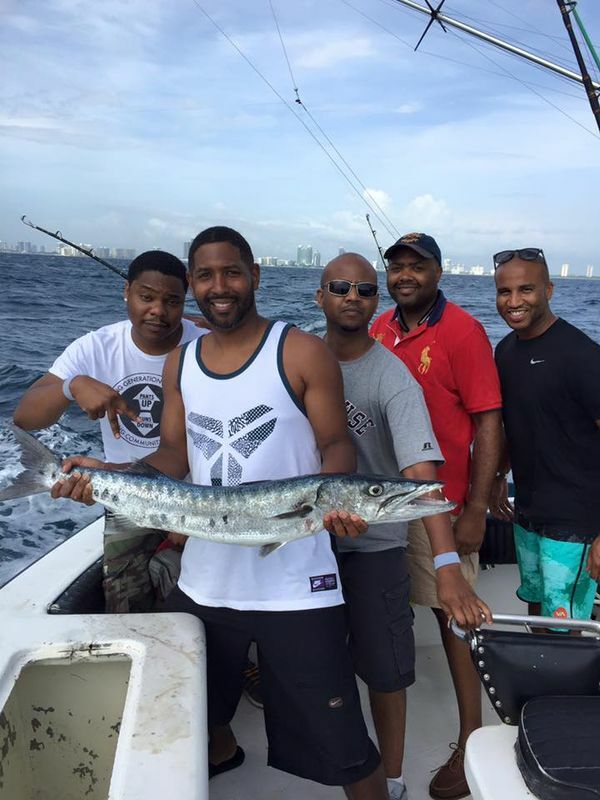 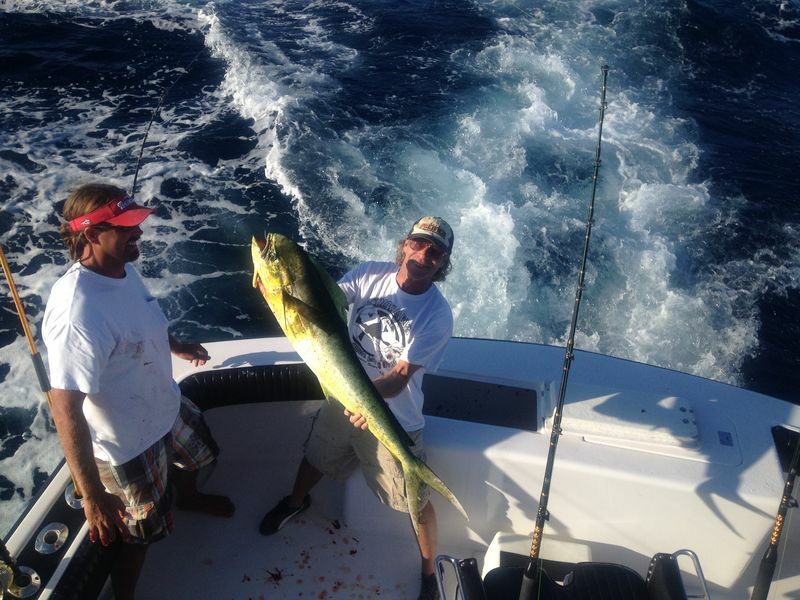 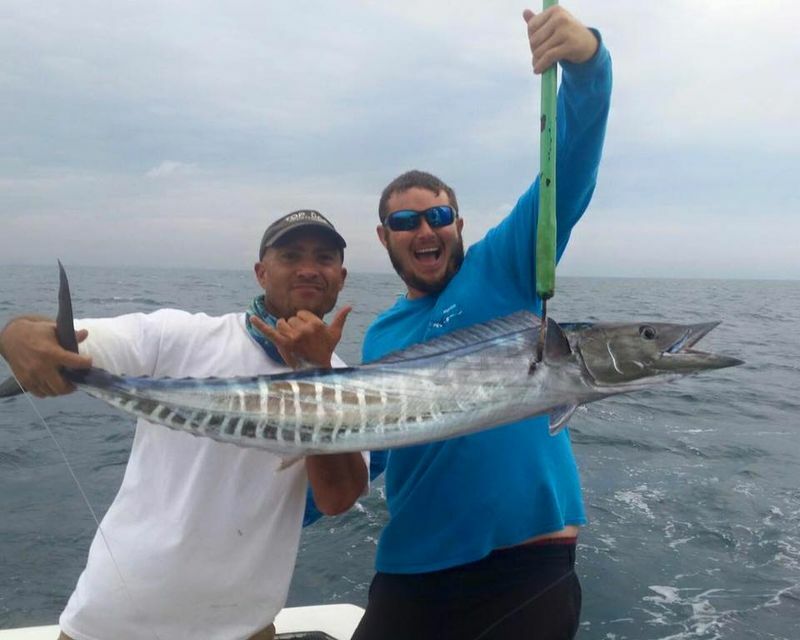 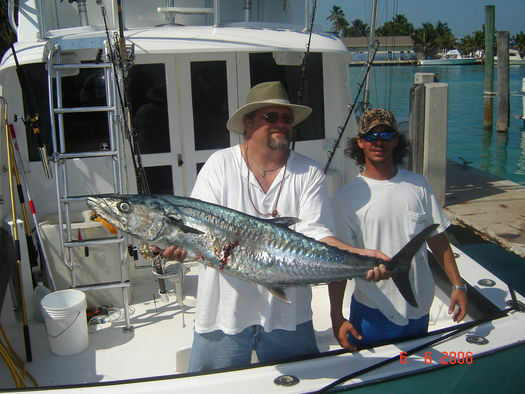 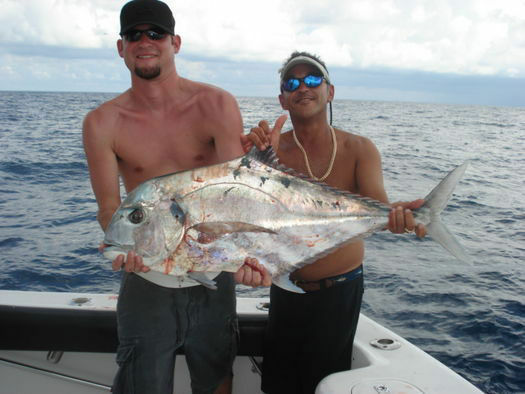 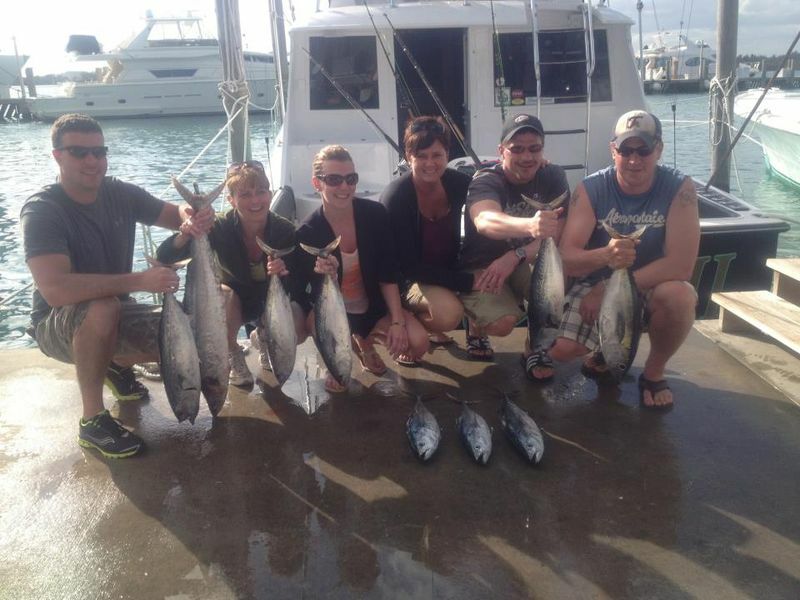 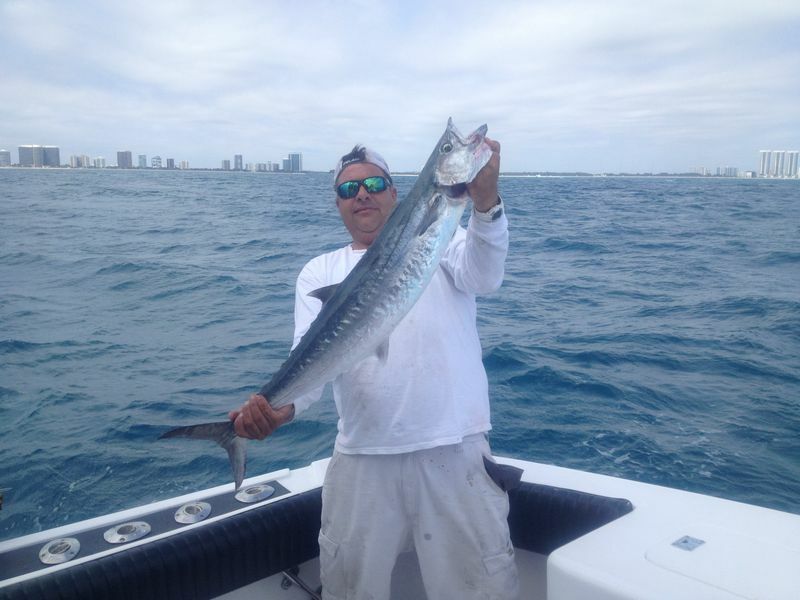 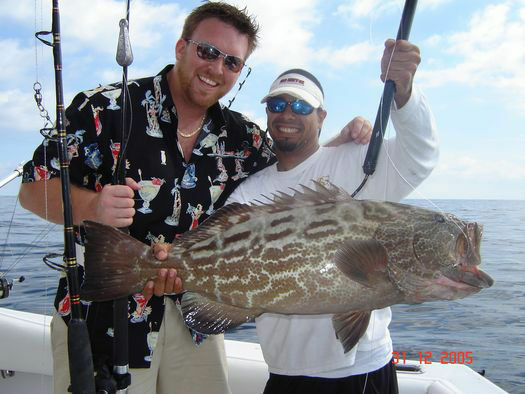 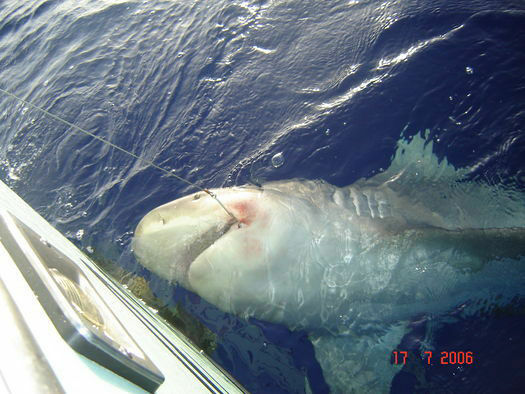 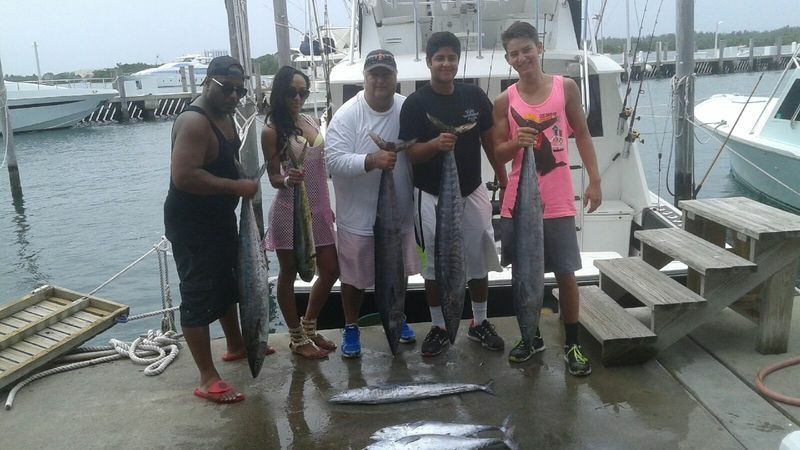 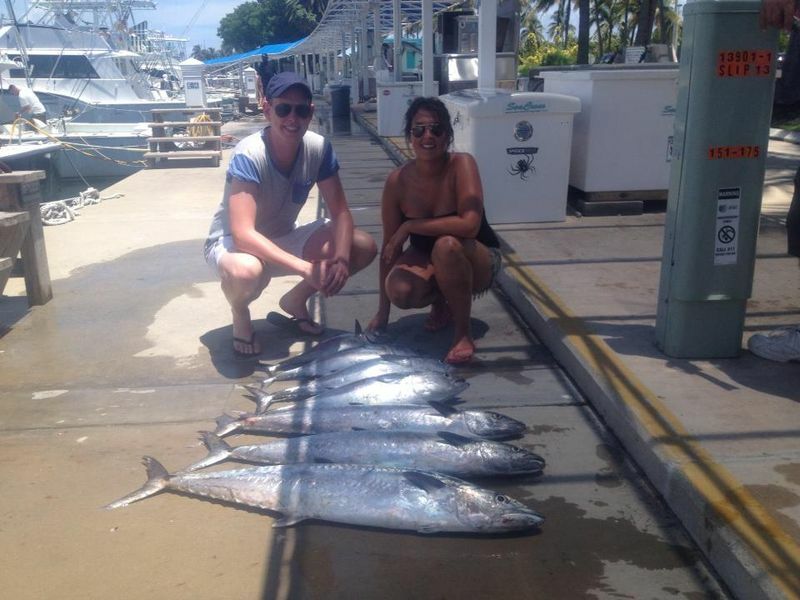 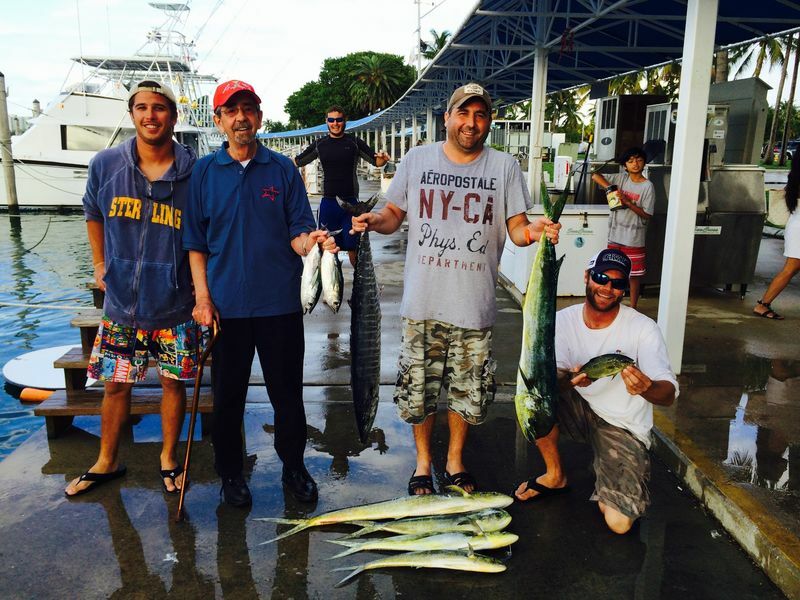 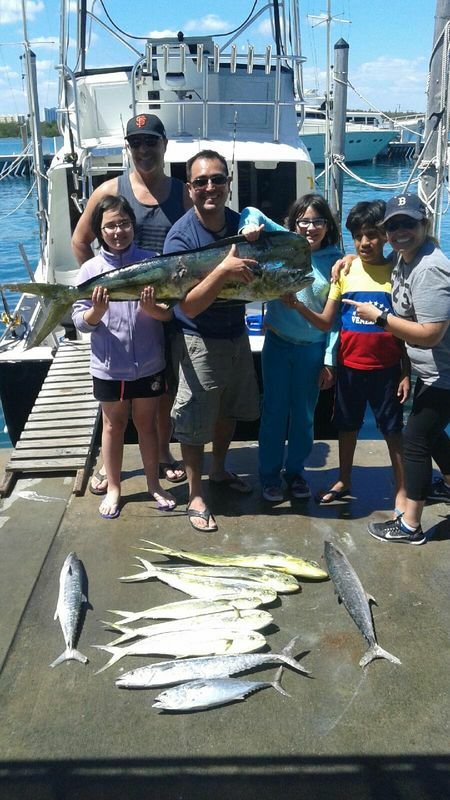 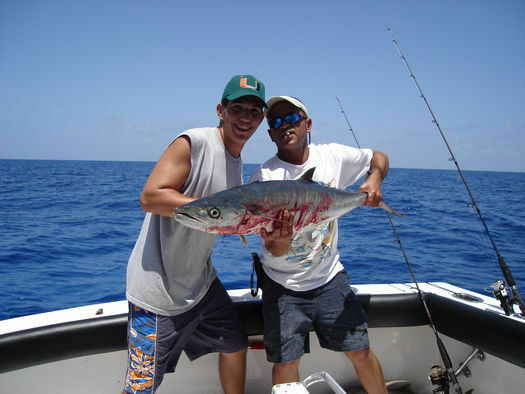 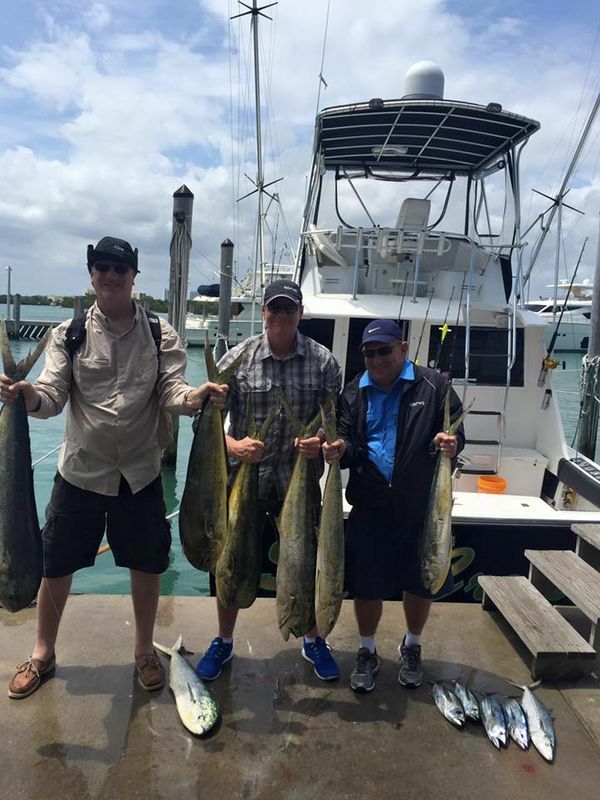 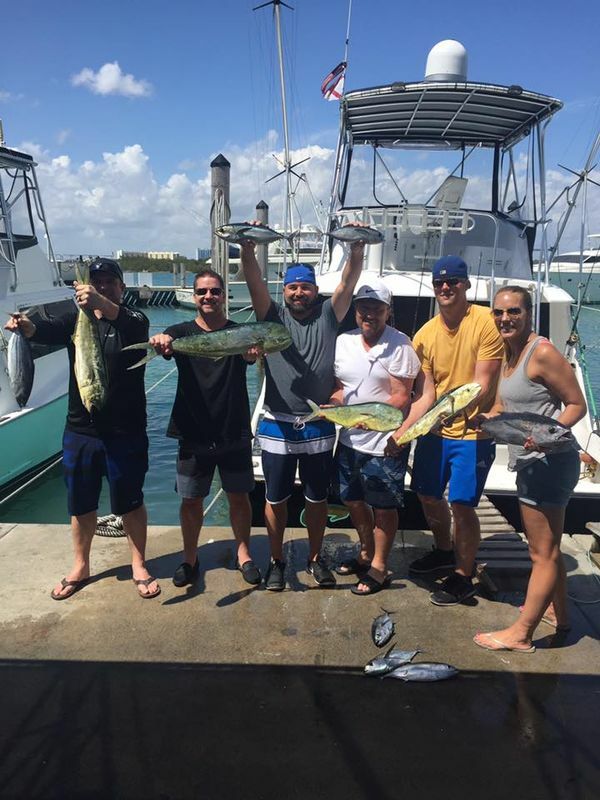 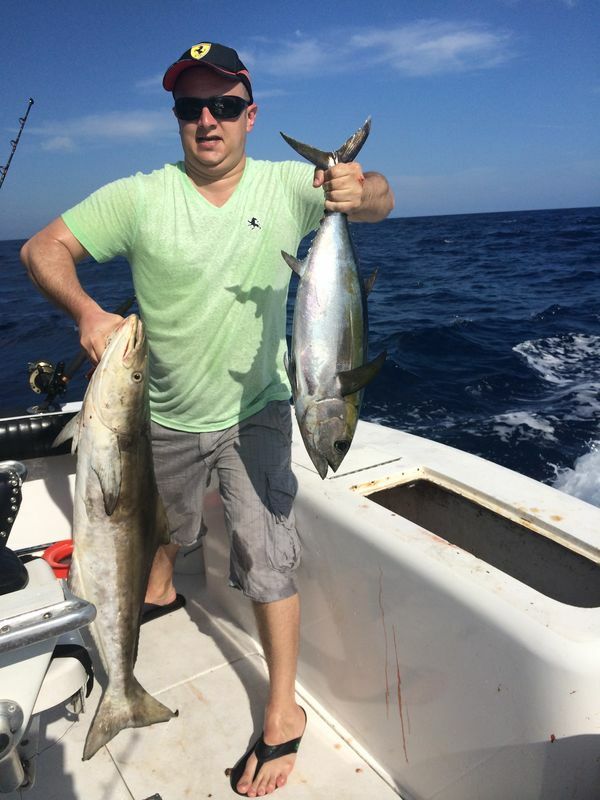 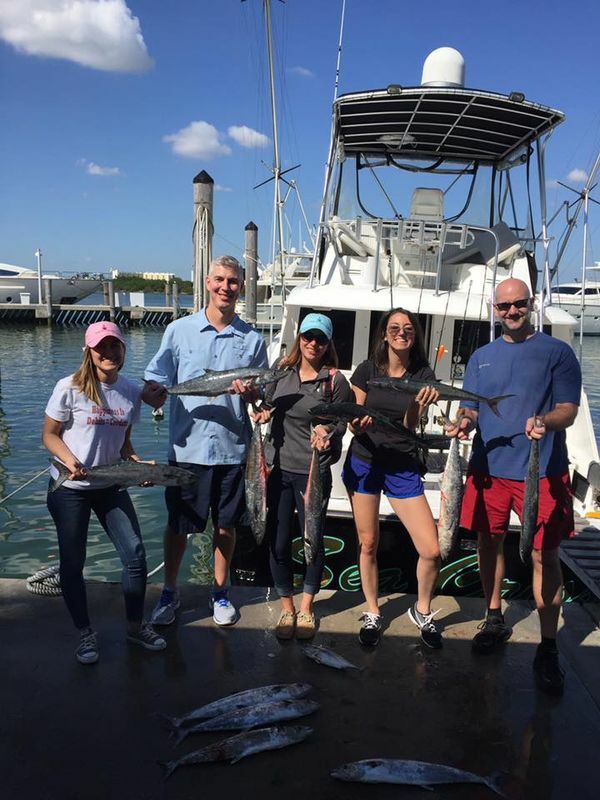 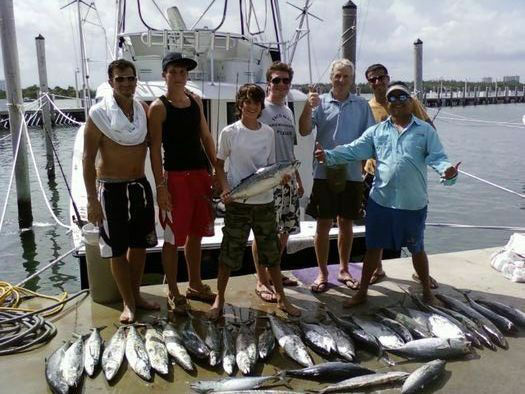 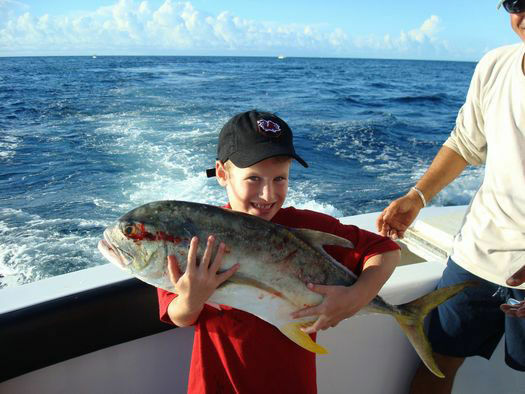 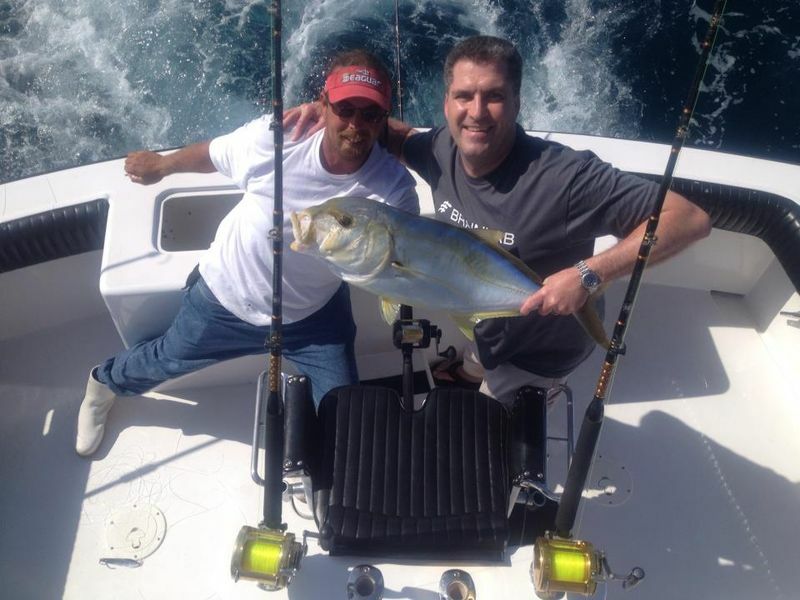 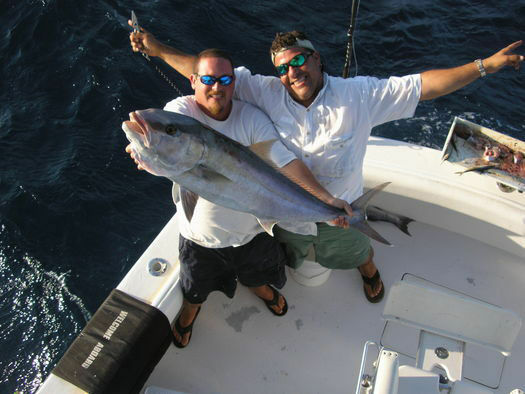 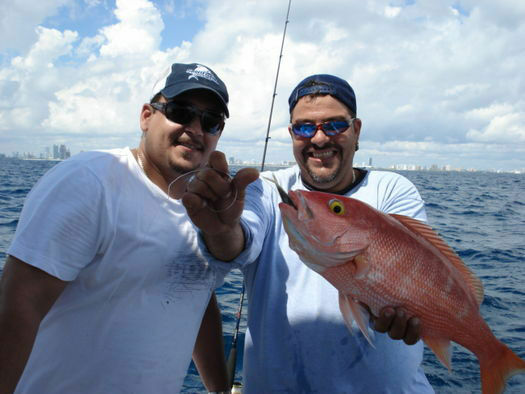 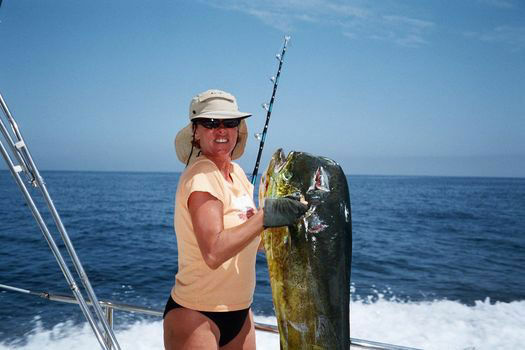 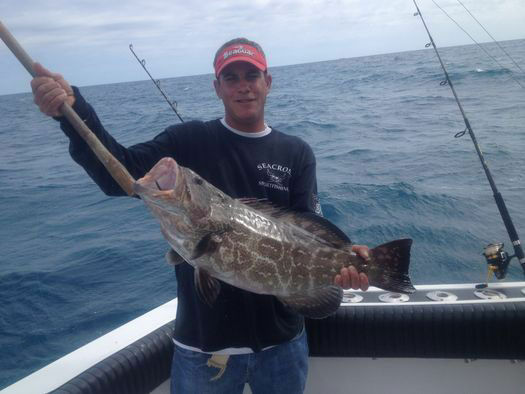 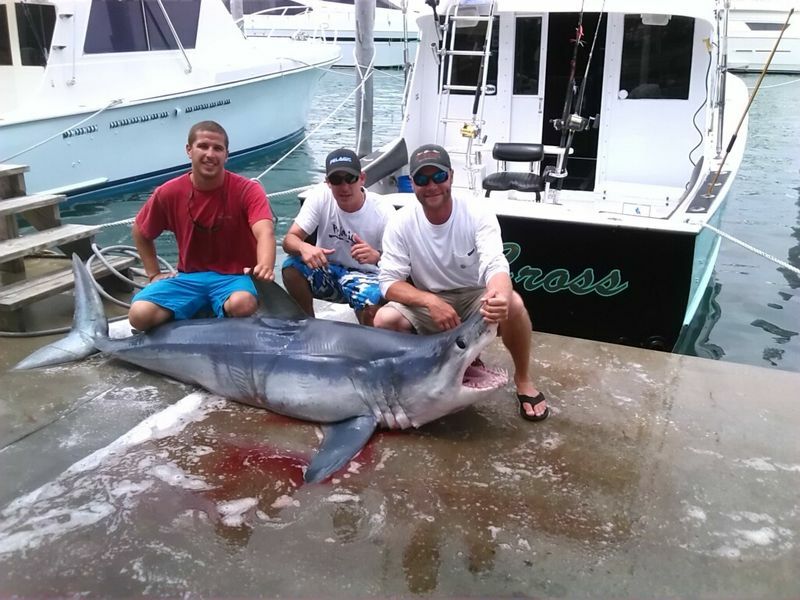 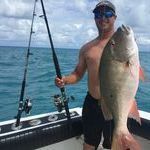 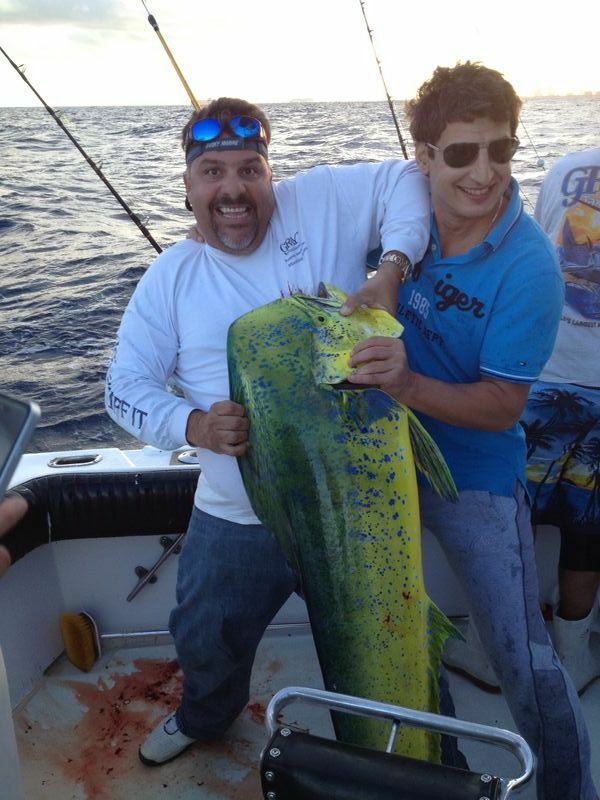 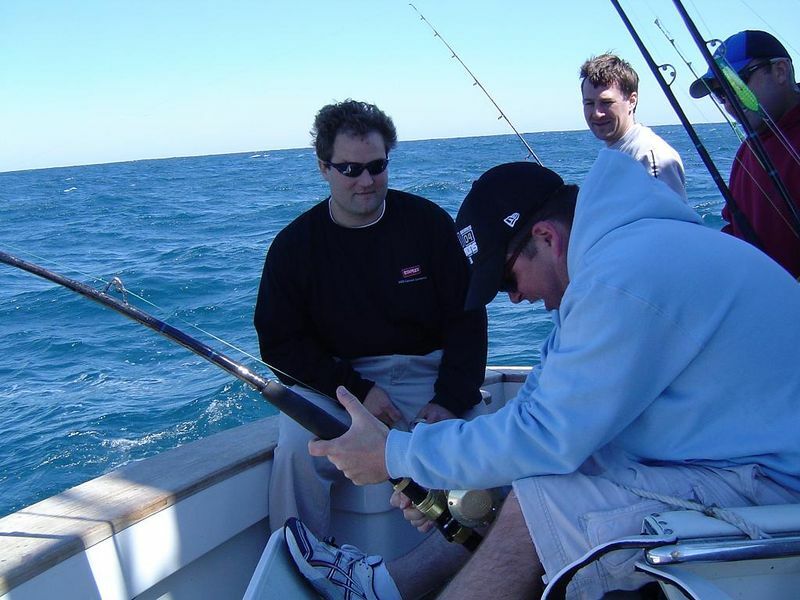 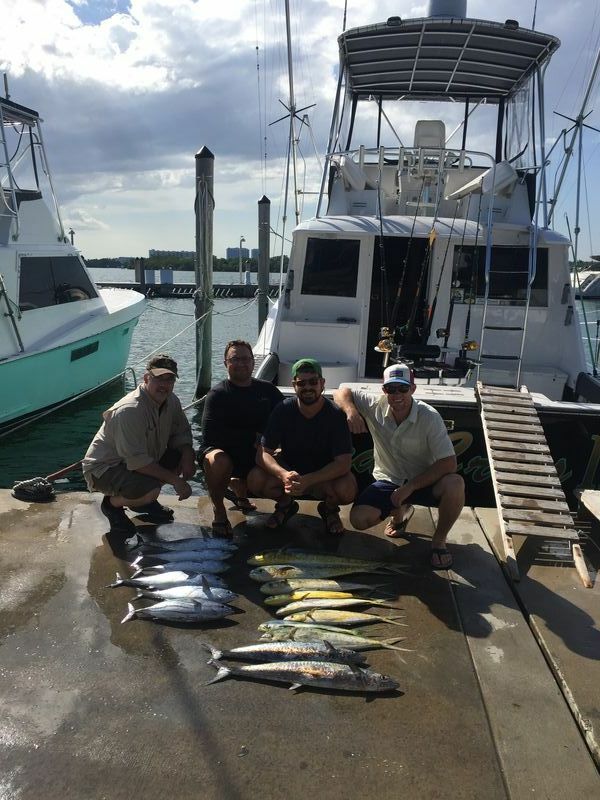 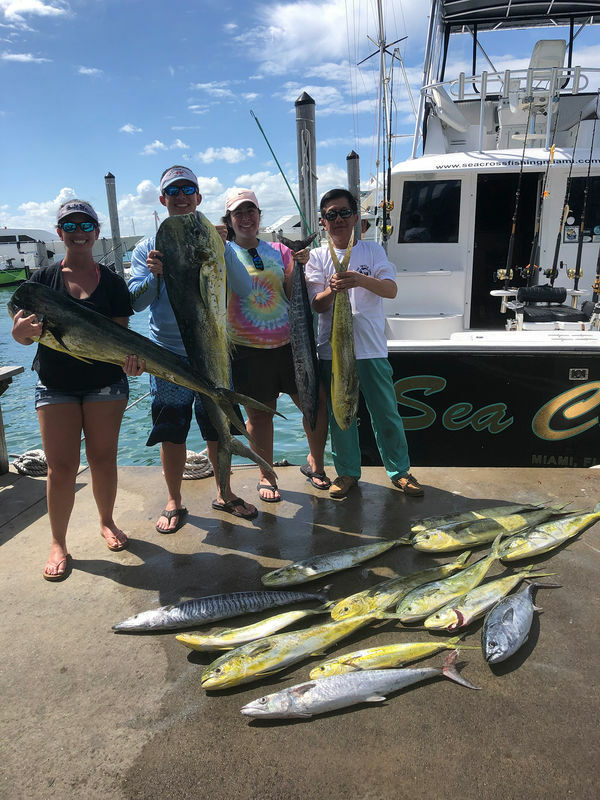 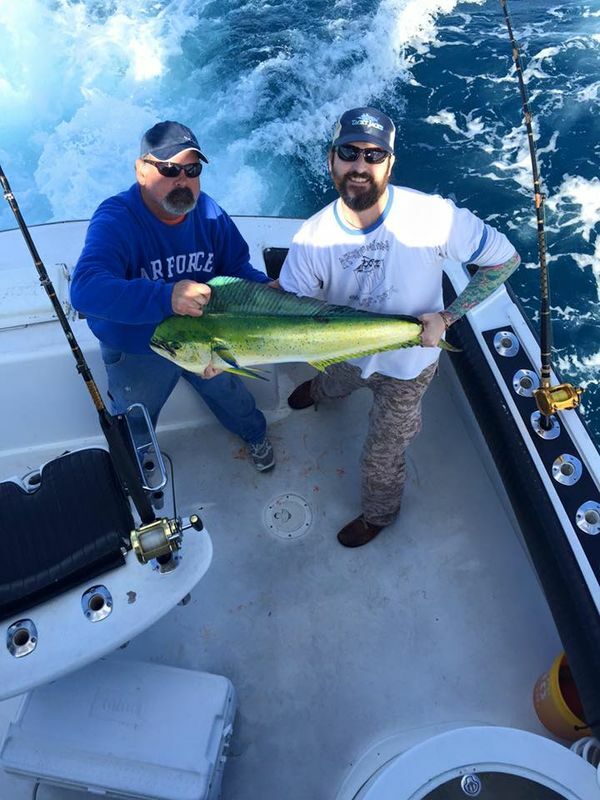 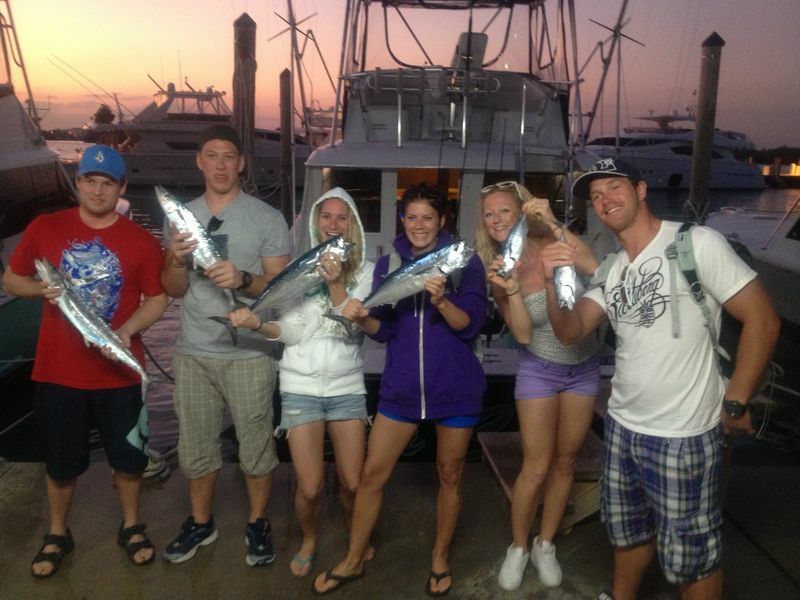 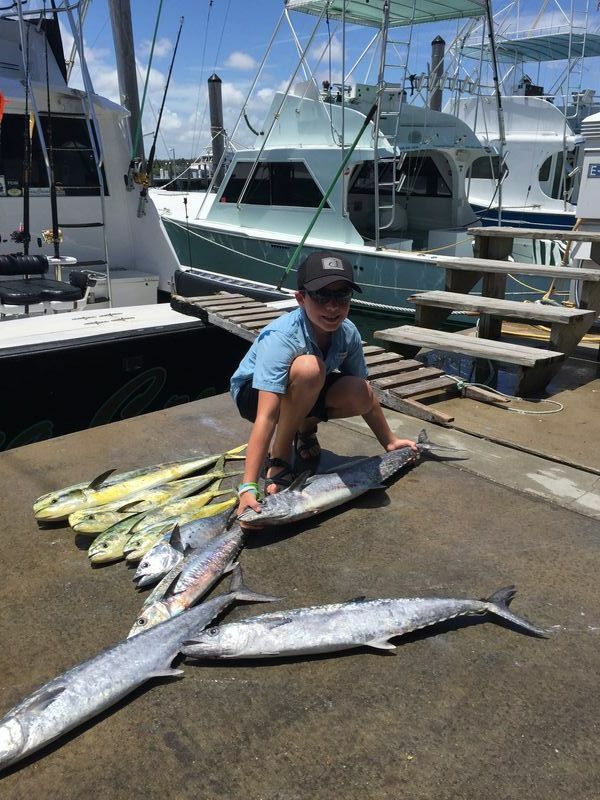 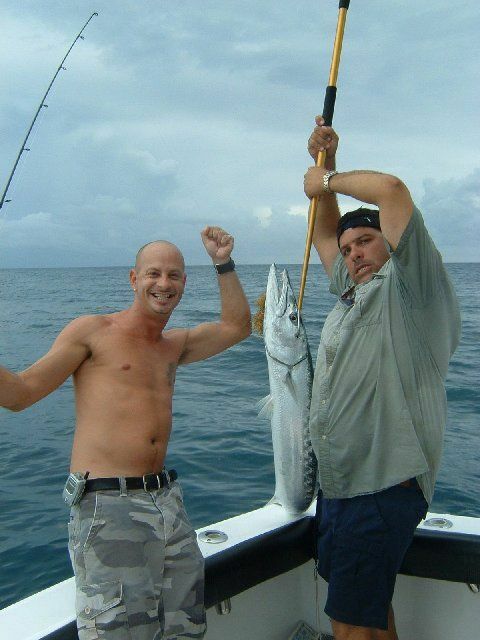 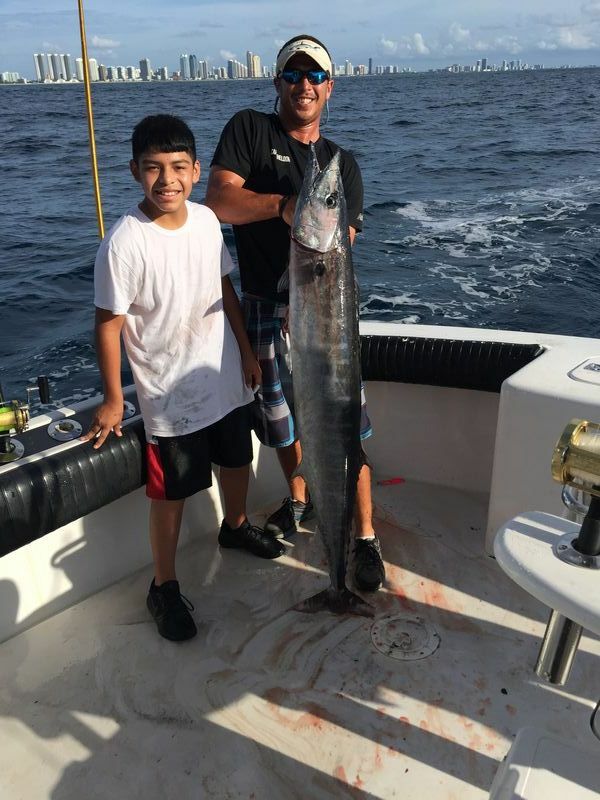 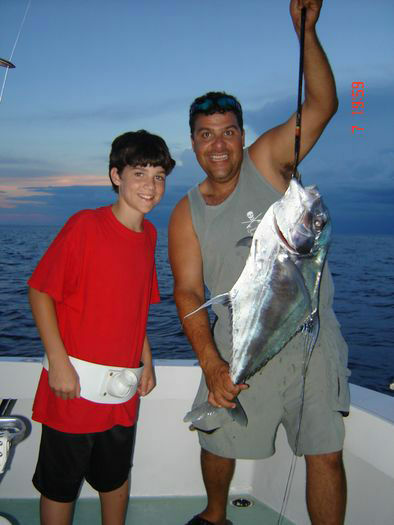 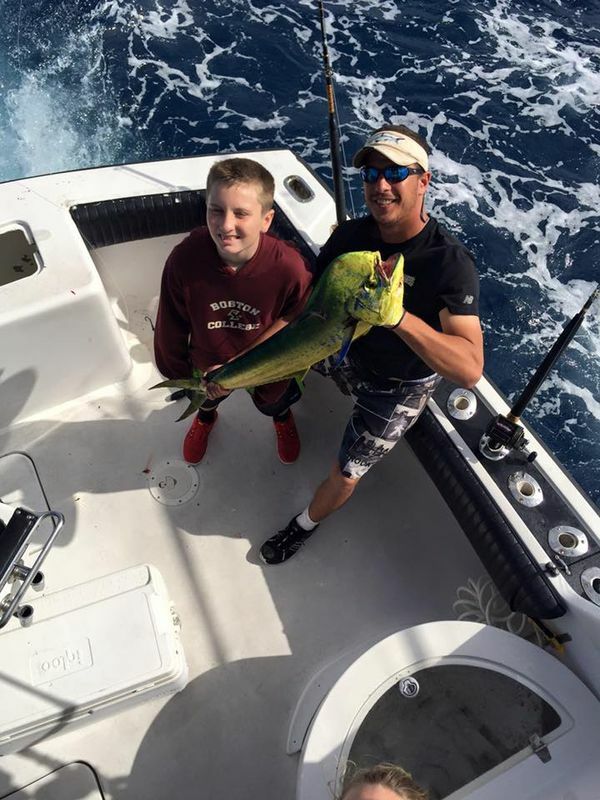 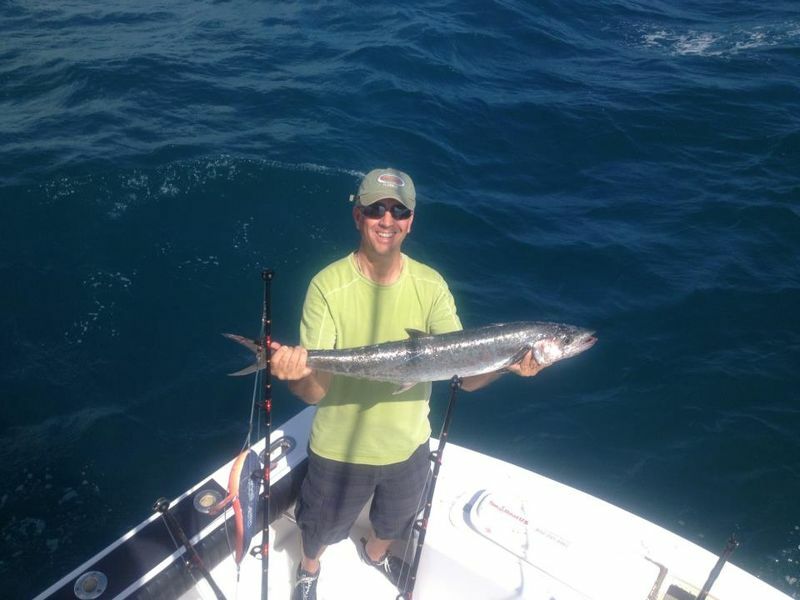 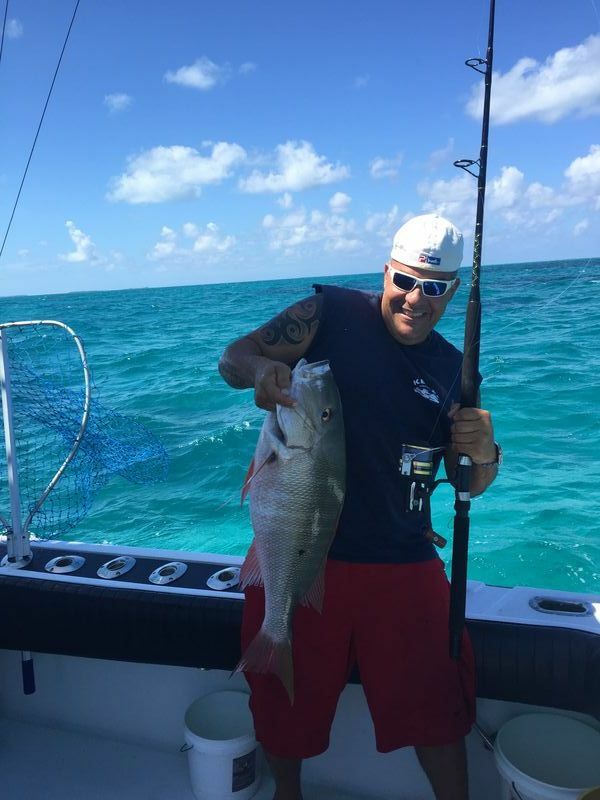 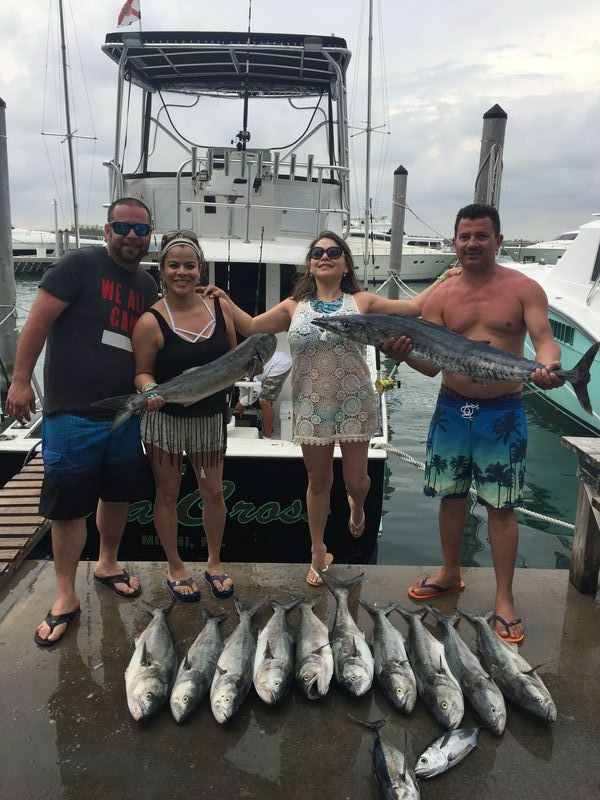 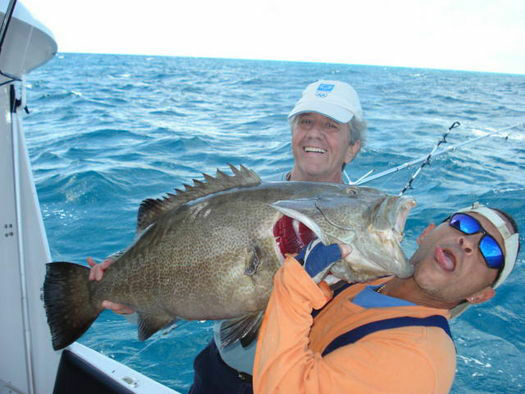 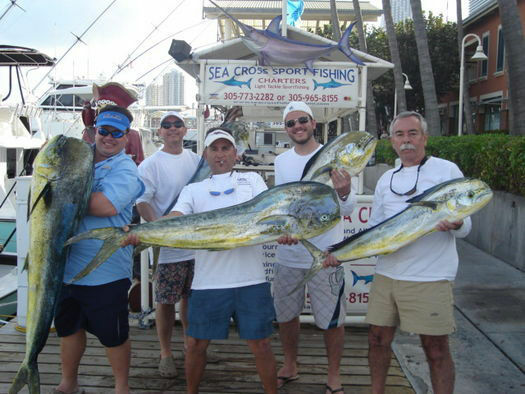 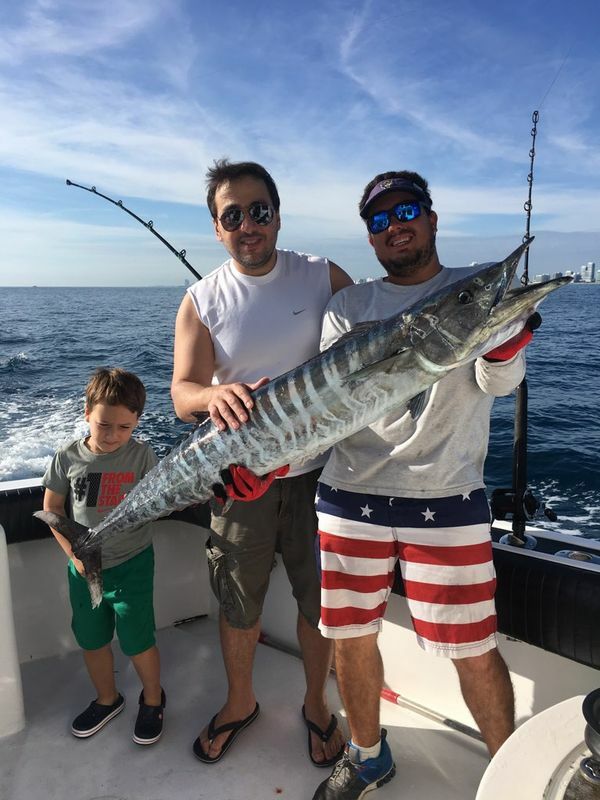 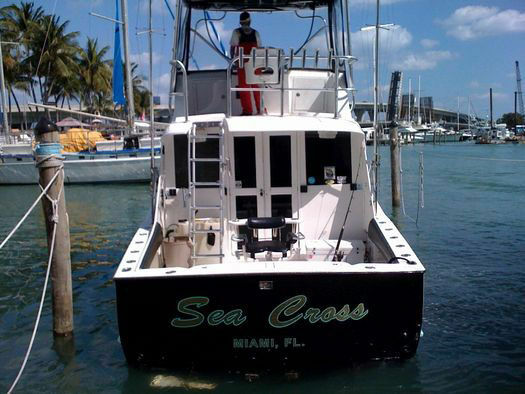 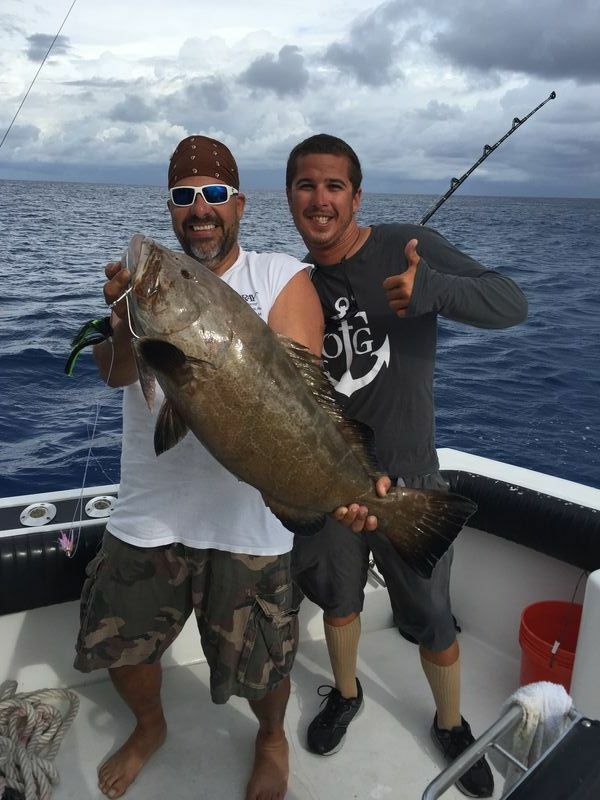 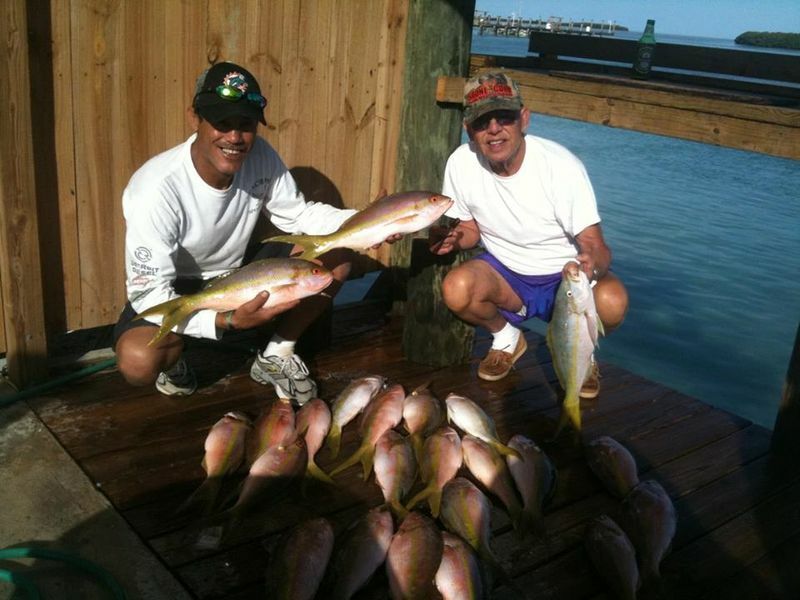 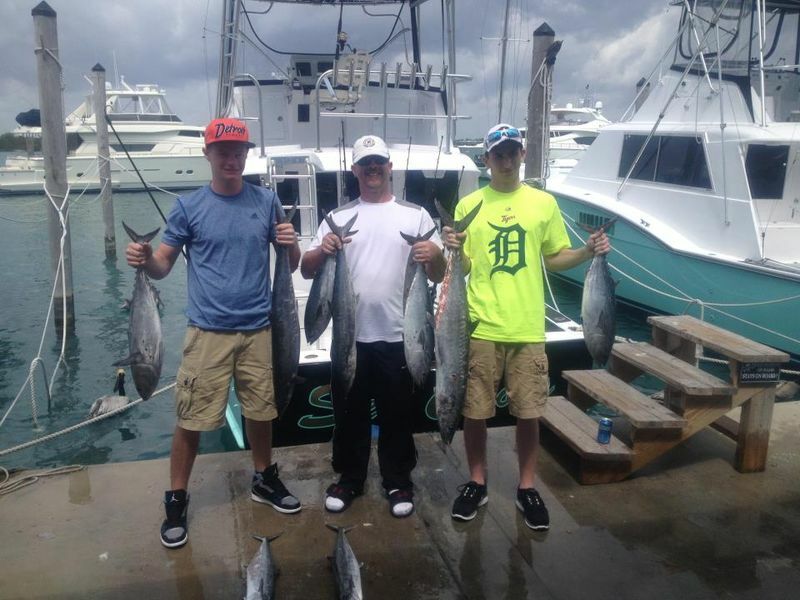 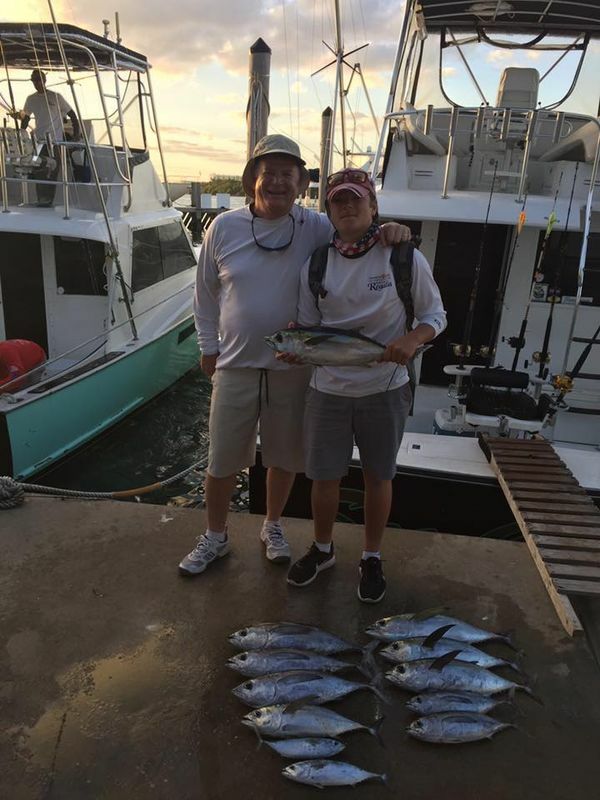 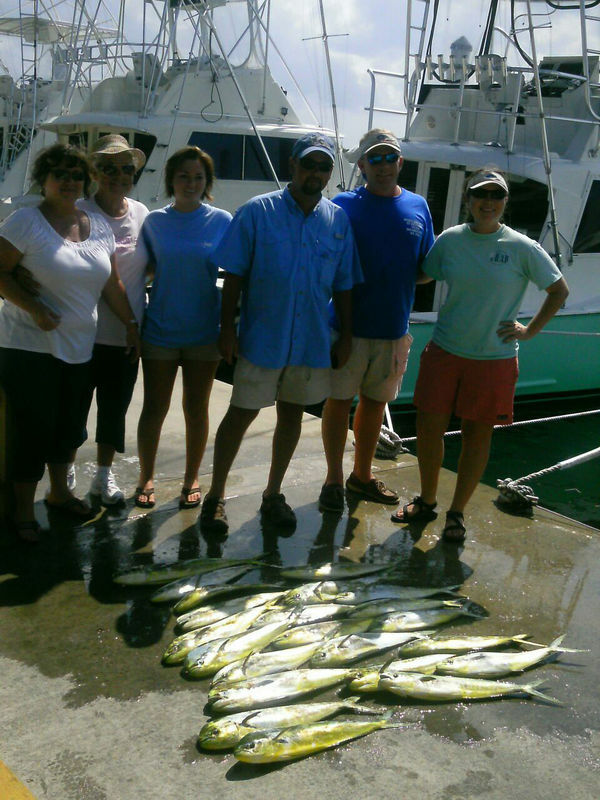 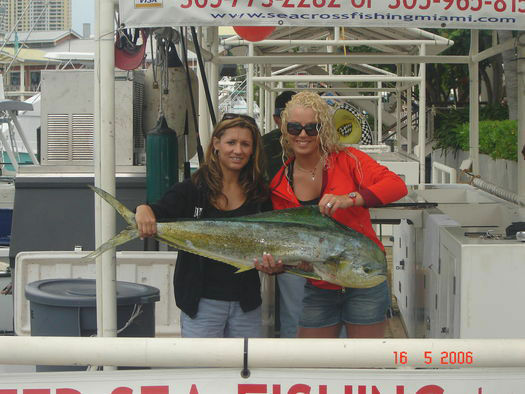 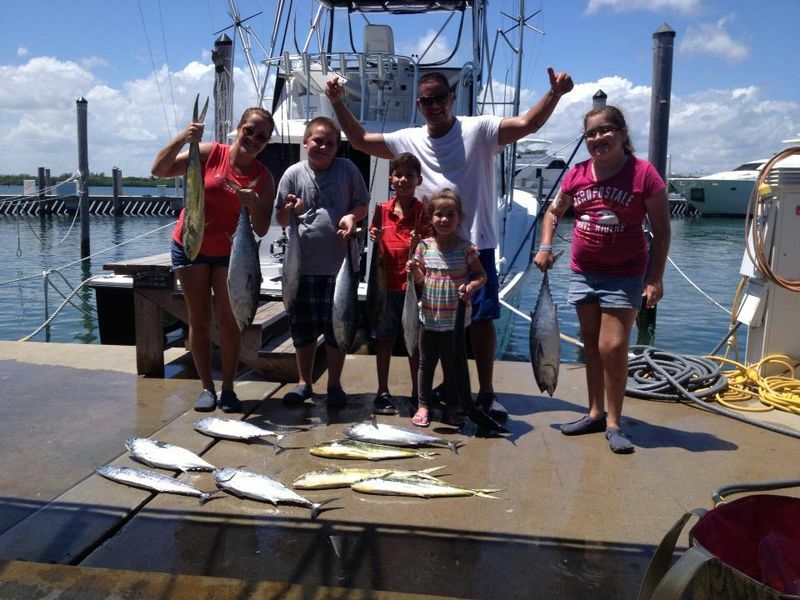 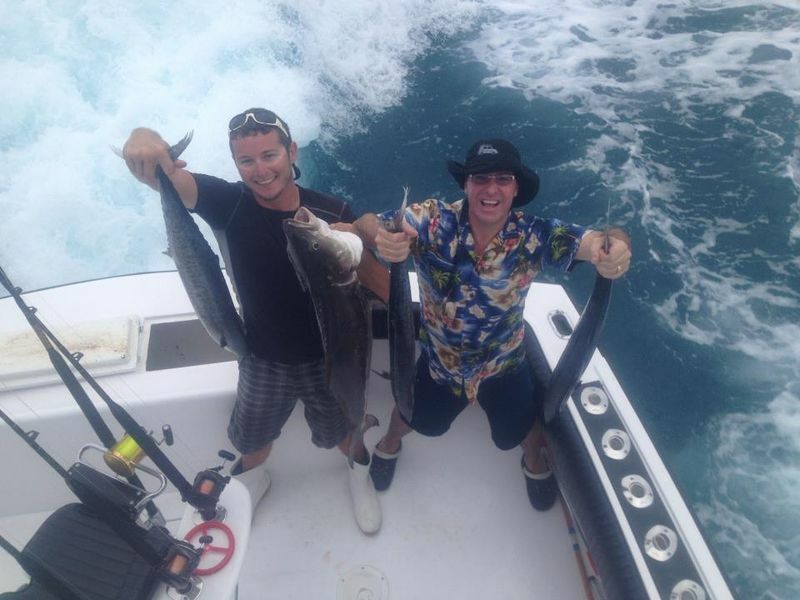 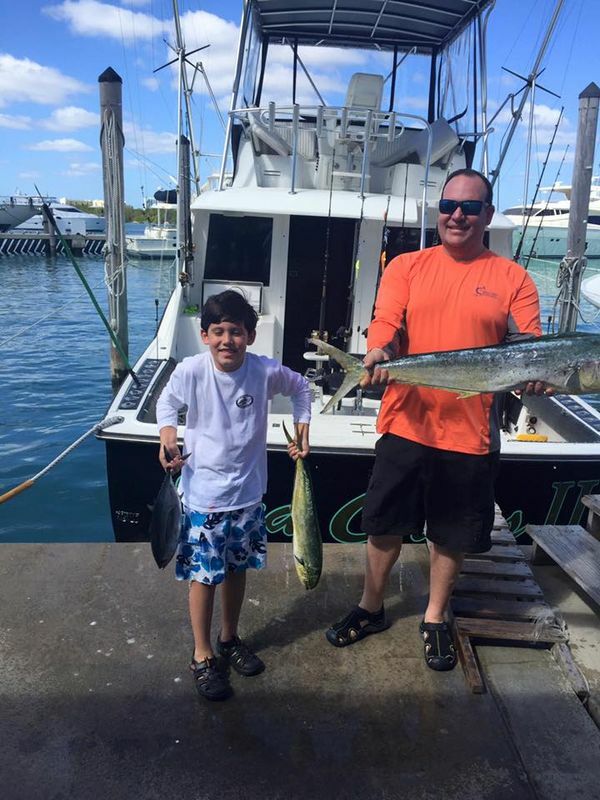 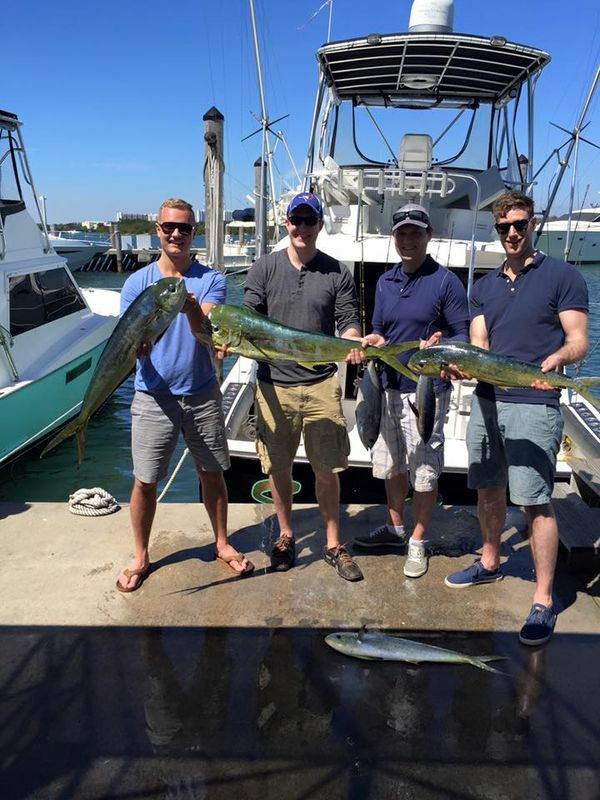 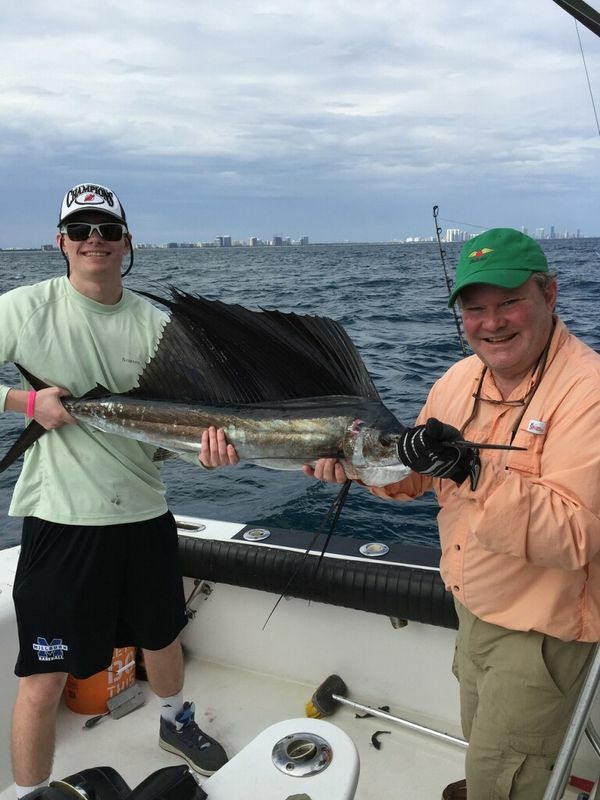 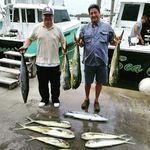 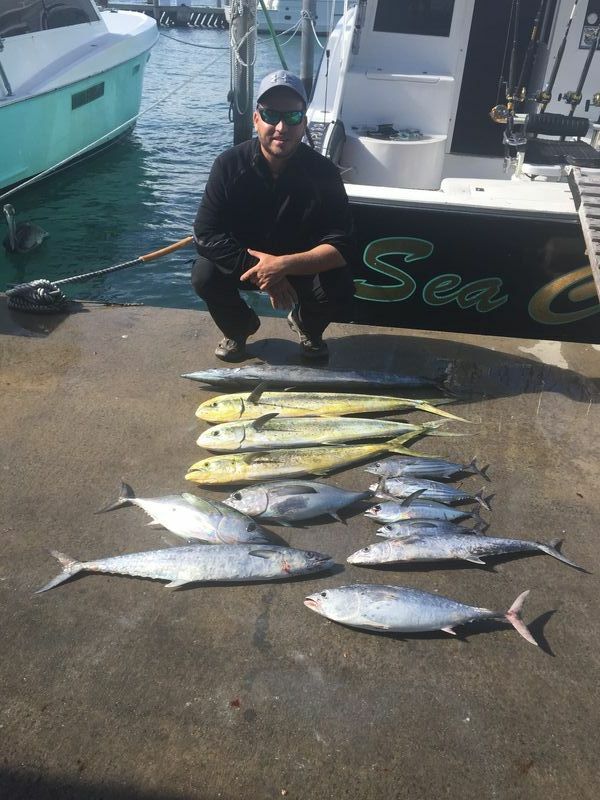 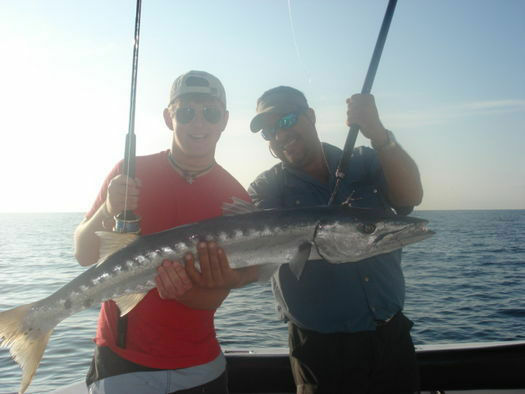 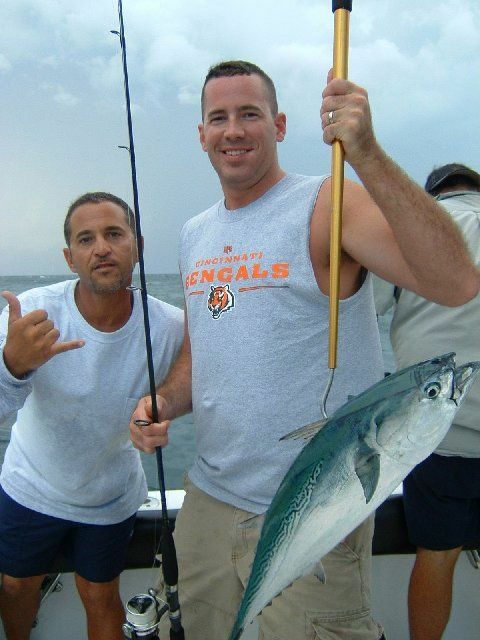 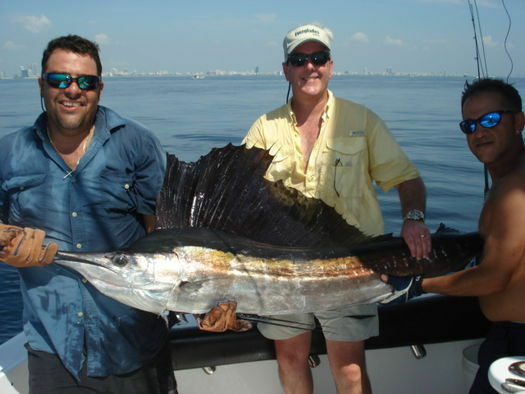 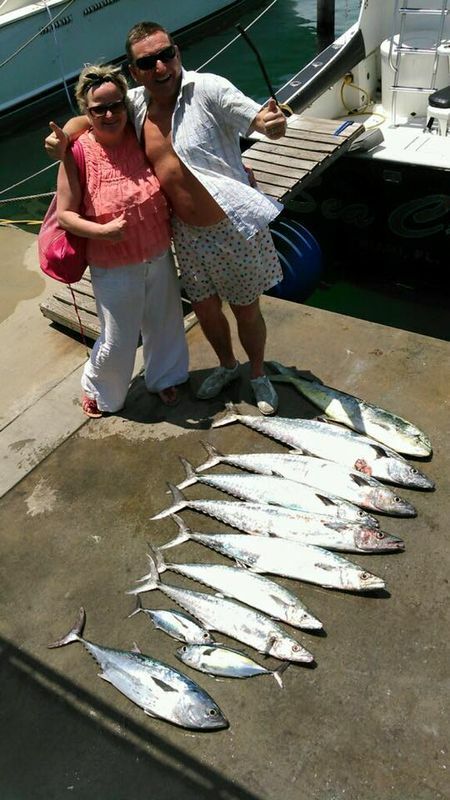 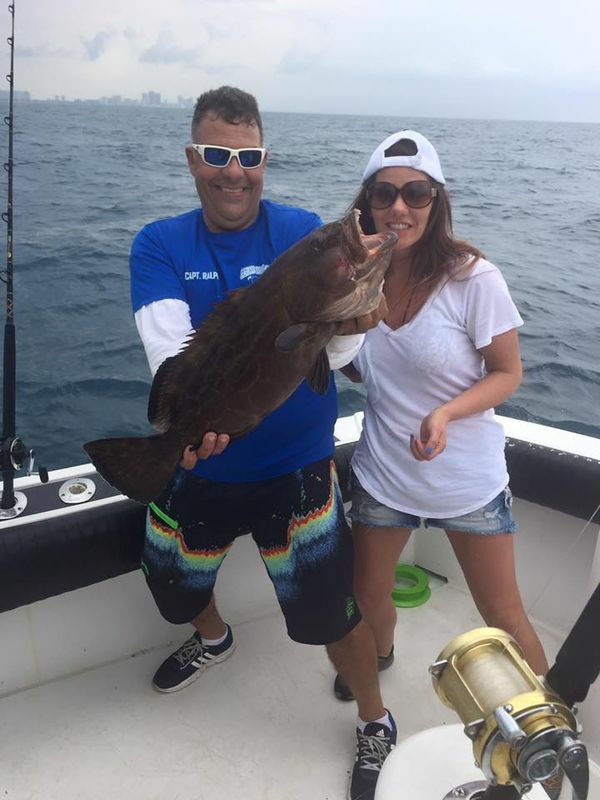 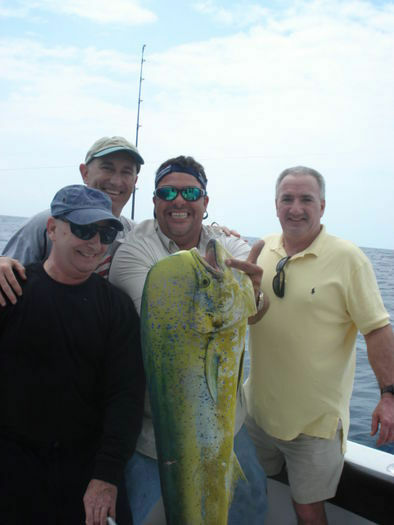 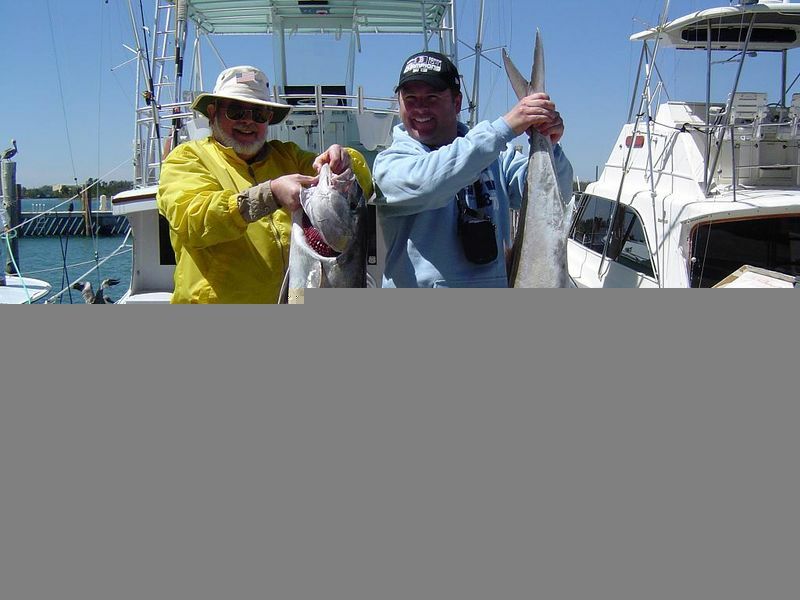 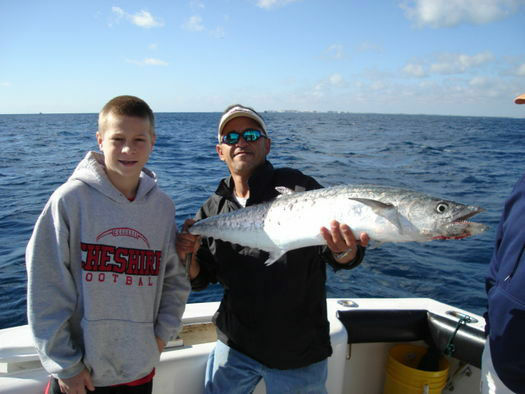 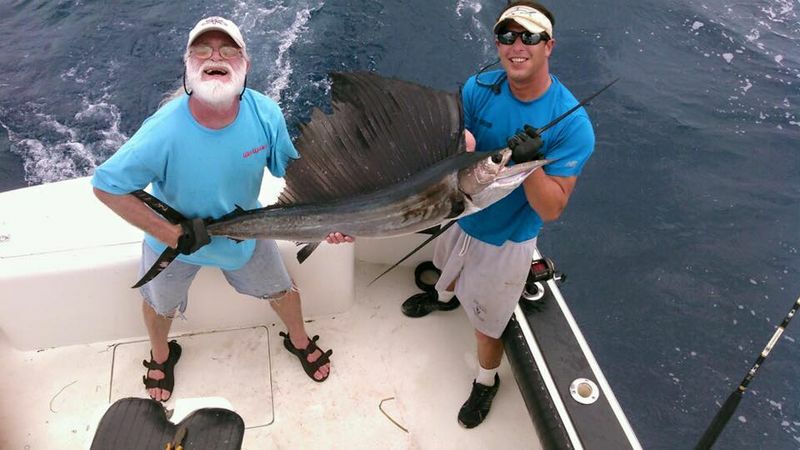 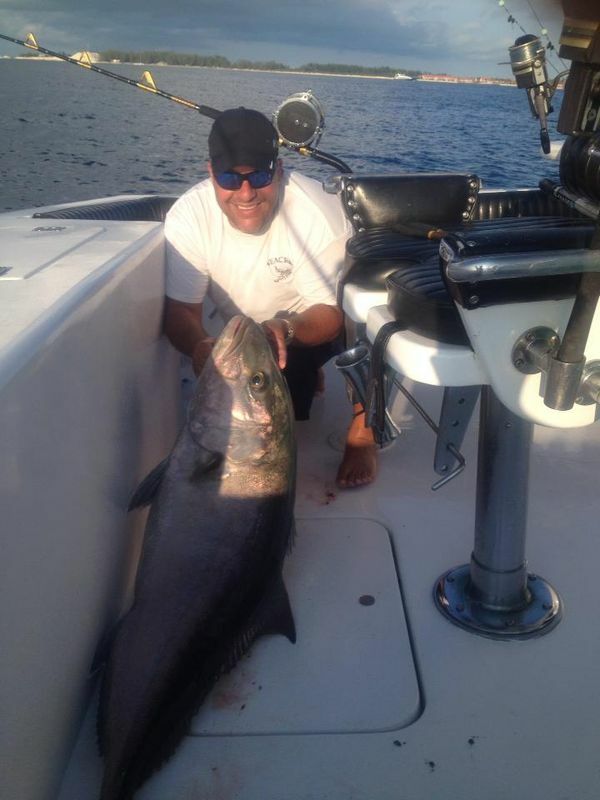 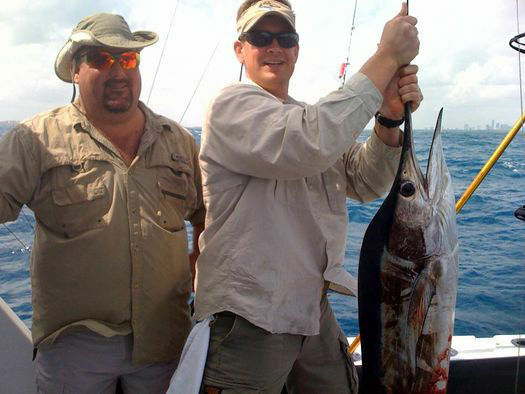 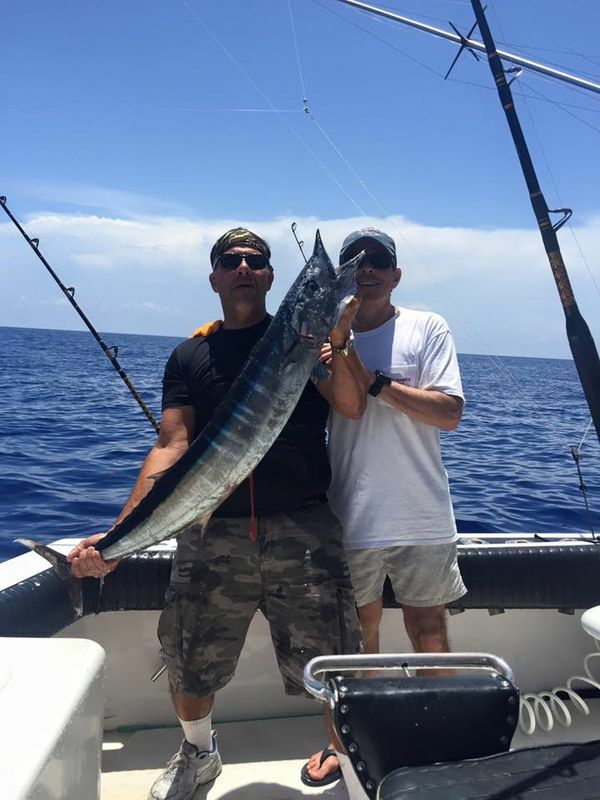 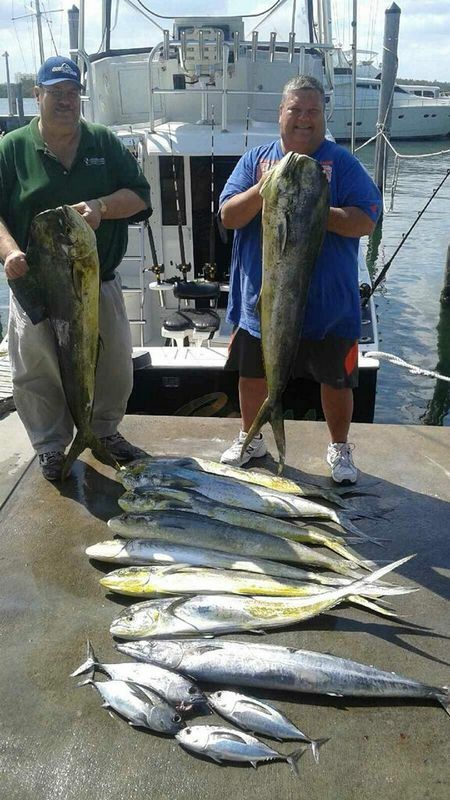 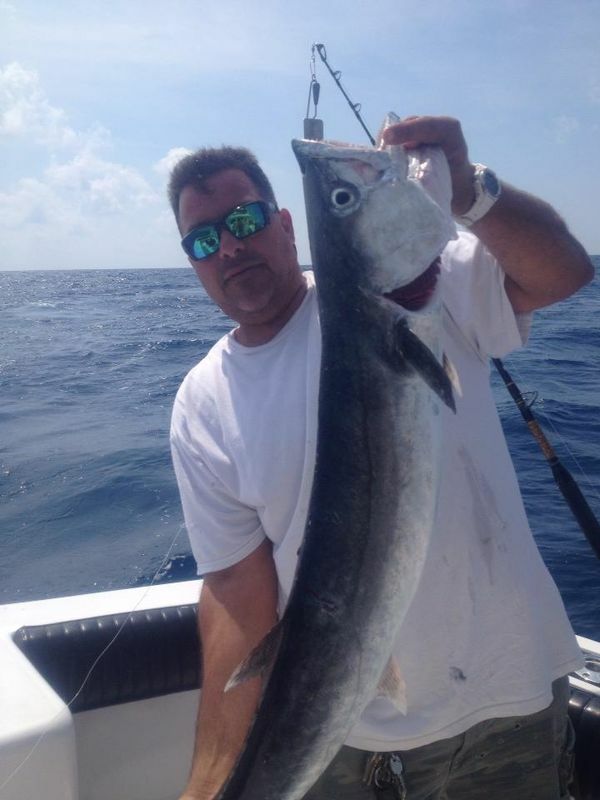 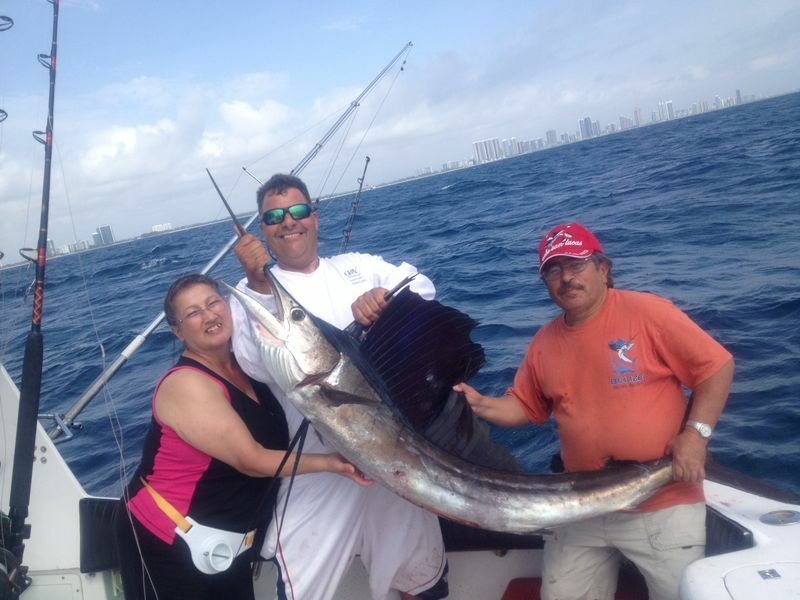 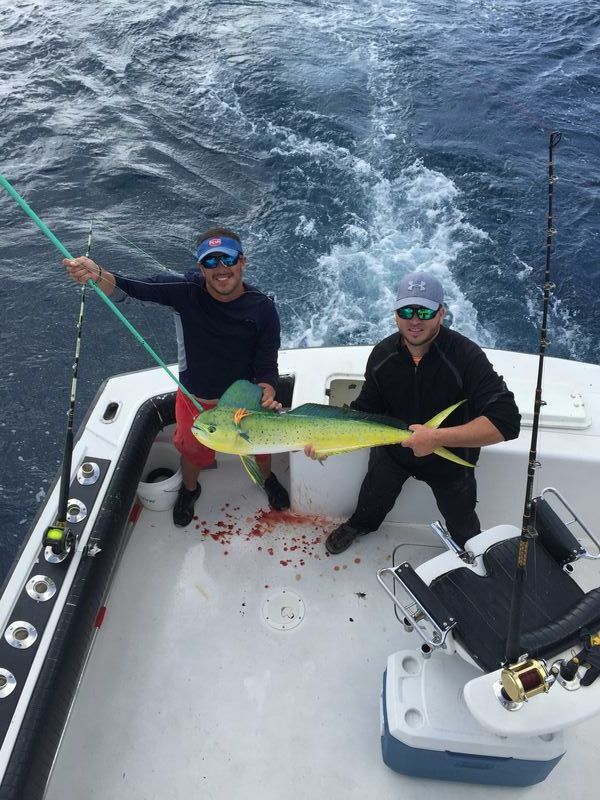 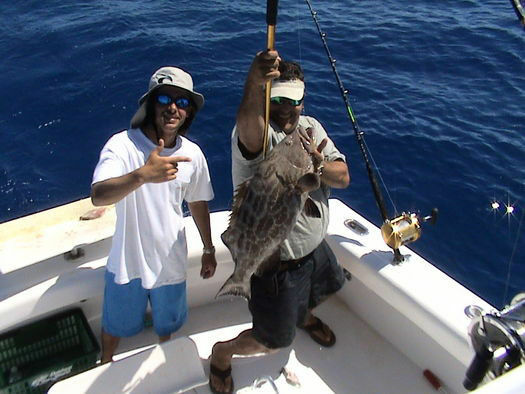 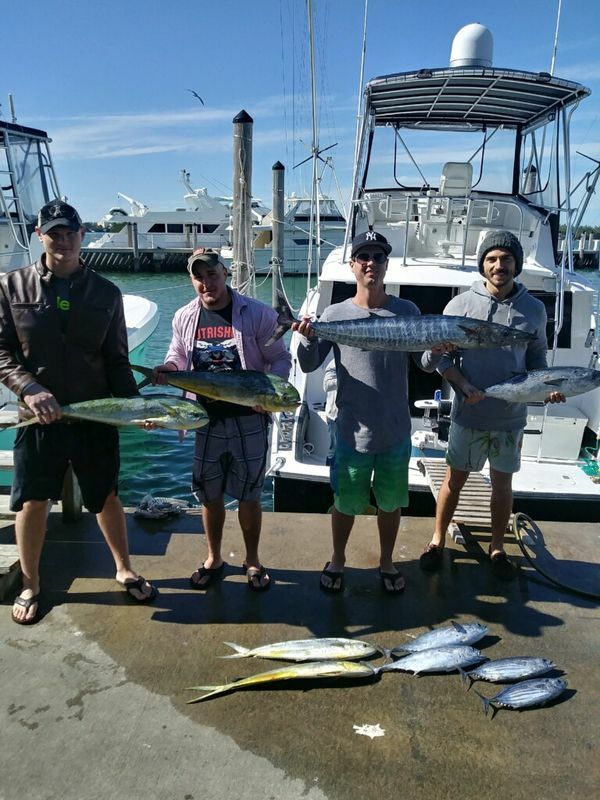 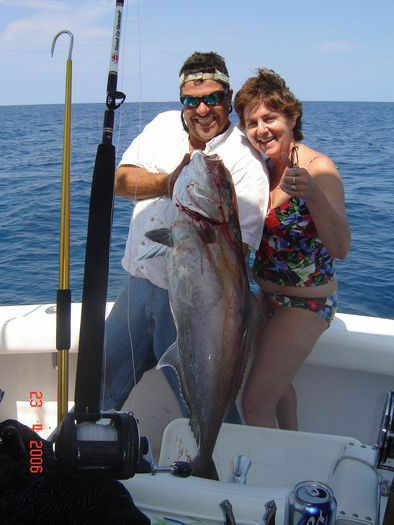 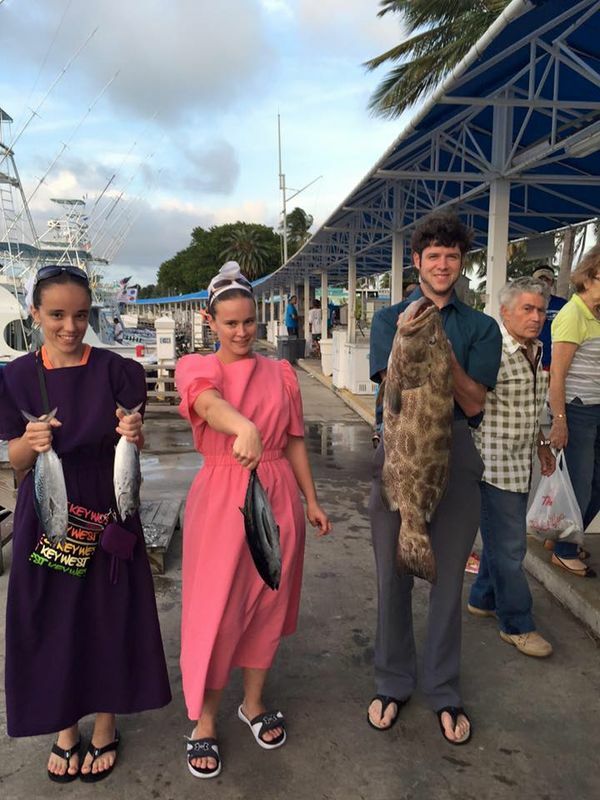 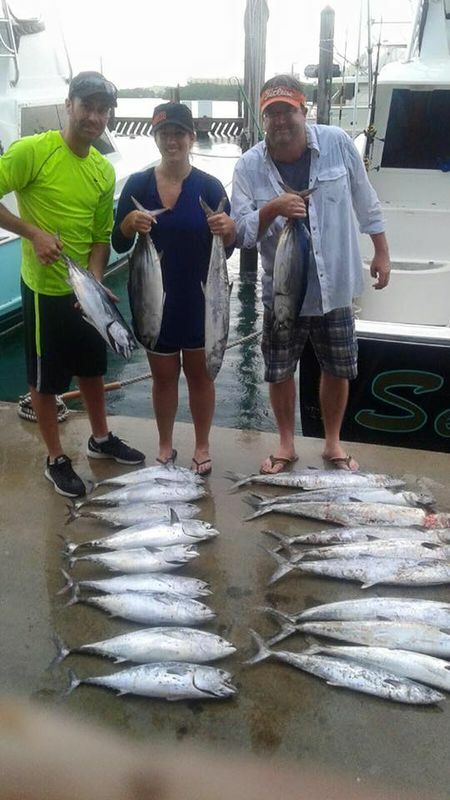 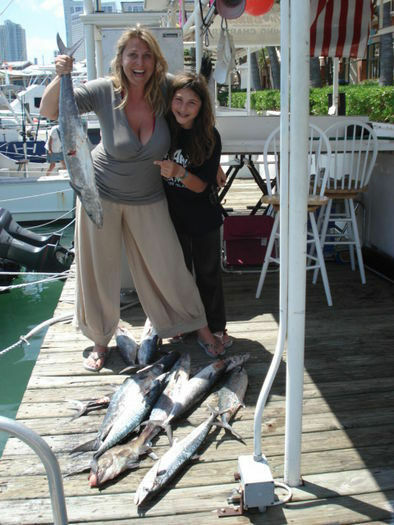 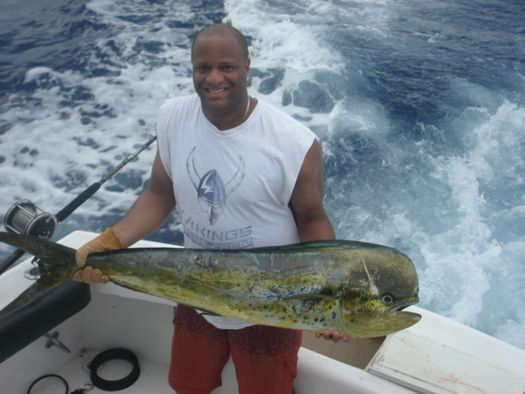 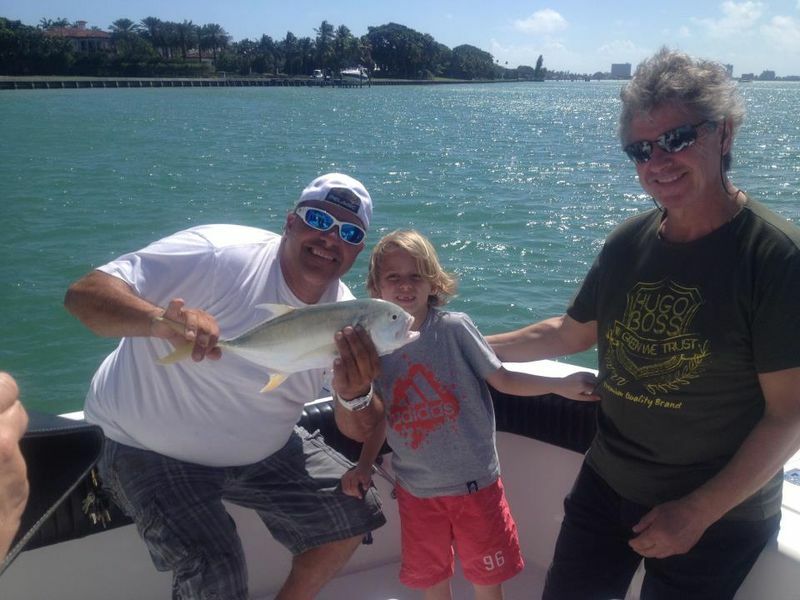 Climb aboard the Sea Cross for the best deep sea fishing charter boats in Miami! 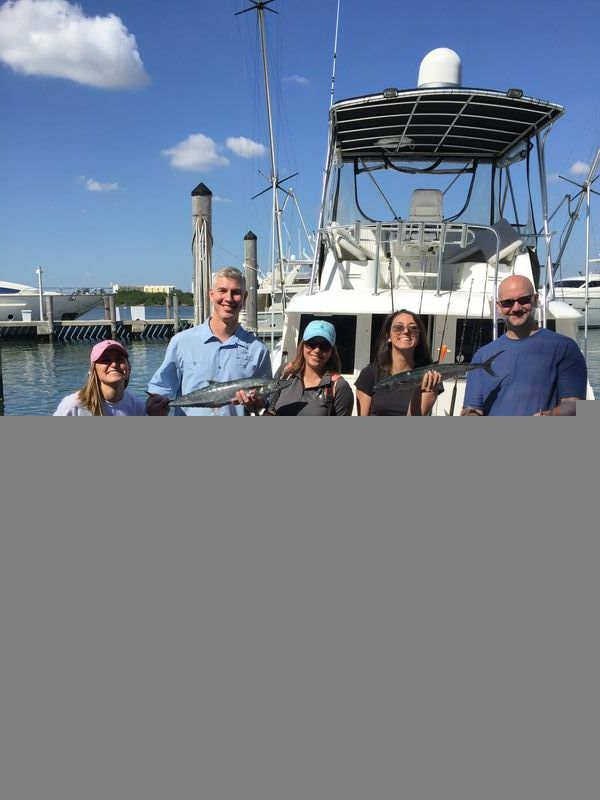 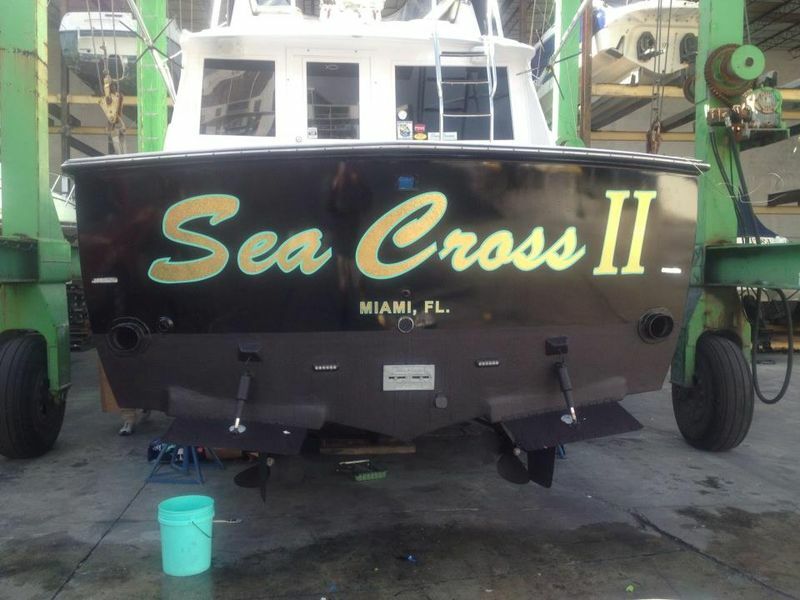 With Sea Cross and Sea Cross II a pair of new air conditioned Custom Rigged Hatteras Sportfishing Yachts conveniently located in center of the Miami, Miami Beach & Ft. Lauderdale Metropolitan area. 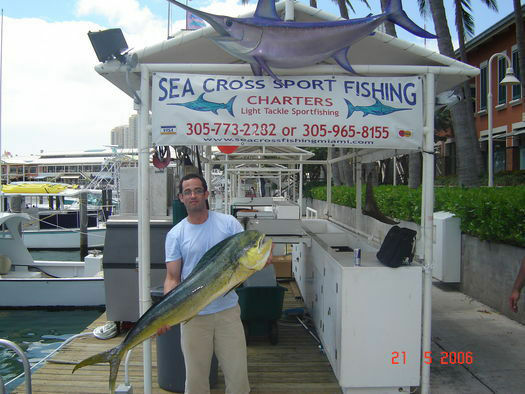 We have two charter boats available for hire. 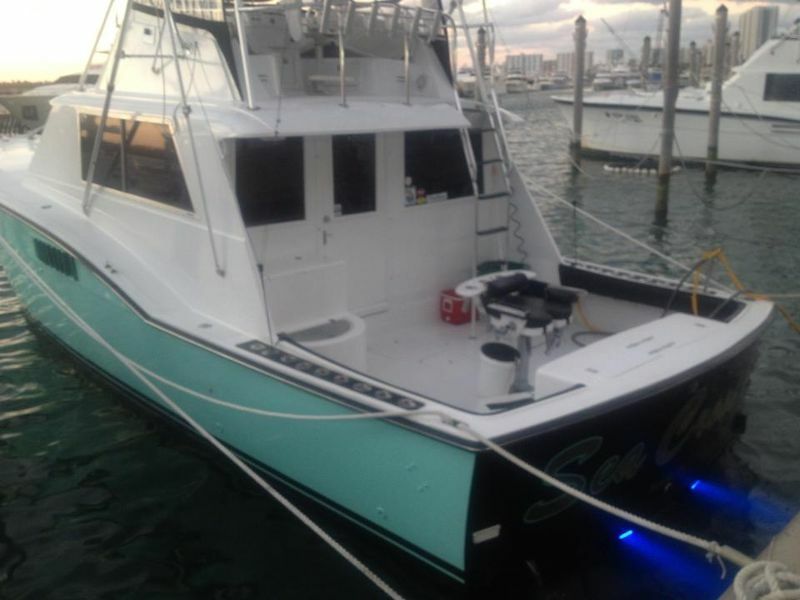 The Seacross, a fully loaded and customized 36' Hatteras Sportfishing Yacht and the Seacross II, 45' Hatteras Sportfishing Yacht. 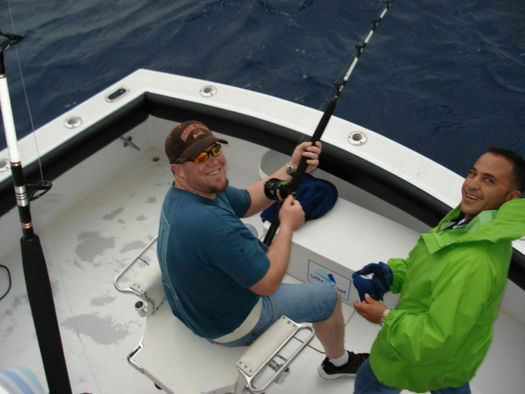 Both boat are air-conditioned and fully loaded with top-of-the-line electronics, tackle and safety gear. 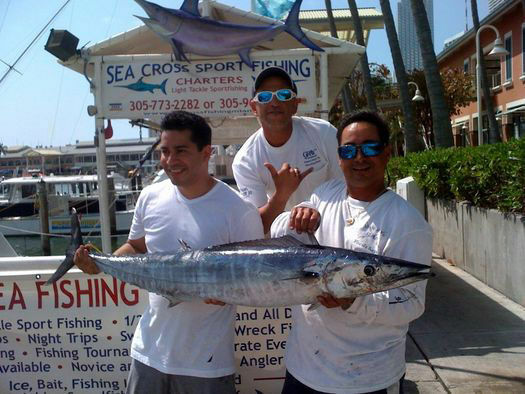 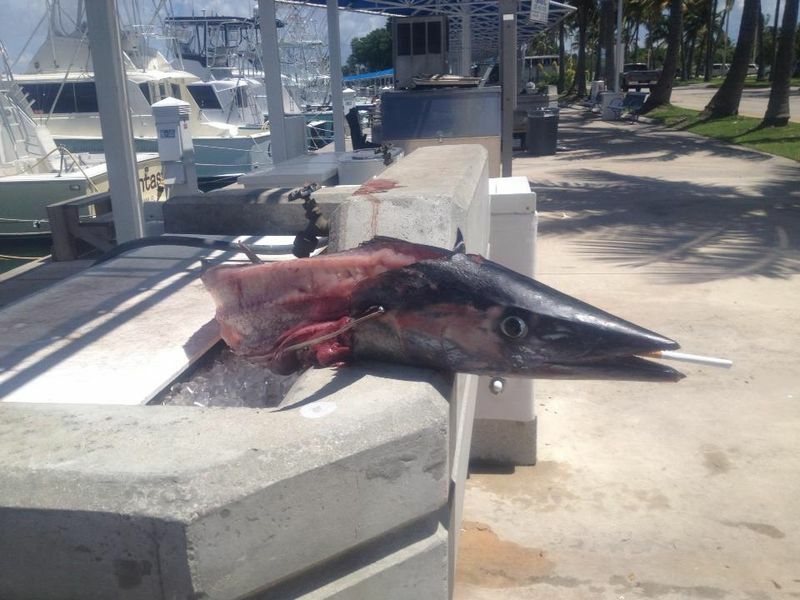 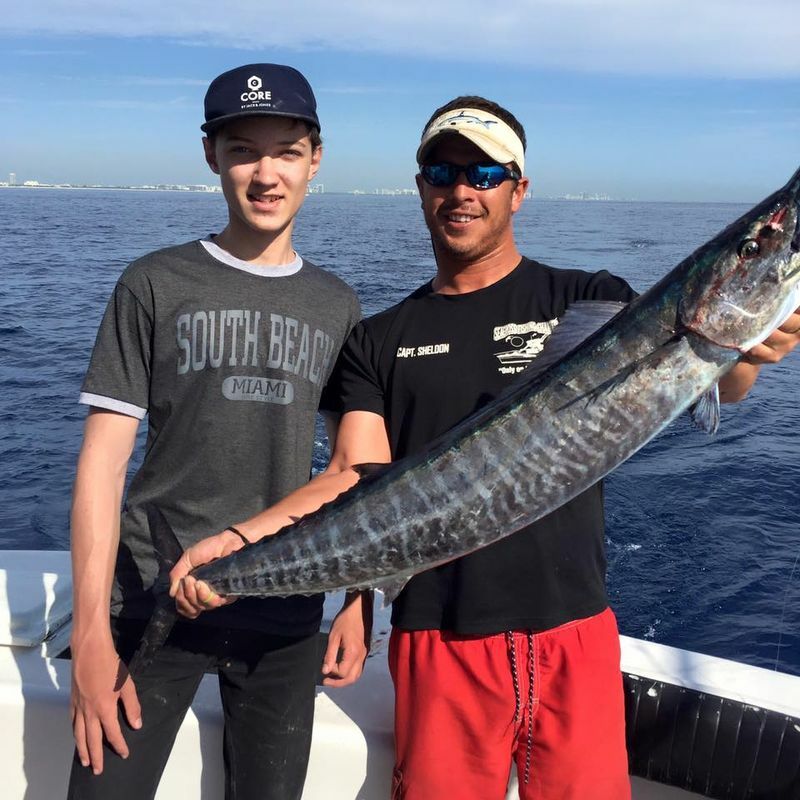 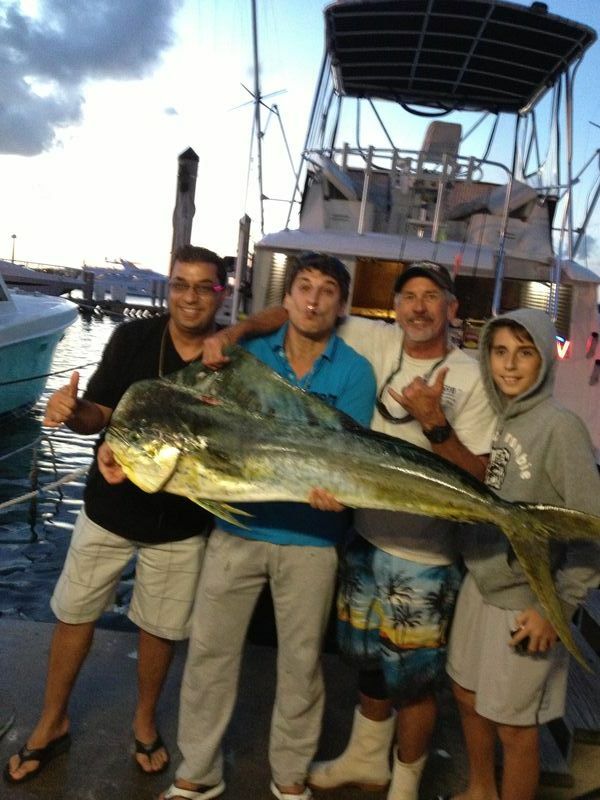 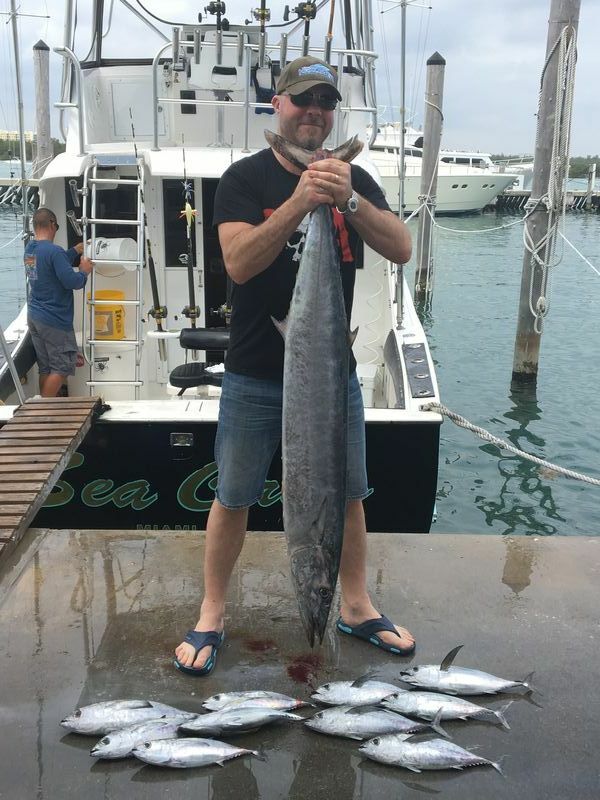 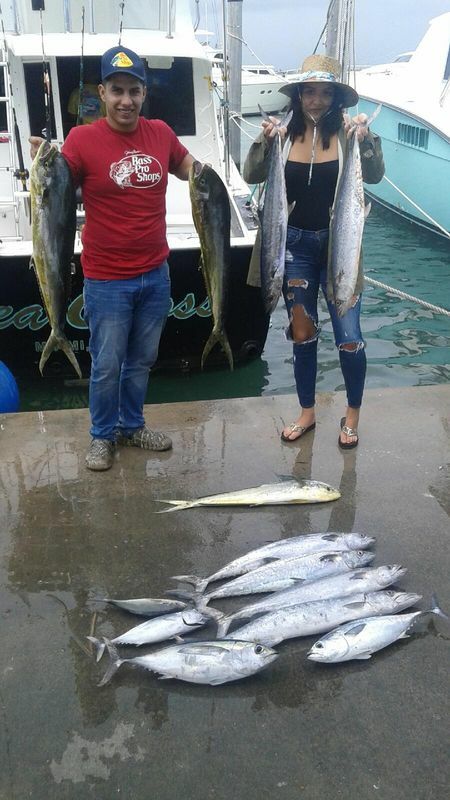 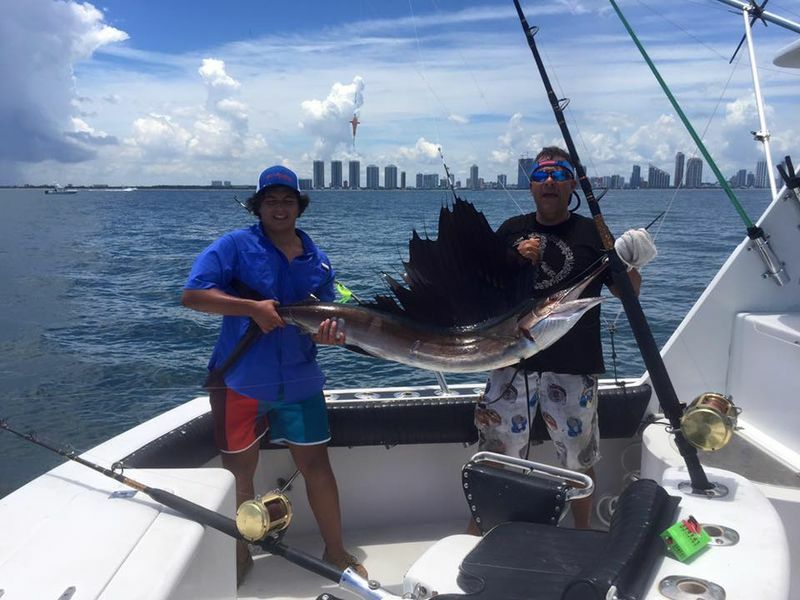 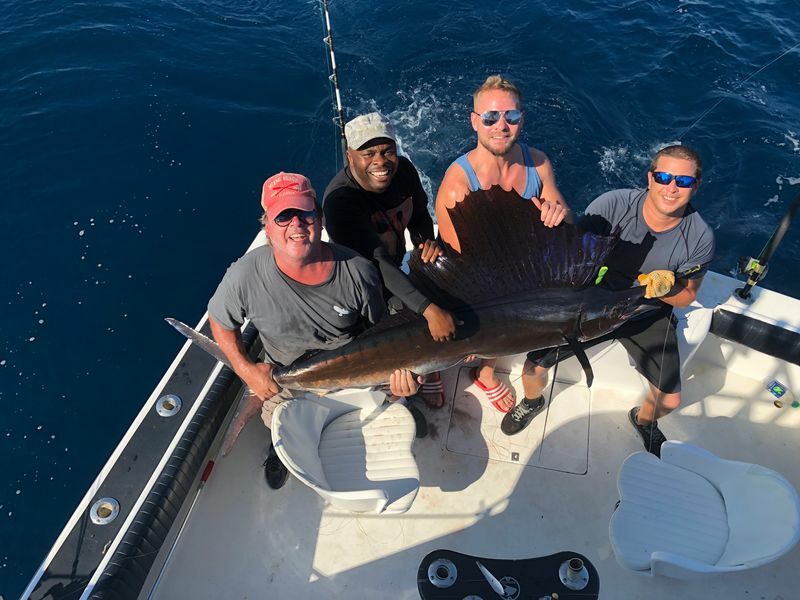 Charter fishing boat Sea Cross, out of storied Haulover Marina on Miami Beach, made a catch of a lifetime this past week. 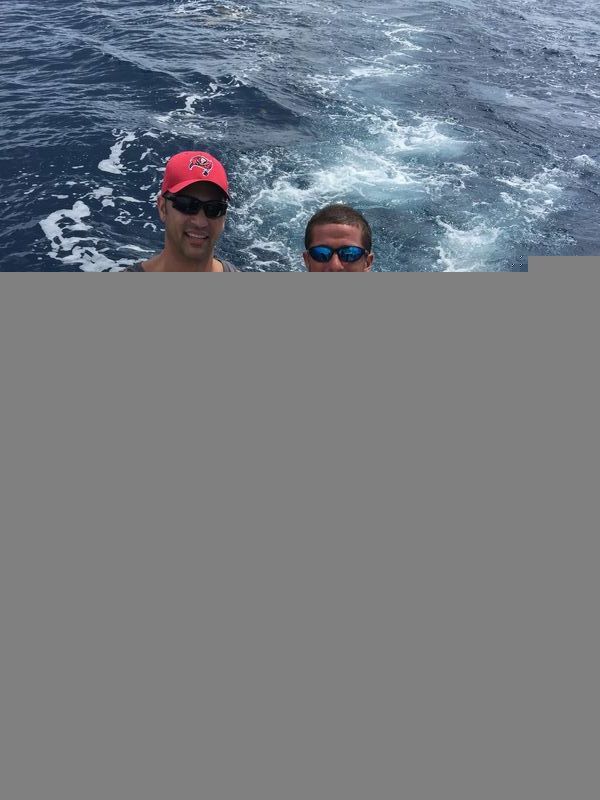 The crew aboard Sea Cross was fishing just one mile offshore, when a enormous yellowfin tuna surfaced to a take a ballyhoo on the left-long outrigger. 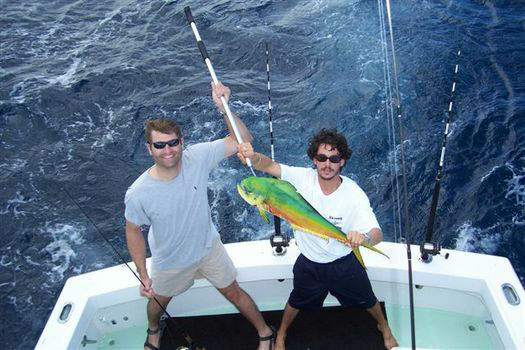 Captain Ralph didn't know it at the time, but the enormous fish would take nearly four hours to land. 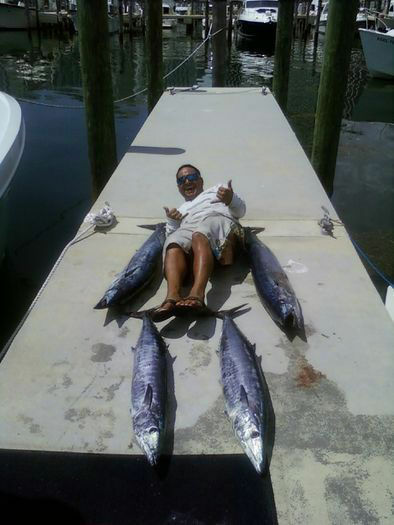 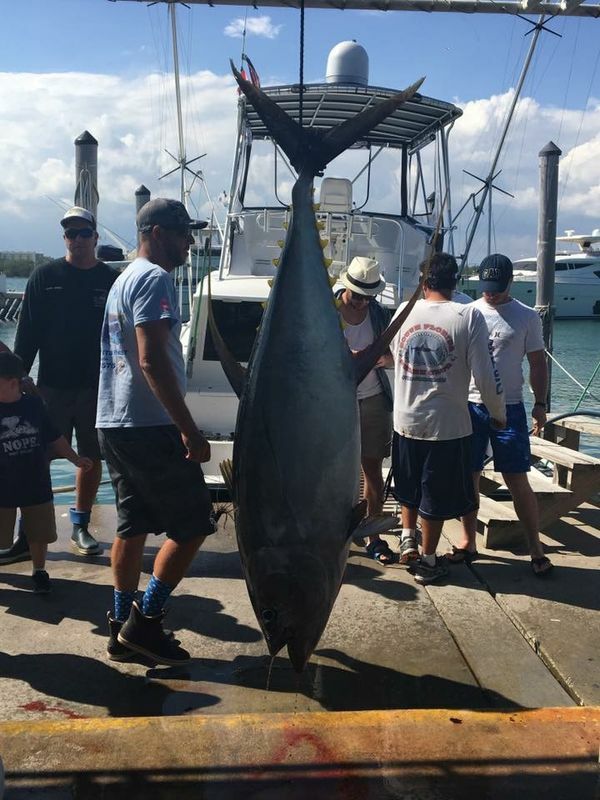 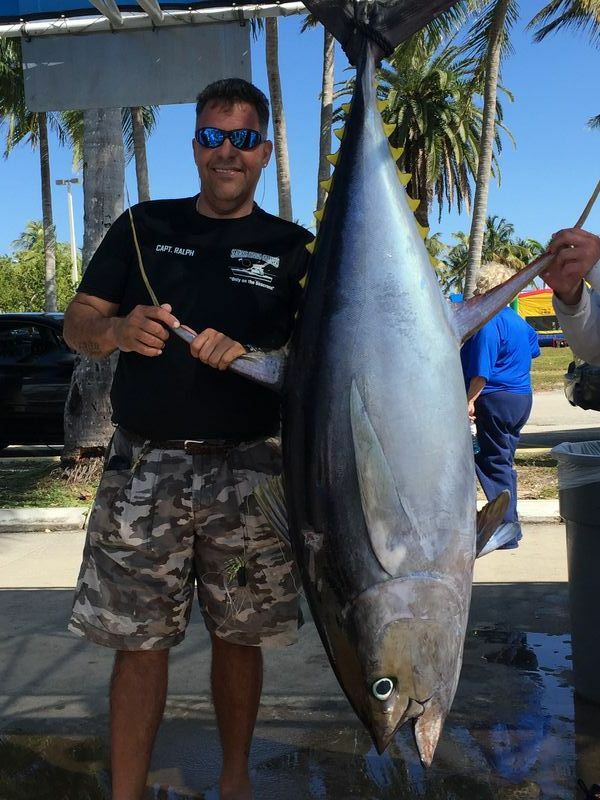 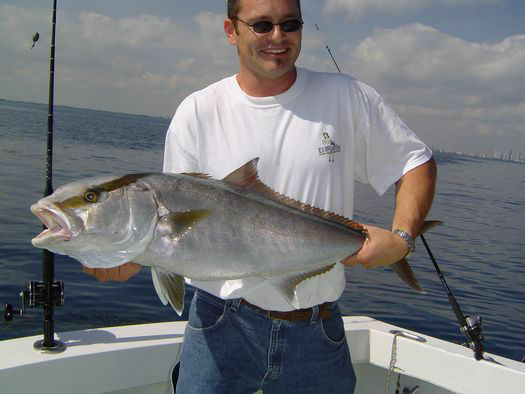 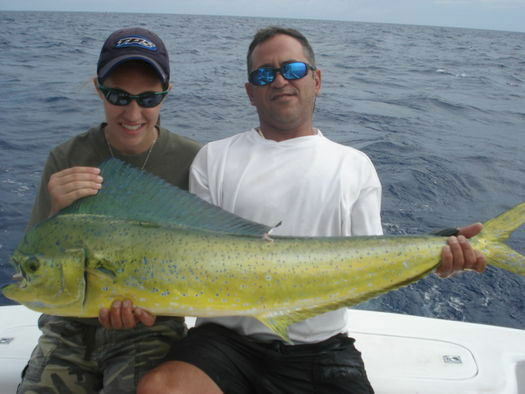 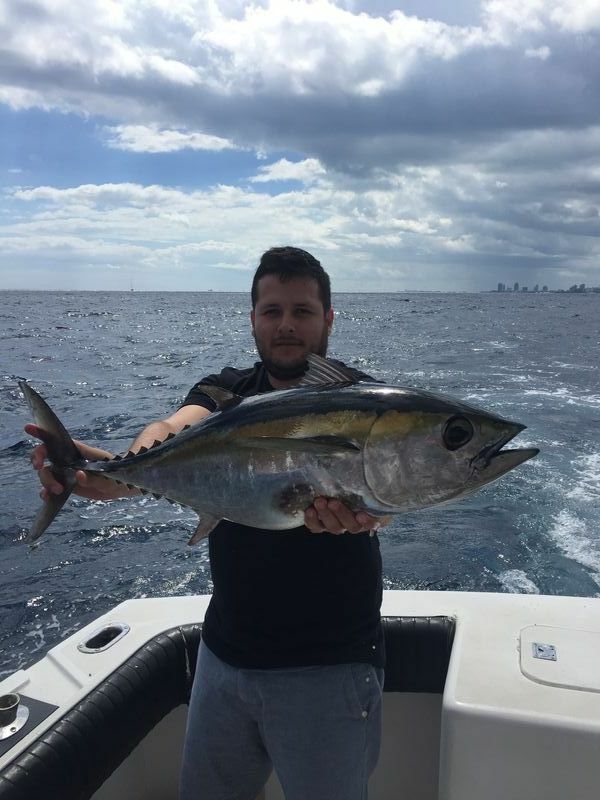 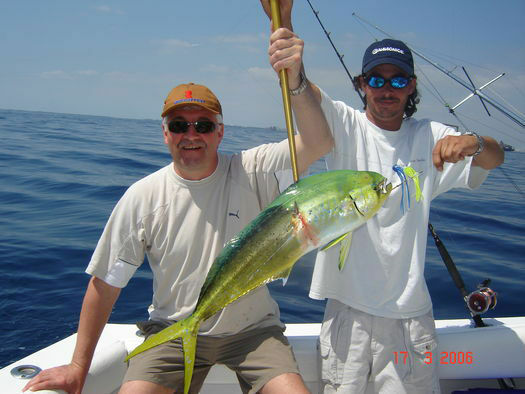 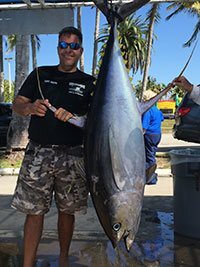 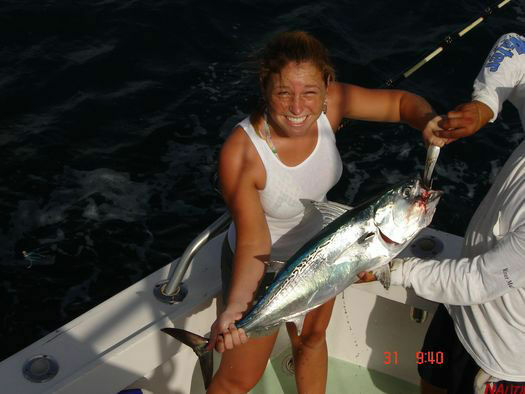 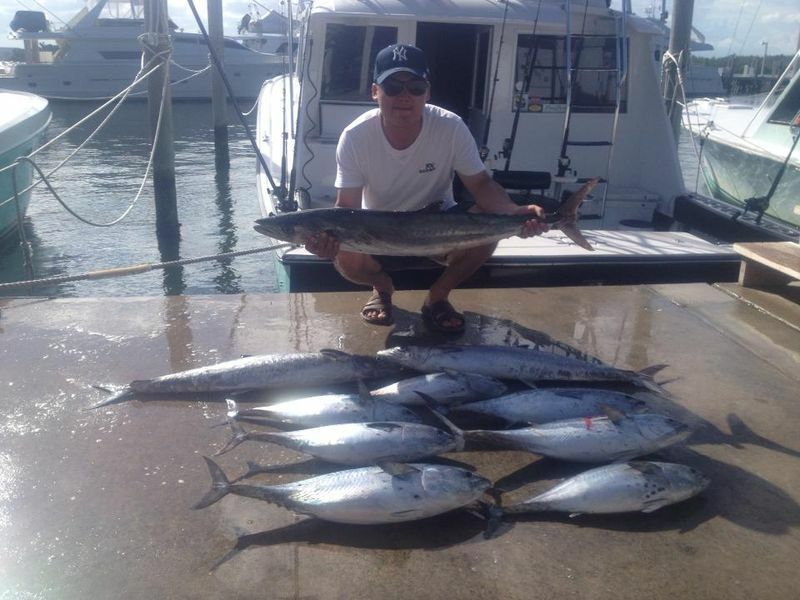 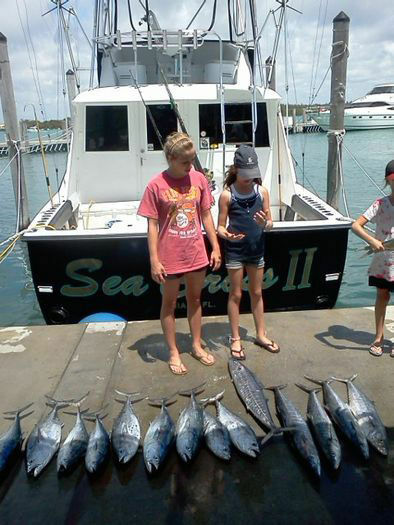 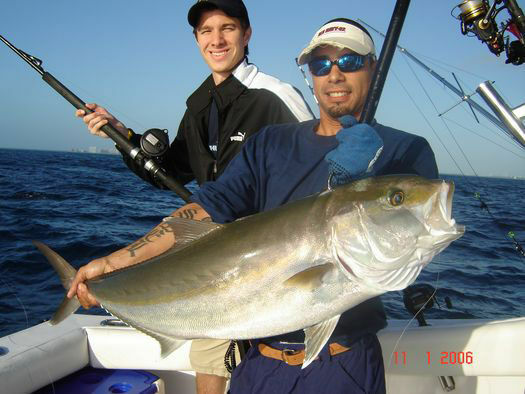 Yellowfin tuna are a not so common species found in south Florida waters, but catches do occur on a regular basis. 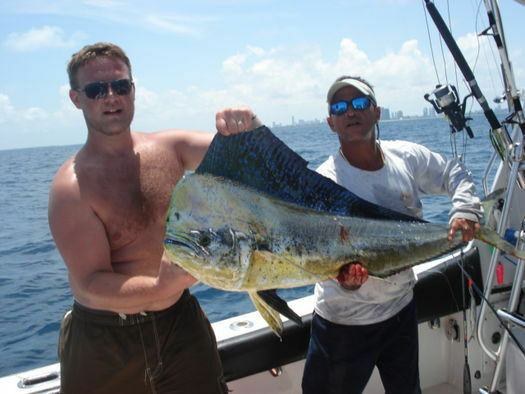 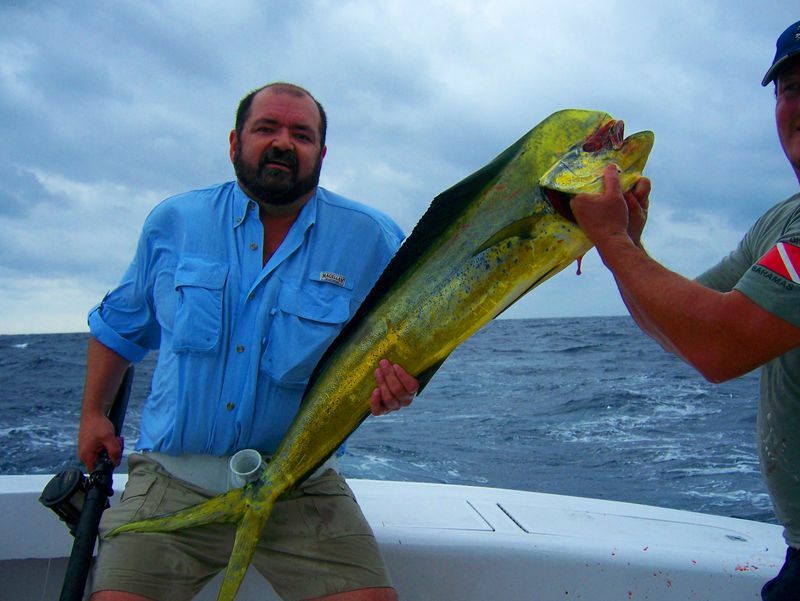 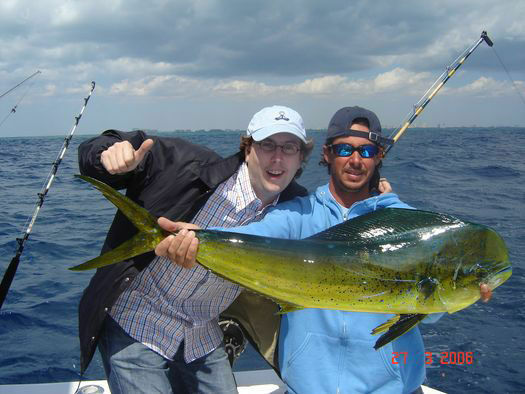 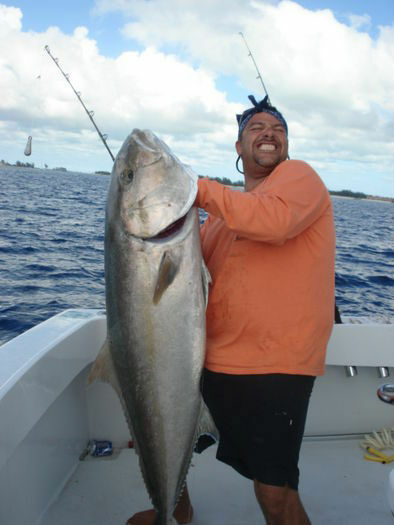 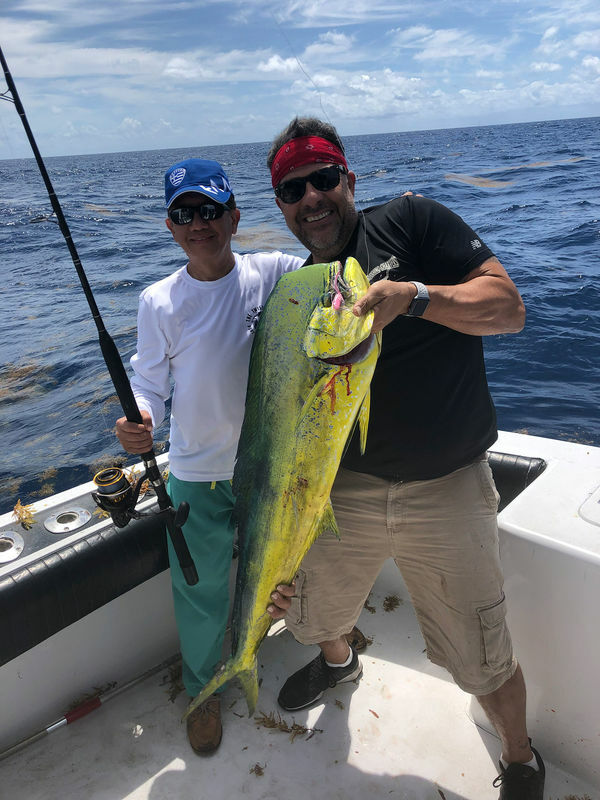 This particular fish was a monster as yellowfin tuna are rarely seen this large off Miami Beach. 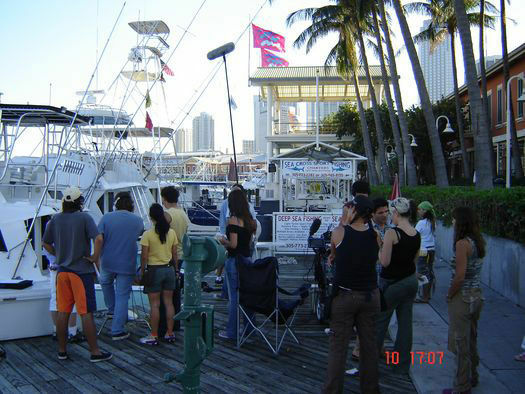 As expected the fish drew quiet a crowd at the Haulover docks. 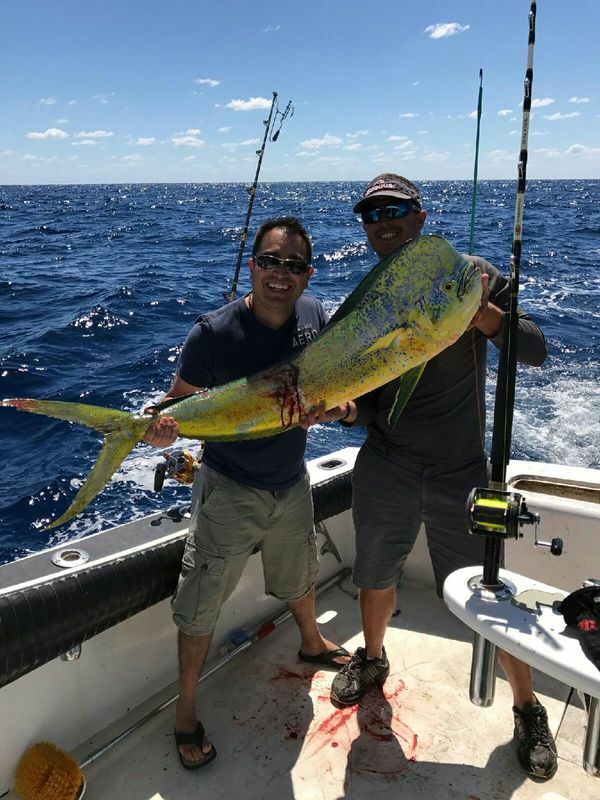 This is one fish story with picture proof. 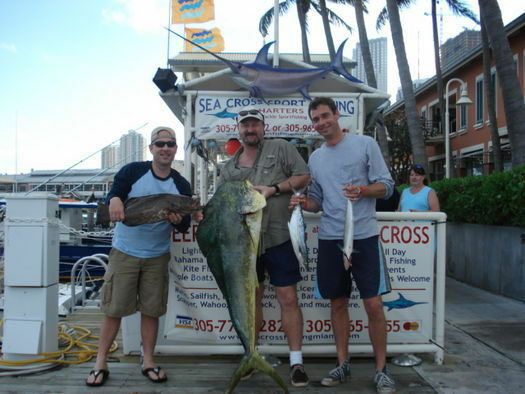 Have you been on a fishing trip on the Sea Cross? 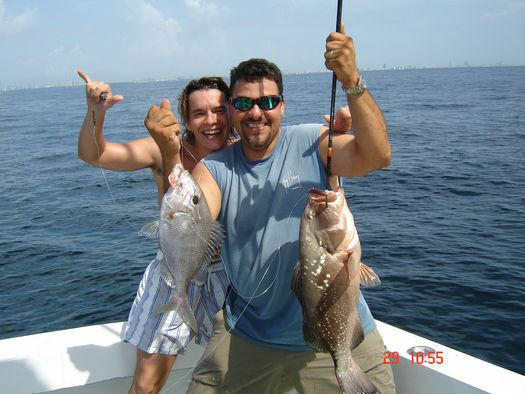 We'd love to hear from you!